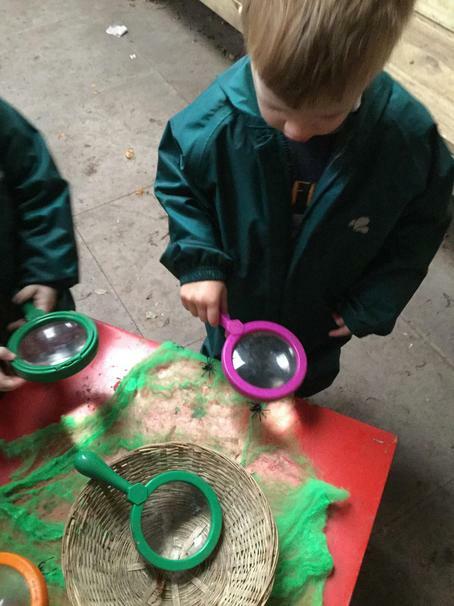 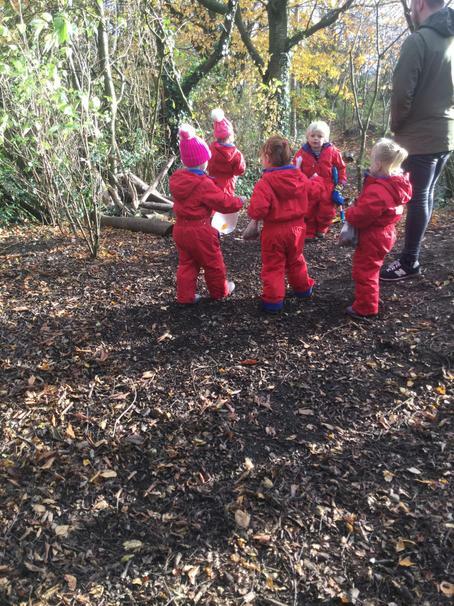 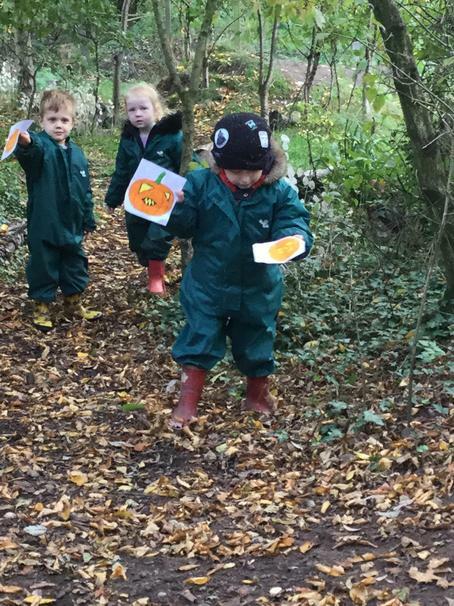 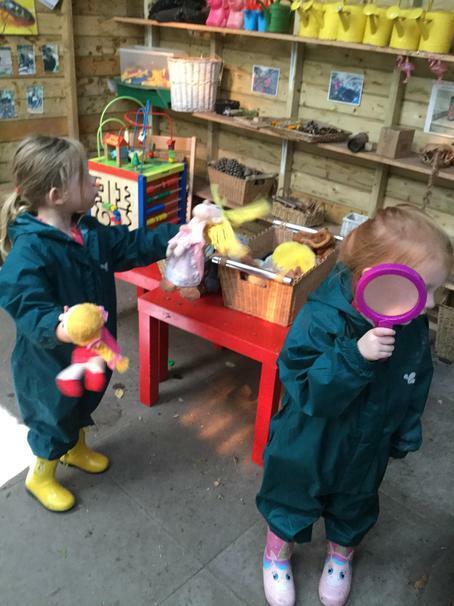 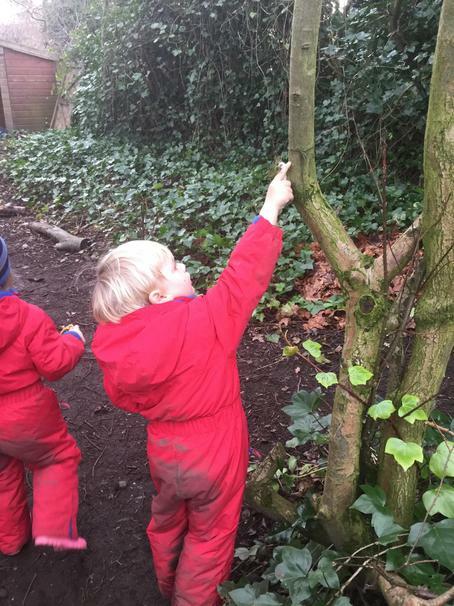 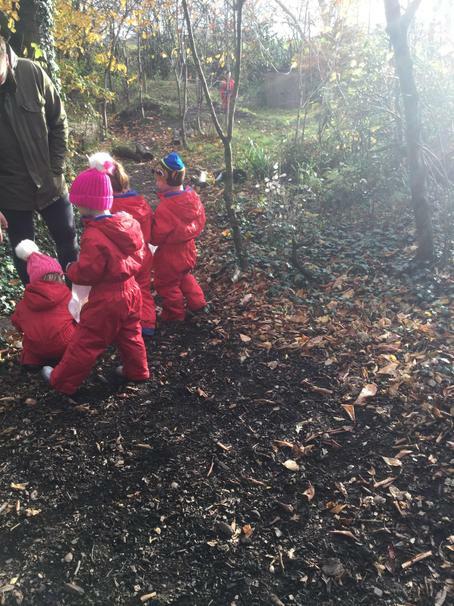 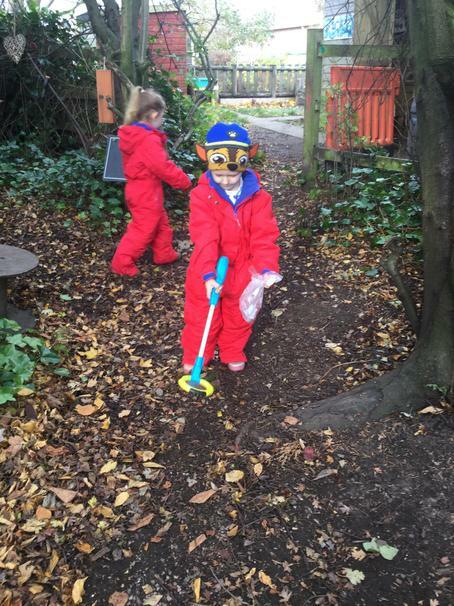 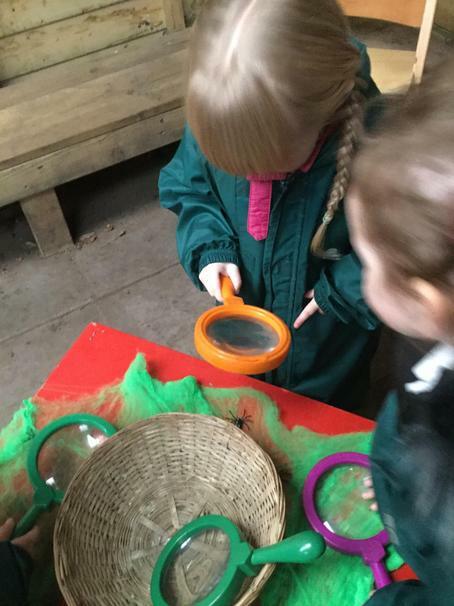 We went on a hunt for pirates in our Woodland Wednesday sessions today. 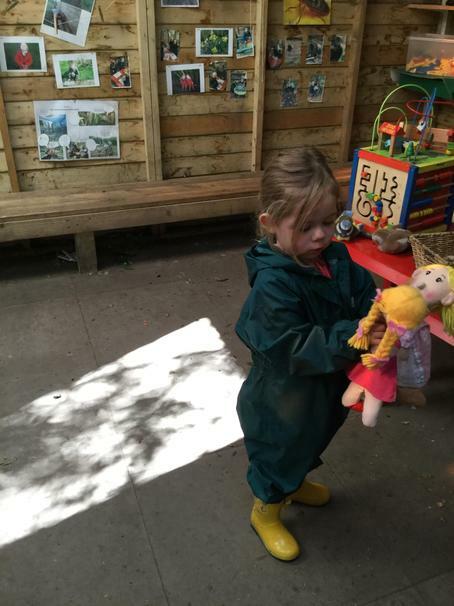 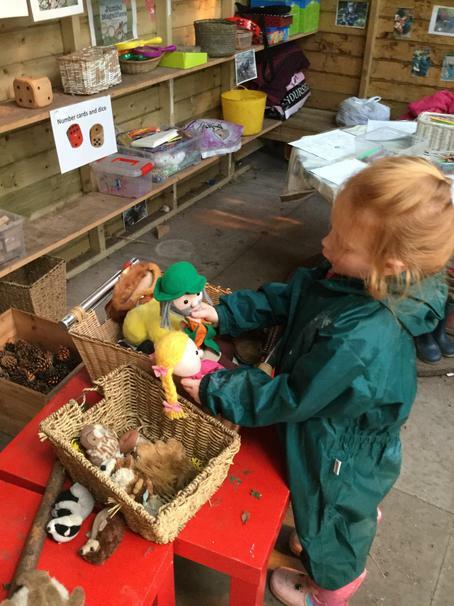 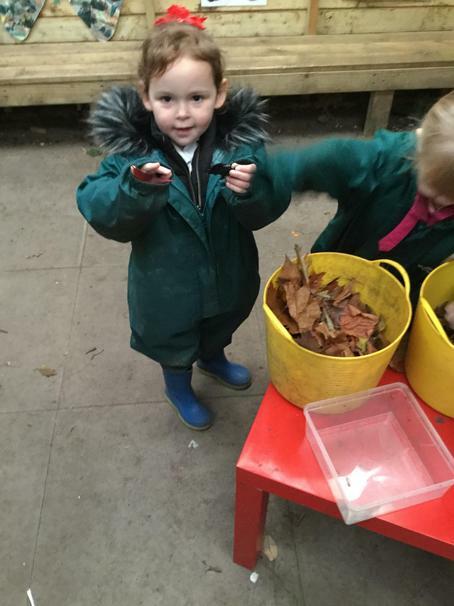 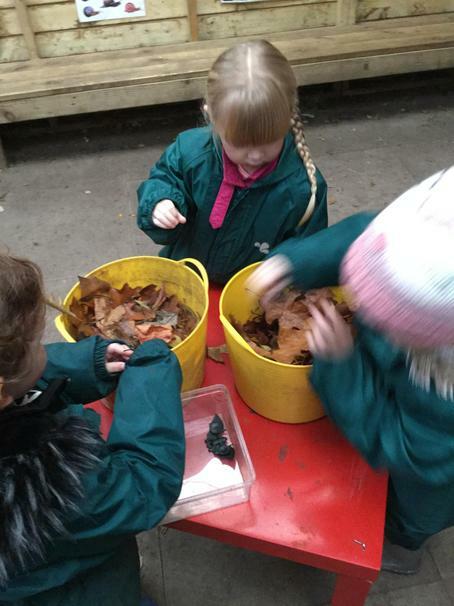 We had a very busy Woodland Wednesday session today. 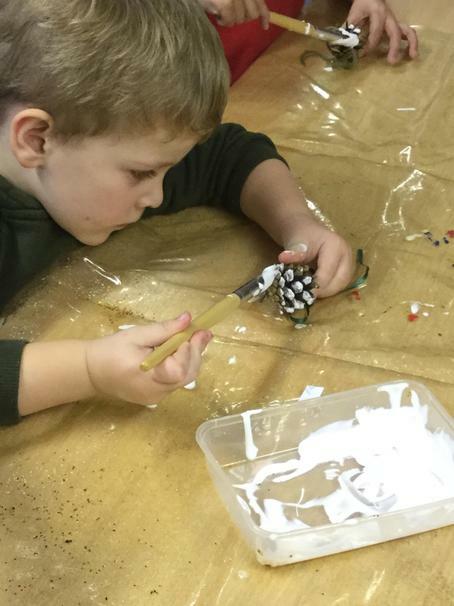 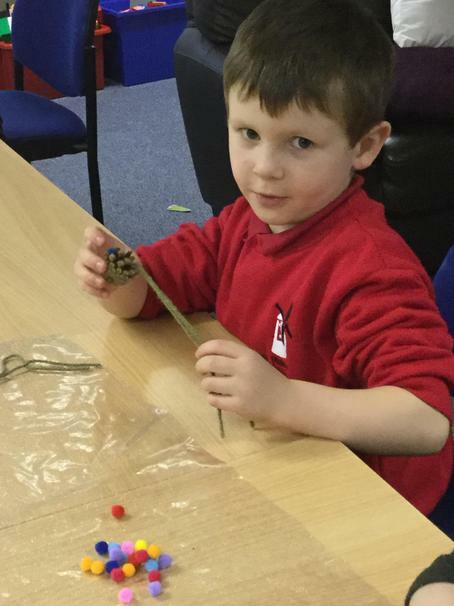 We had fun in the den making our very own stick men .We made our very own binoculars to go bird watching. 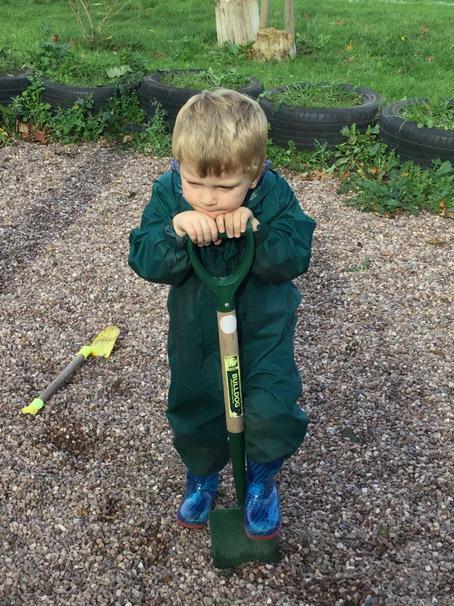 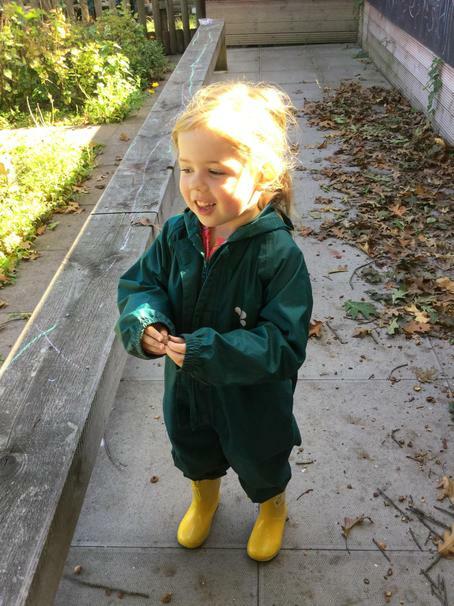 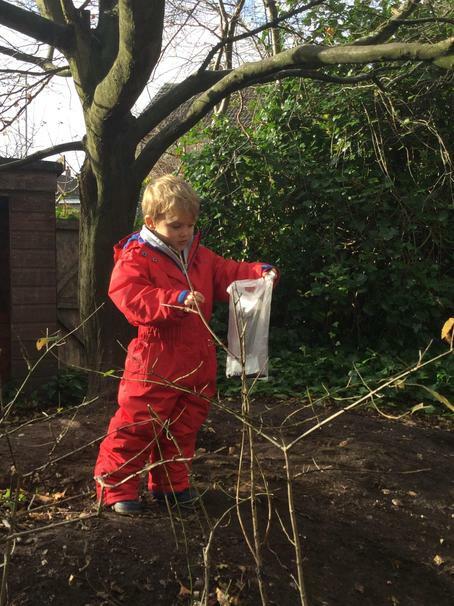 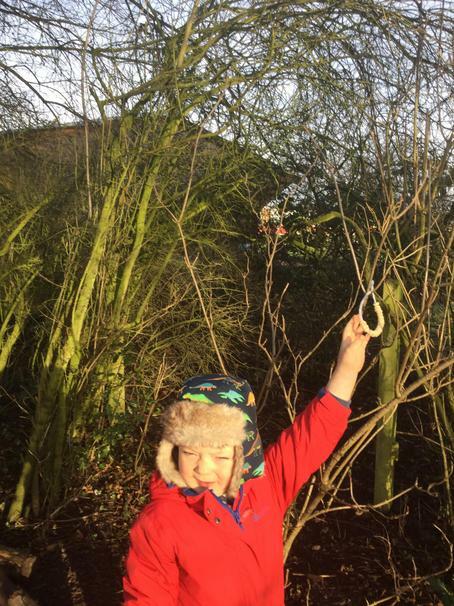 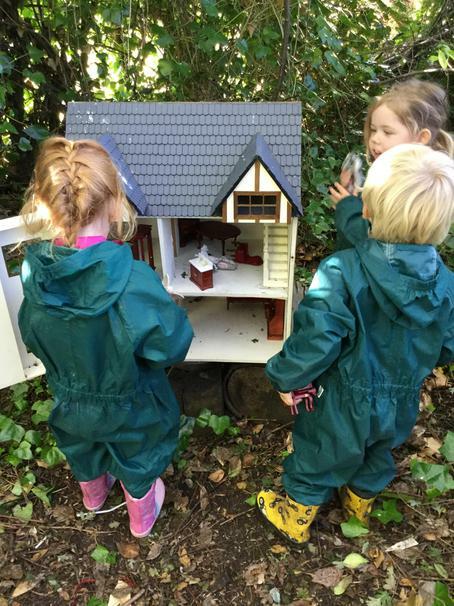 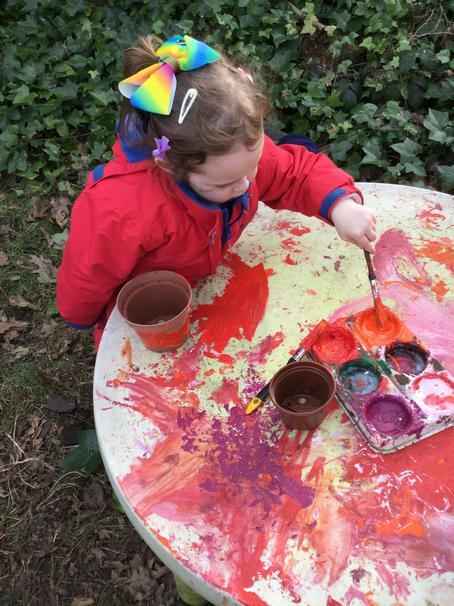 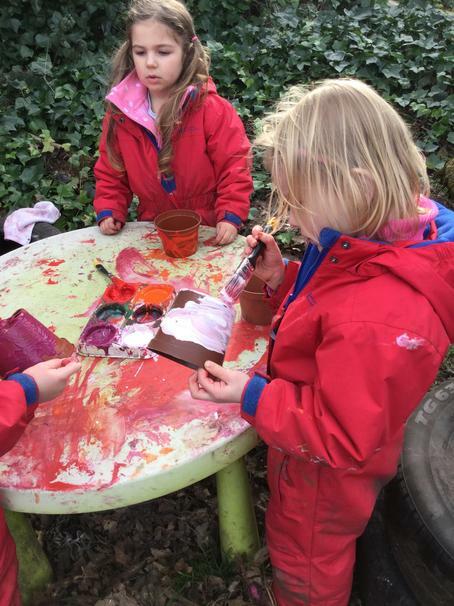 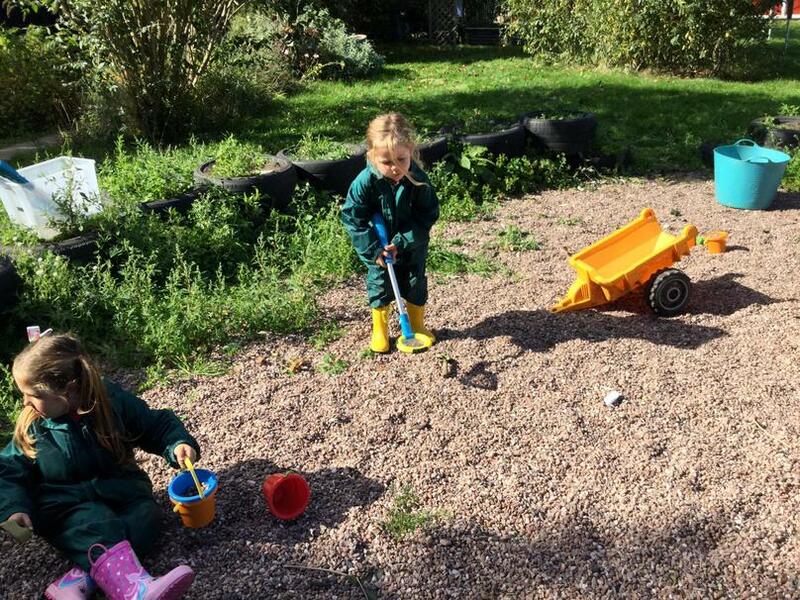 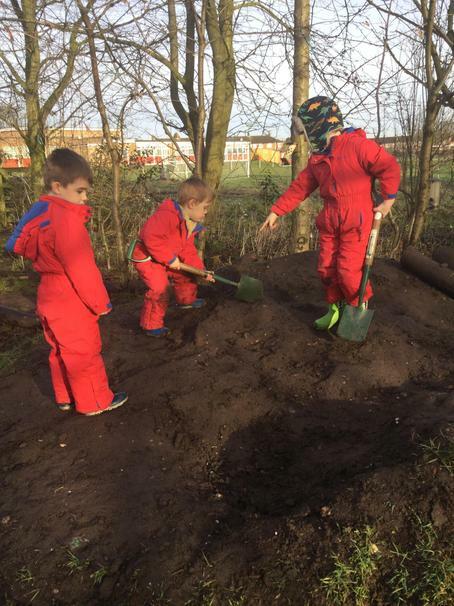 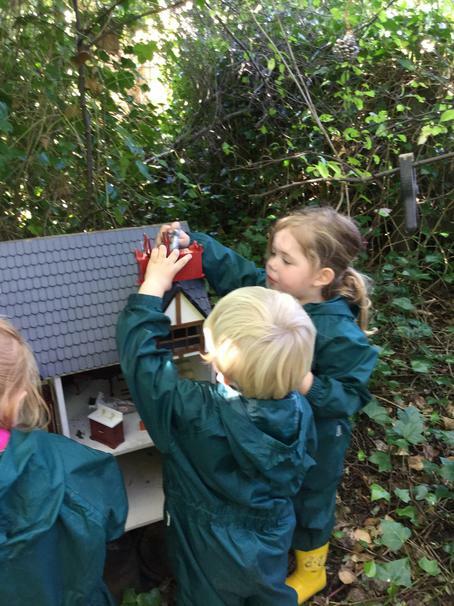 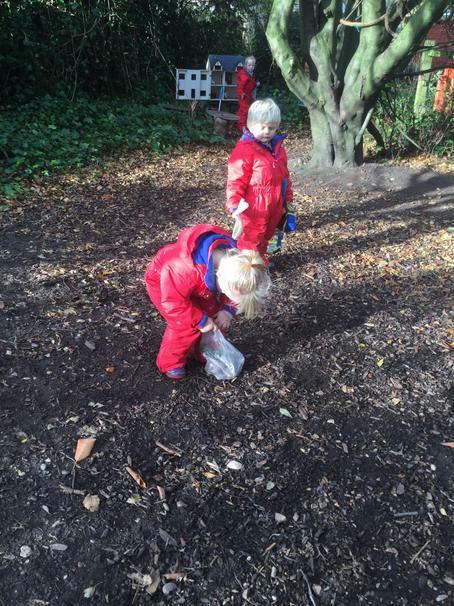 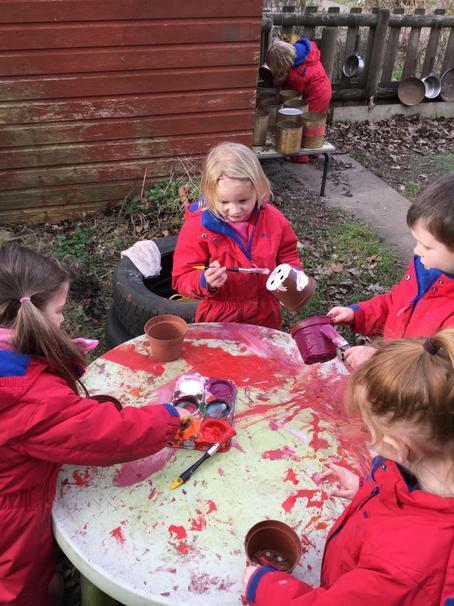 We had a super sunny Woodland Wednesday session today.We were able to pack away our winter suits and wear our green spring suits.All the children planted their daffodils .We started to decorate our fairy wood and build some fairy houses. 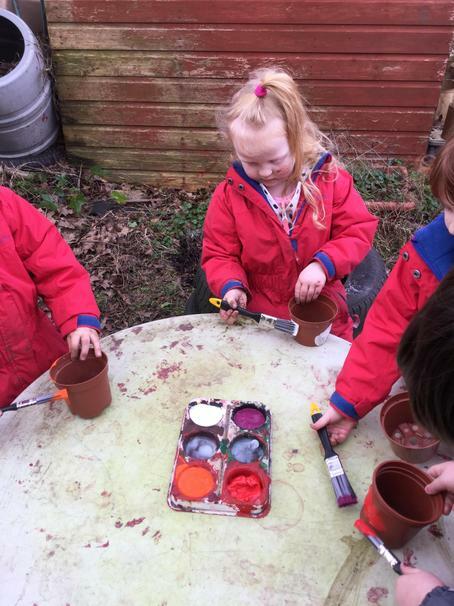 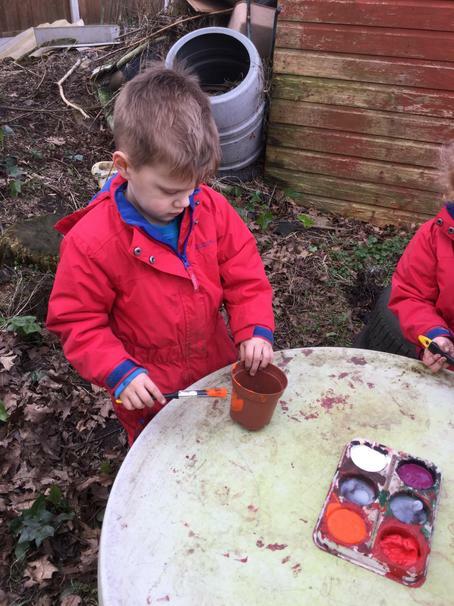 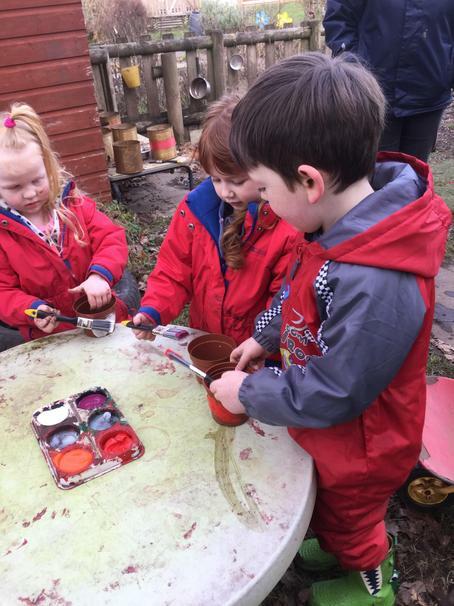 we had a lovely spring day for Woodland Wednesday today.We are getting ready to plant our daffodil bulbs so we started off by decorating our plant pots. 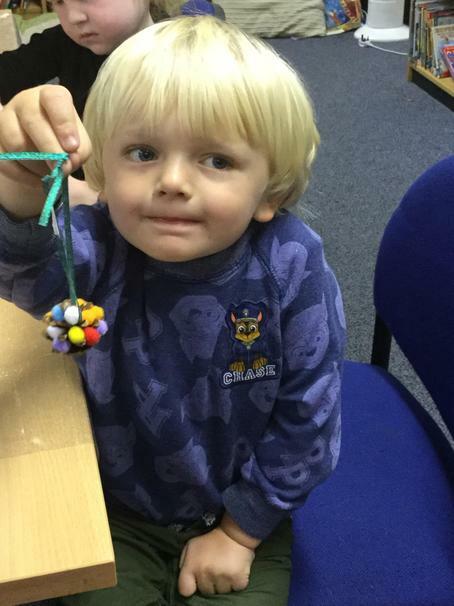 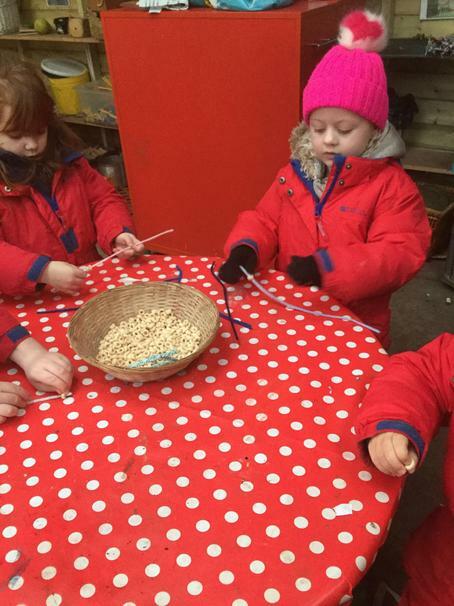 We had a lovely Woodland session making bird feeders to hang in the woods. 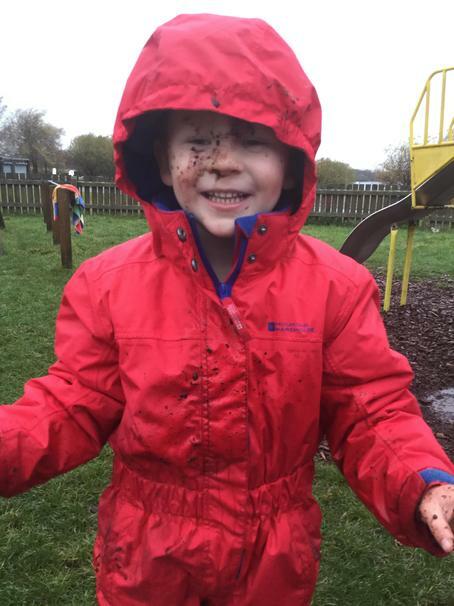 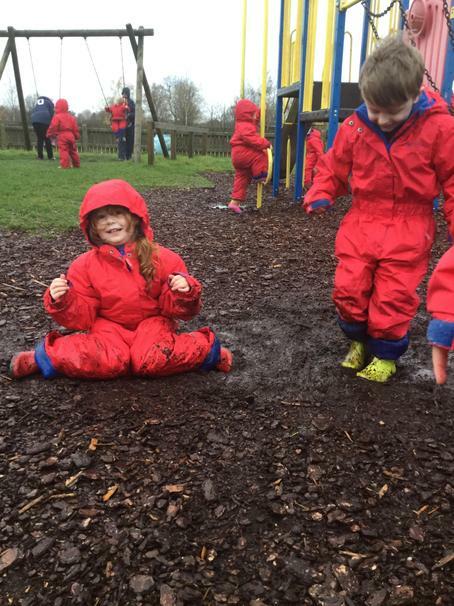 Mud mud and more mud ! 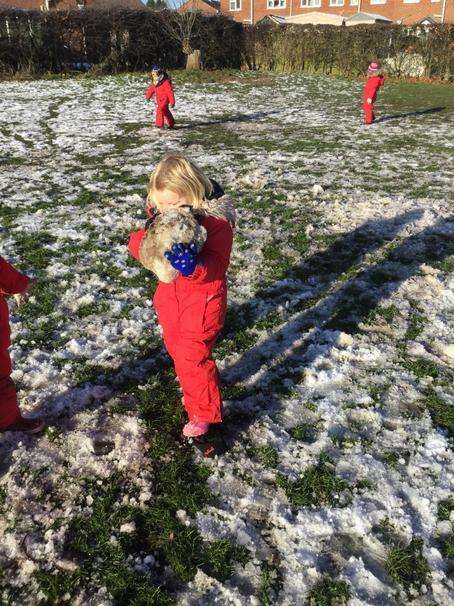 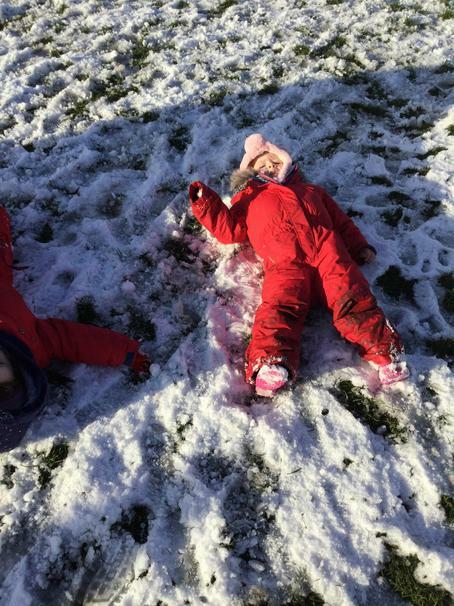 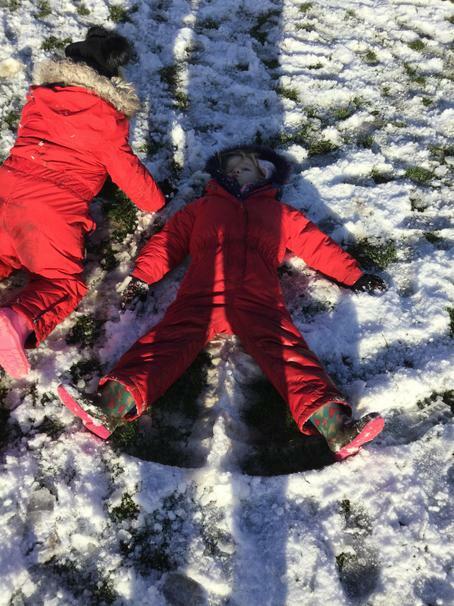 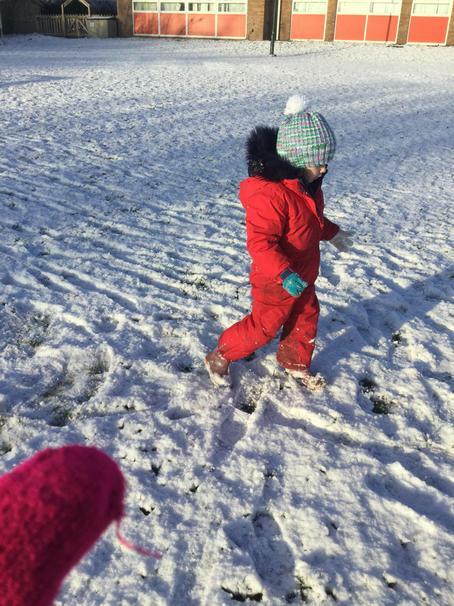 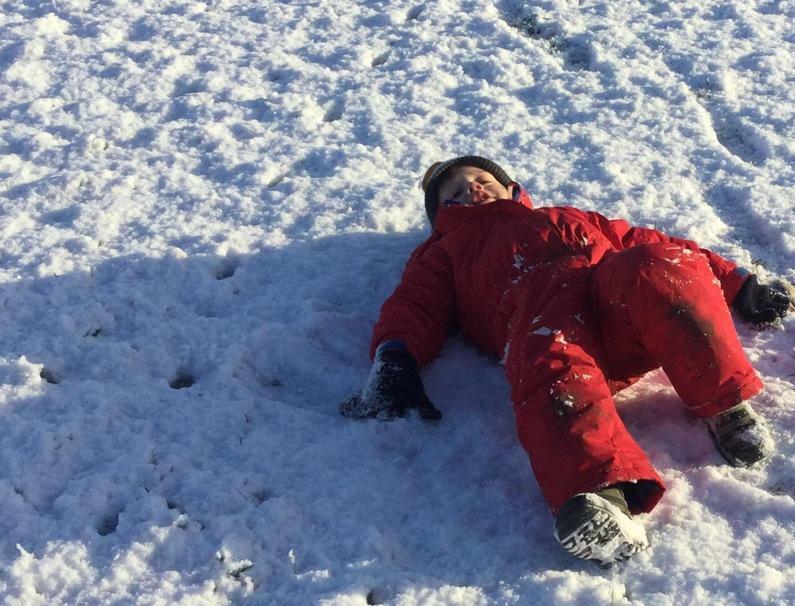 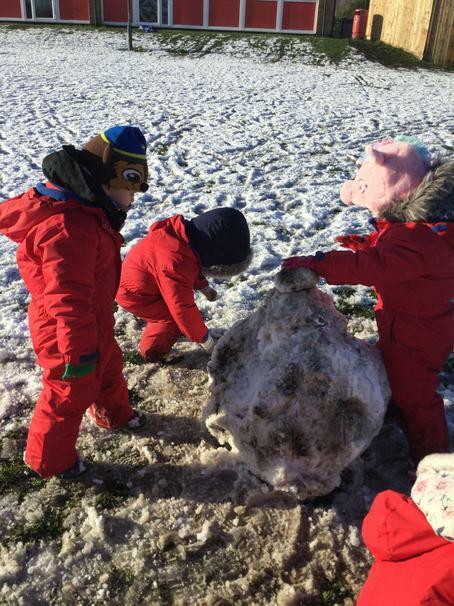 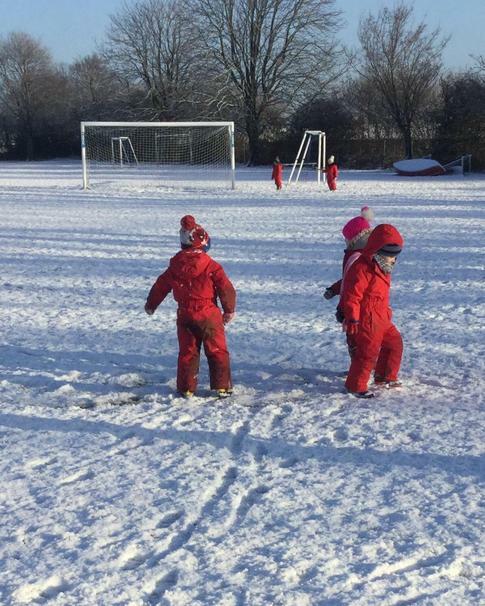 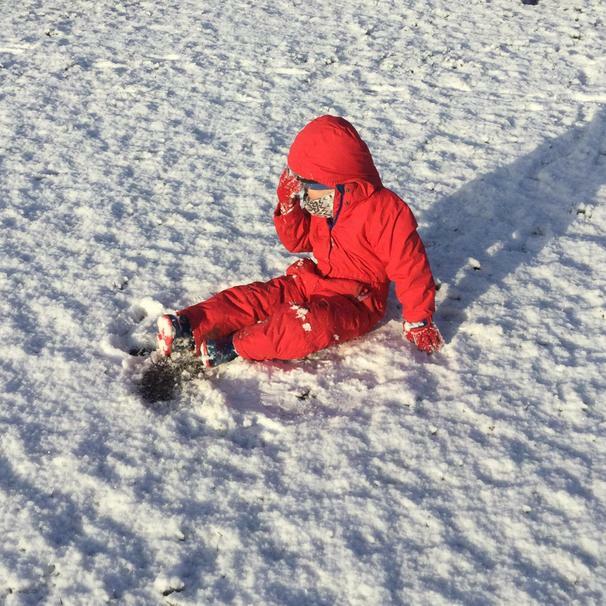 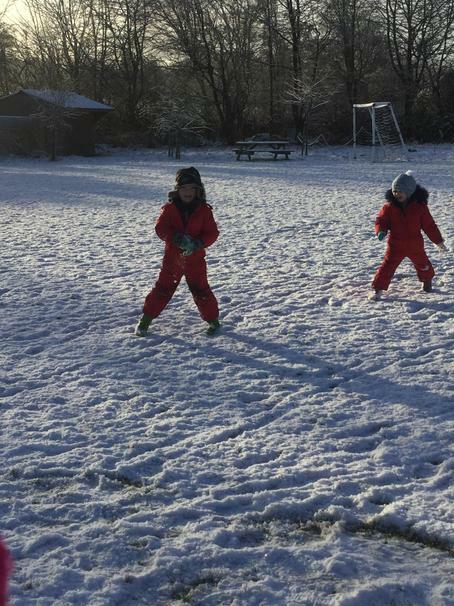 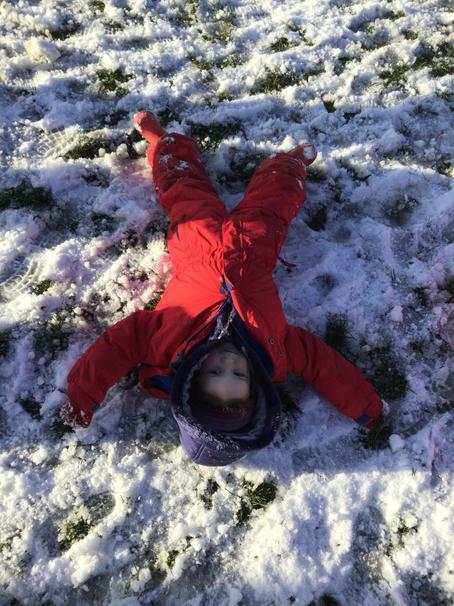 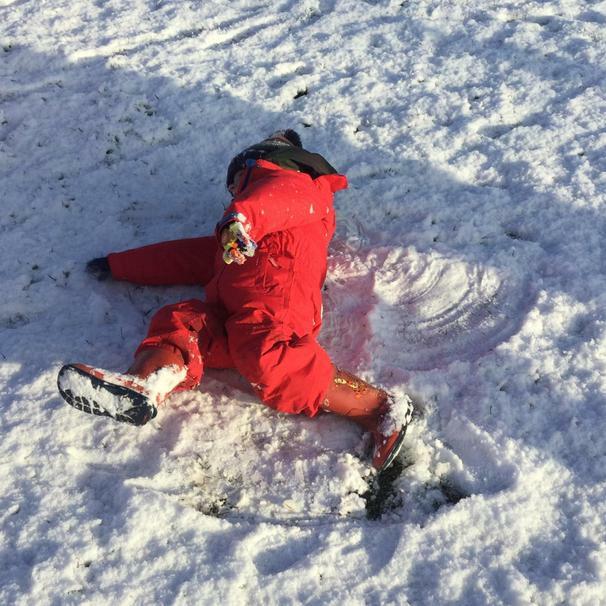 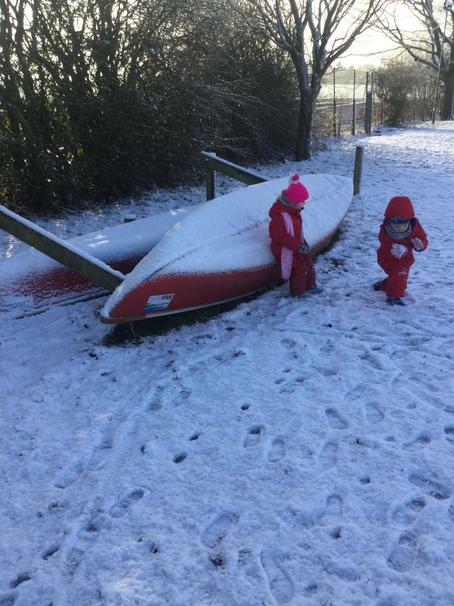 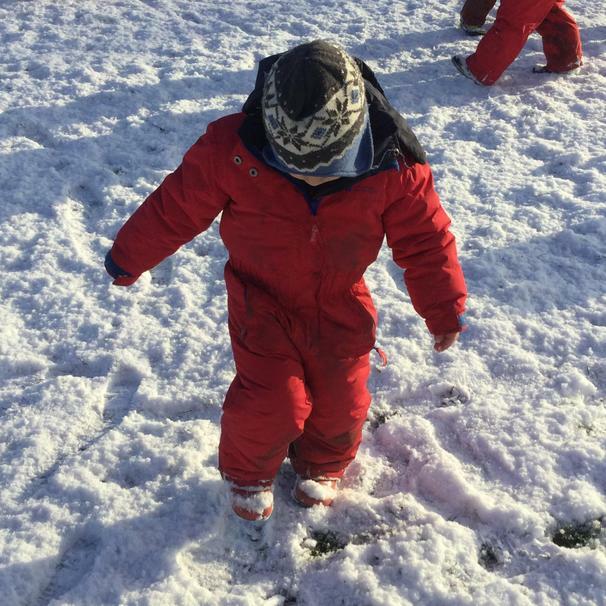 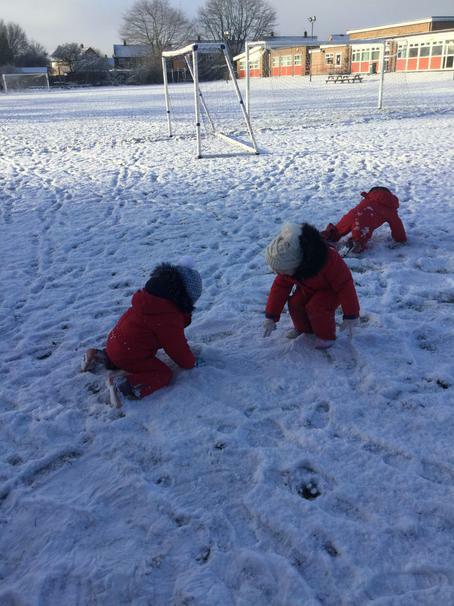 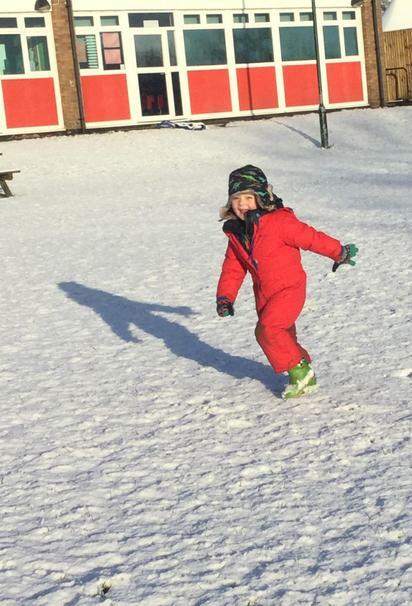 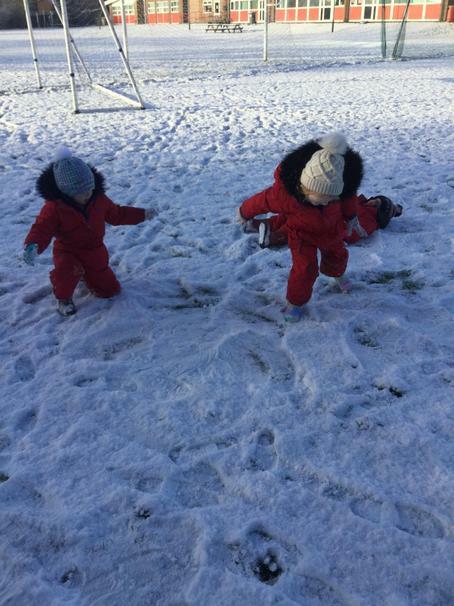 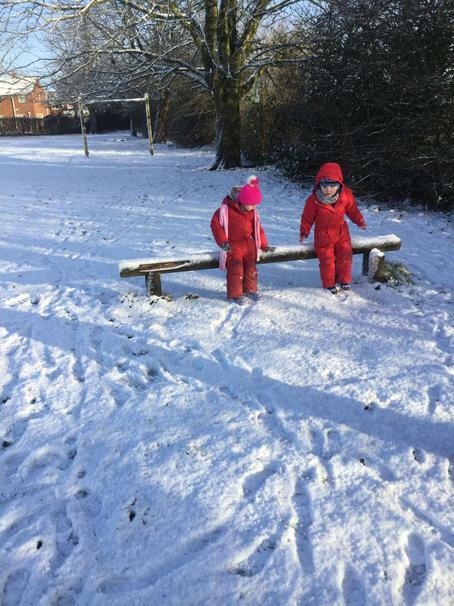 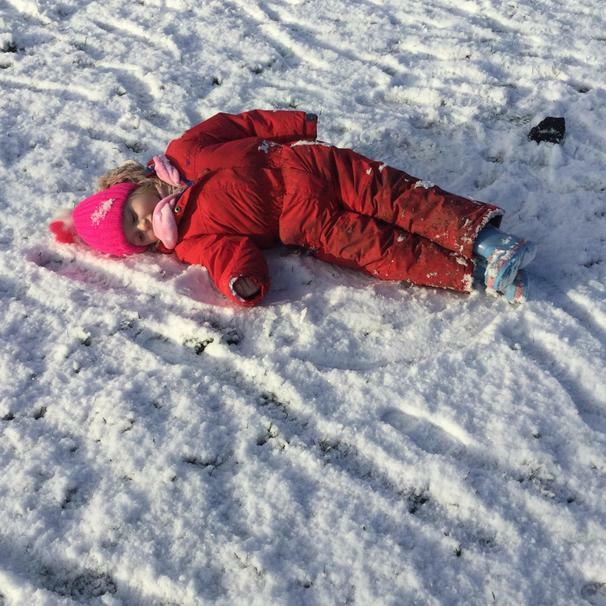 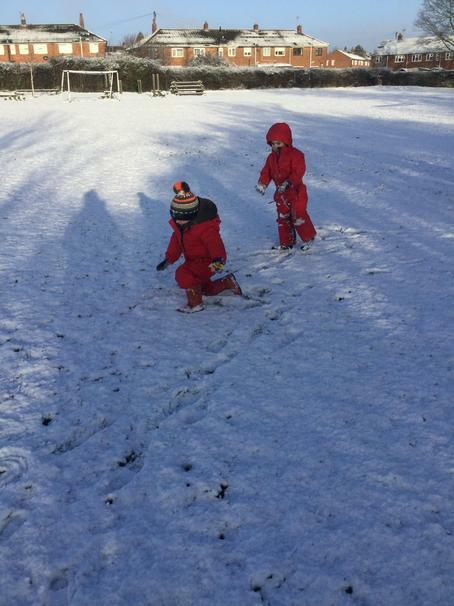 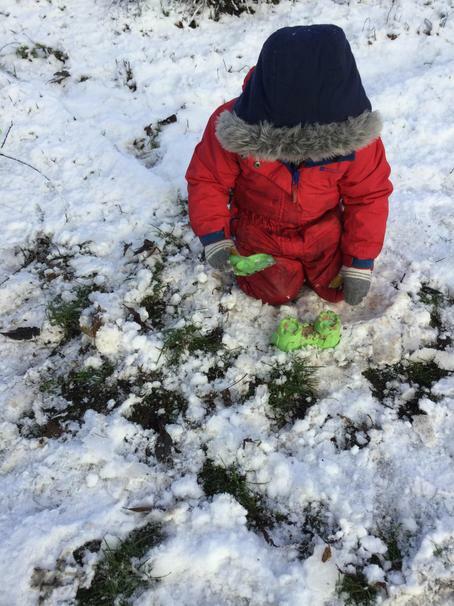 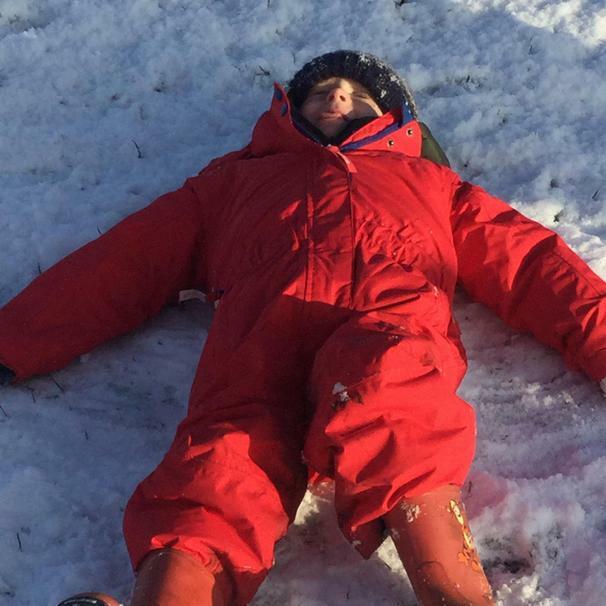 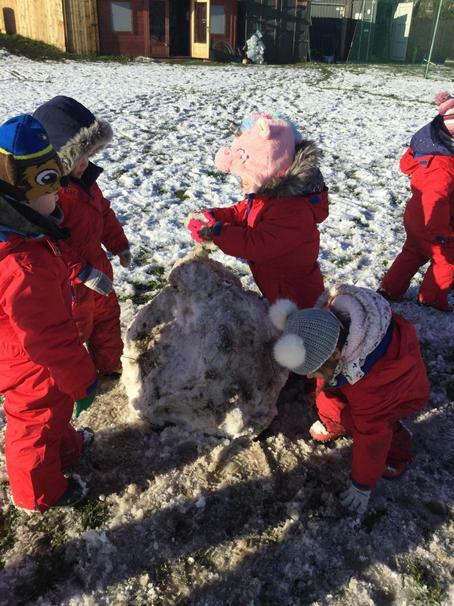 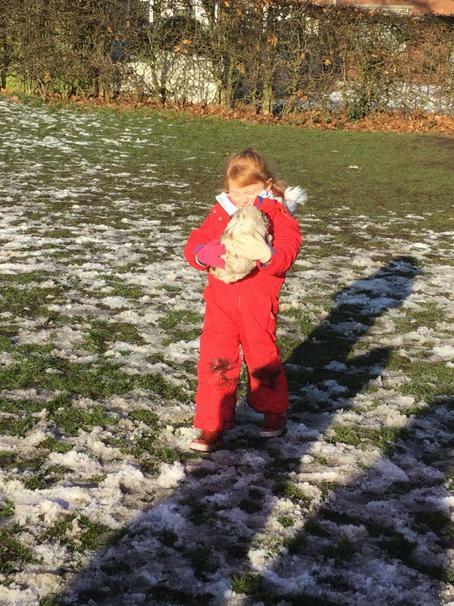 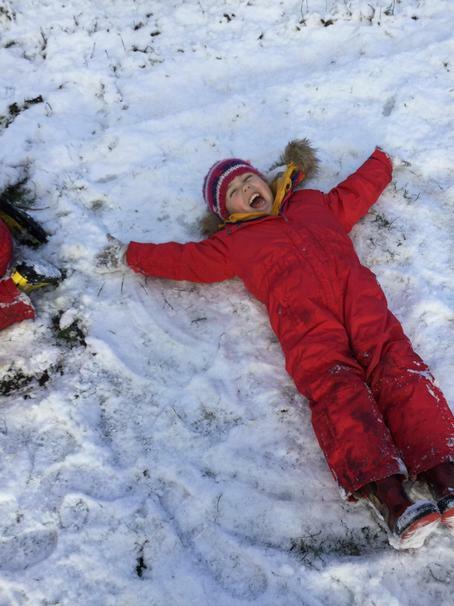 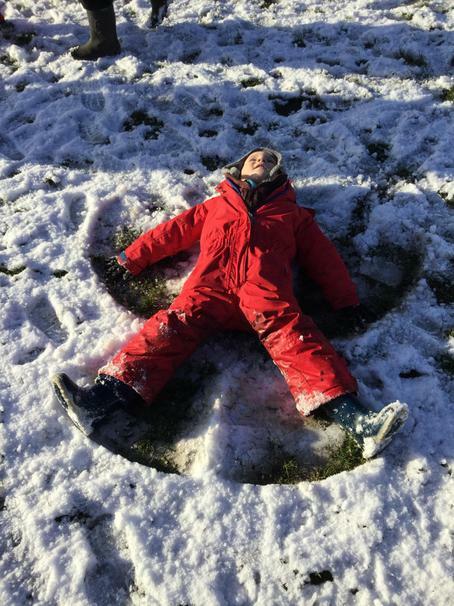 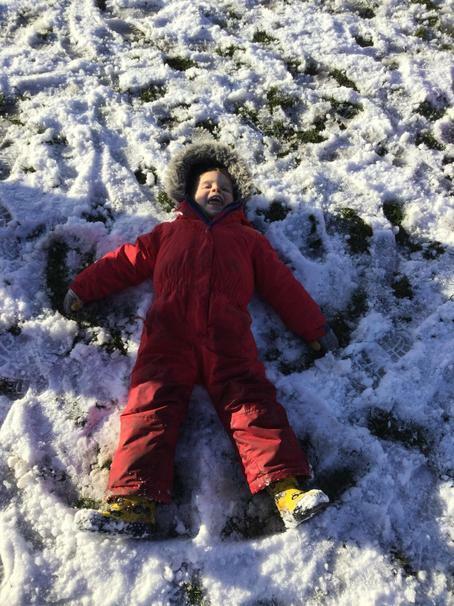 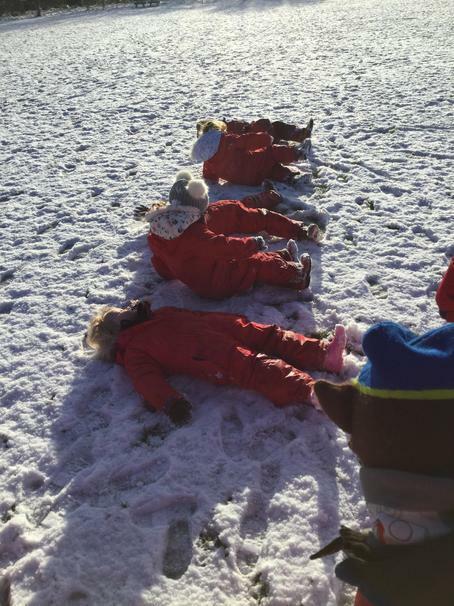 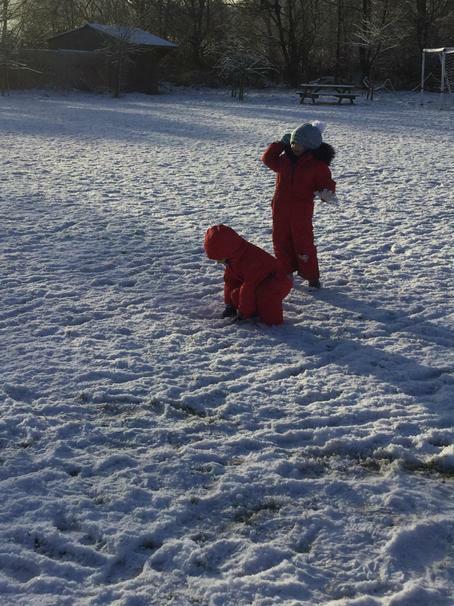 We had a fun day in the snow and our lovely snow suits kept us nice and warm. 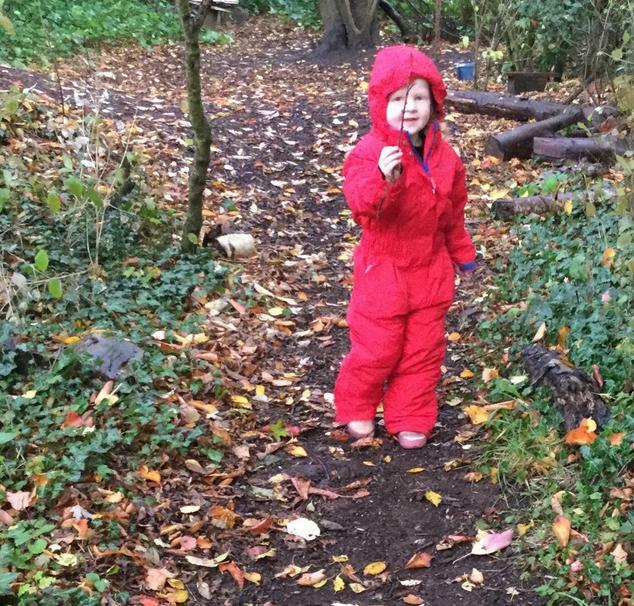 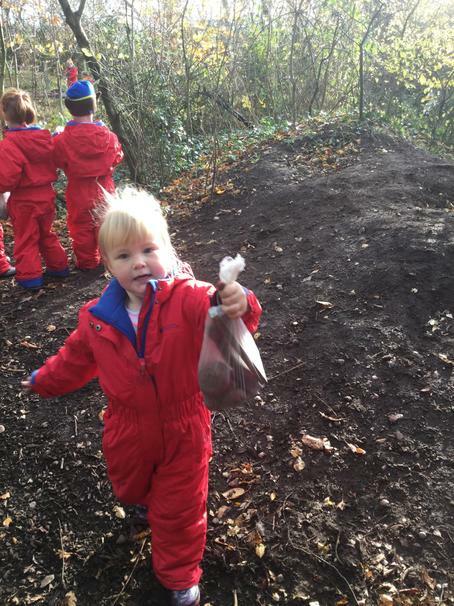 We had a mix bag of weather this week morning session was a very busy session in the woods. 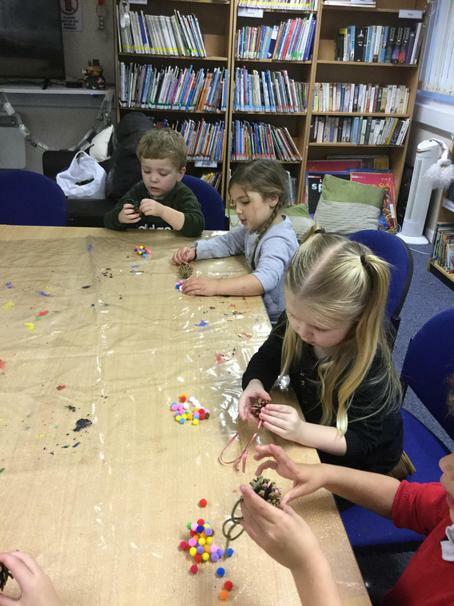 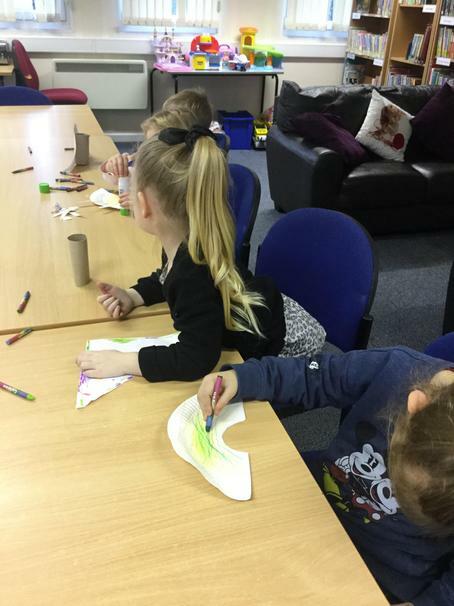 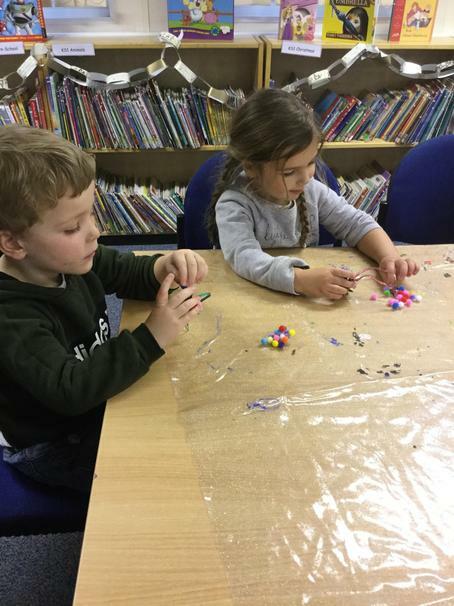 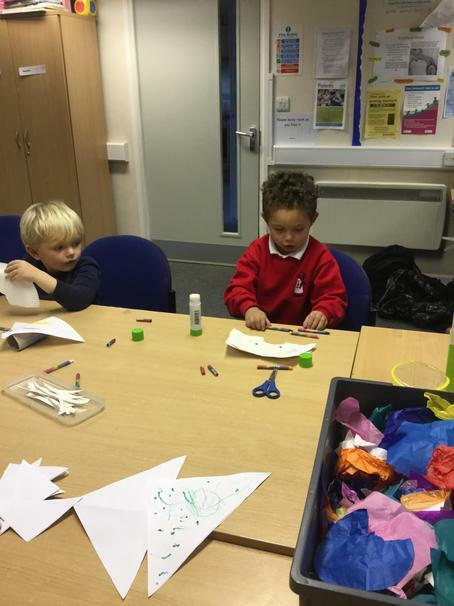 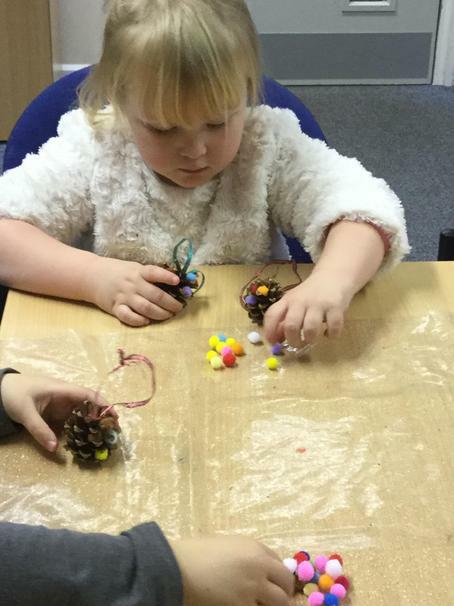 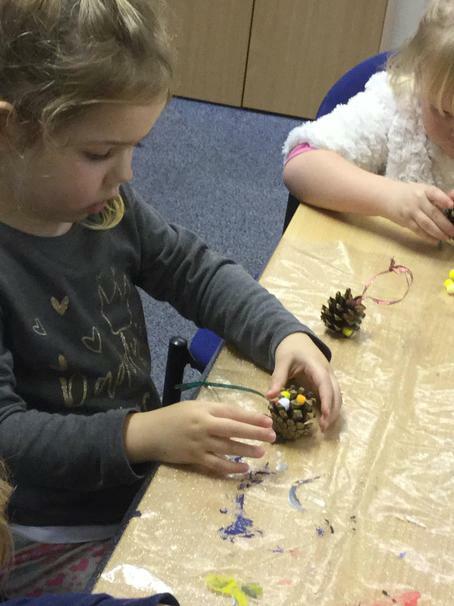 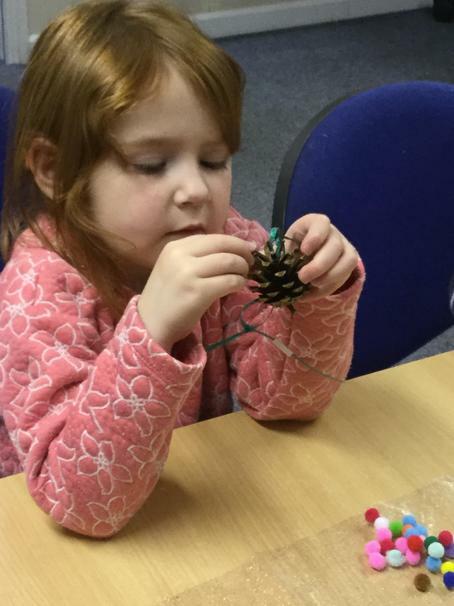 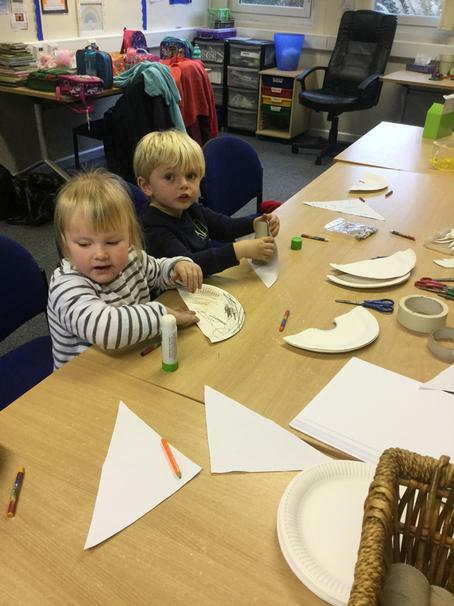 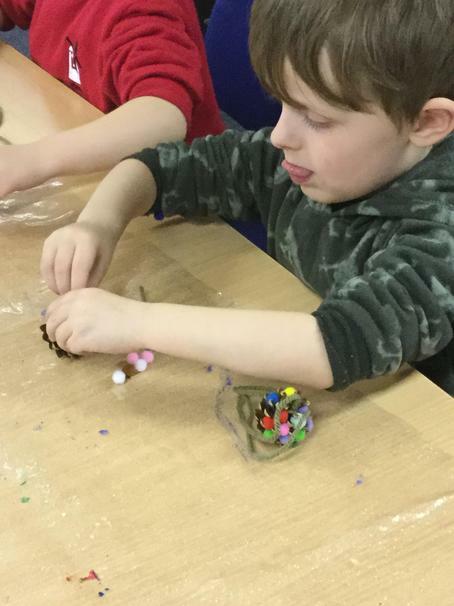 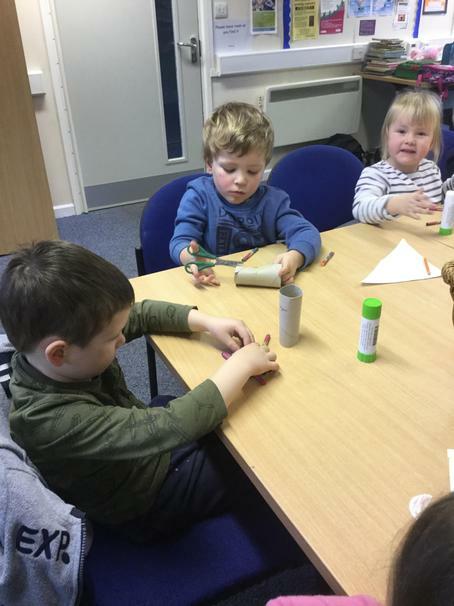 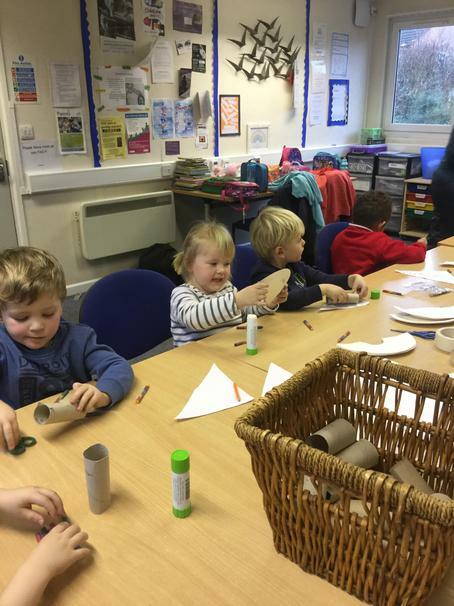 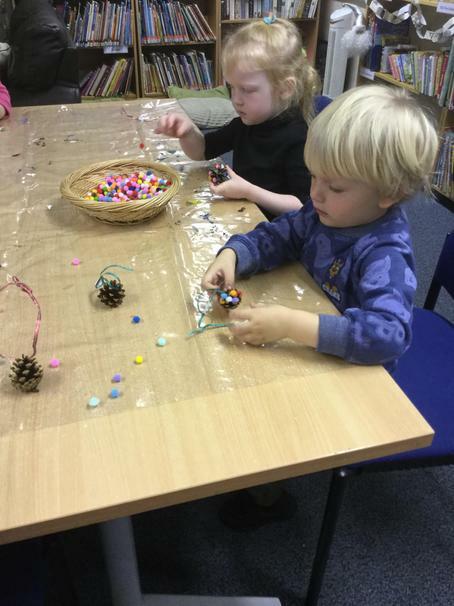 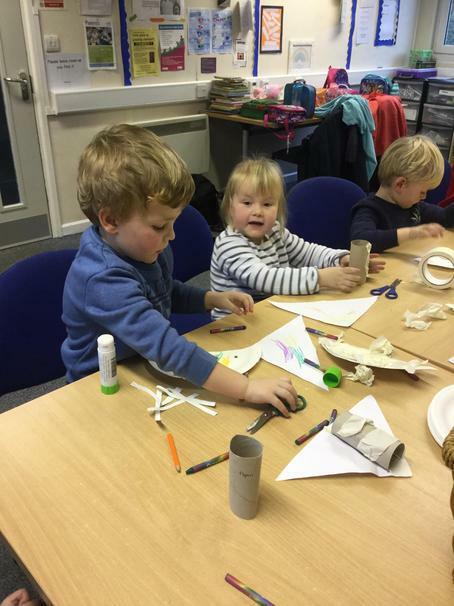 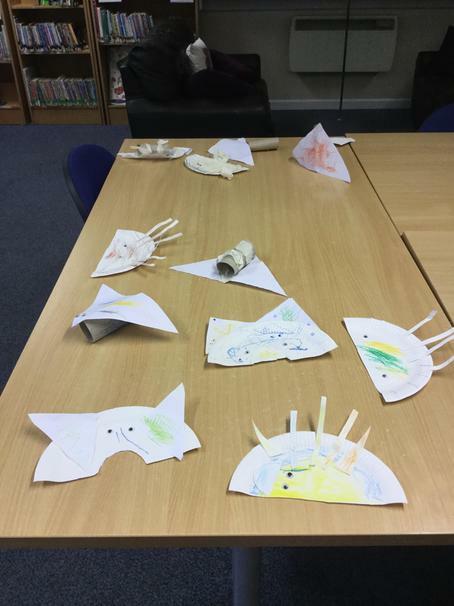 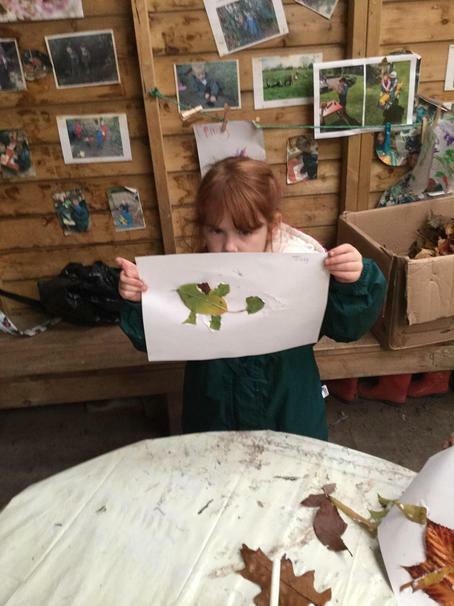 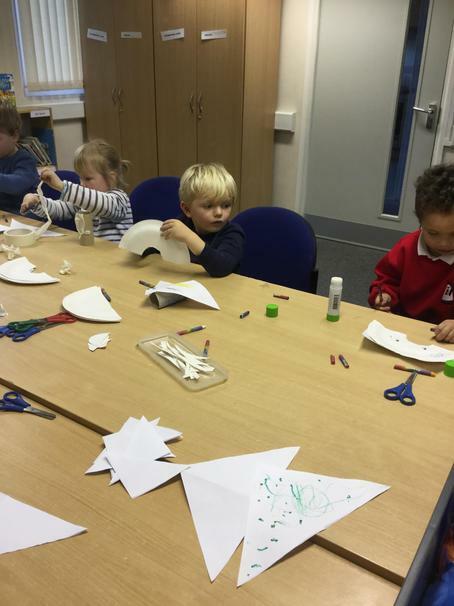 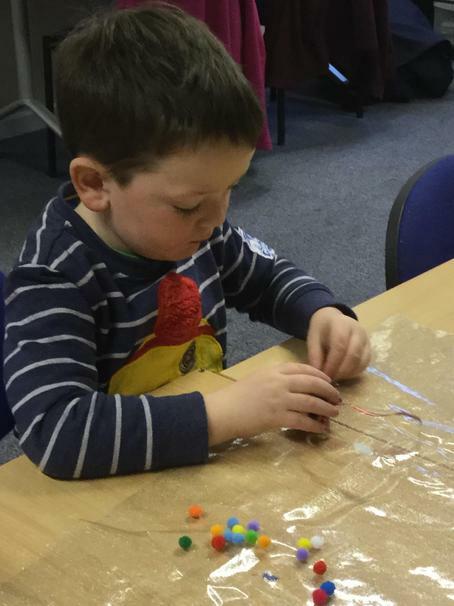 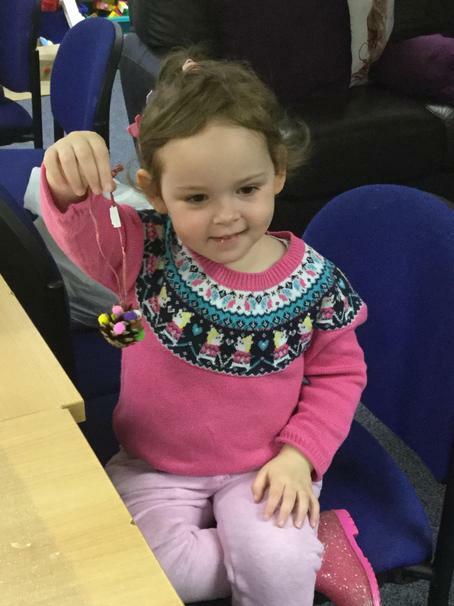 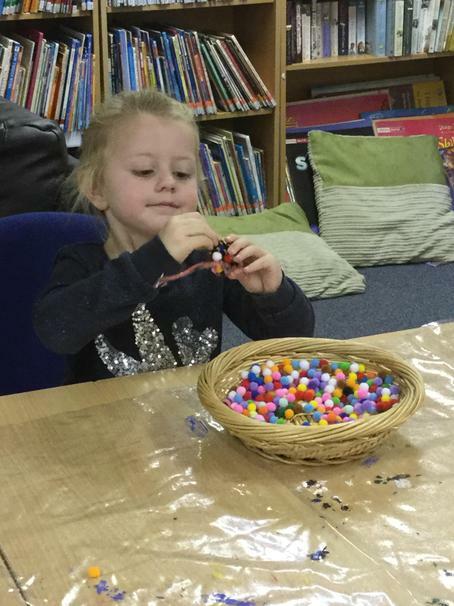 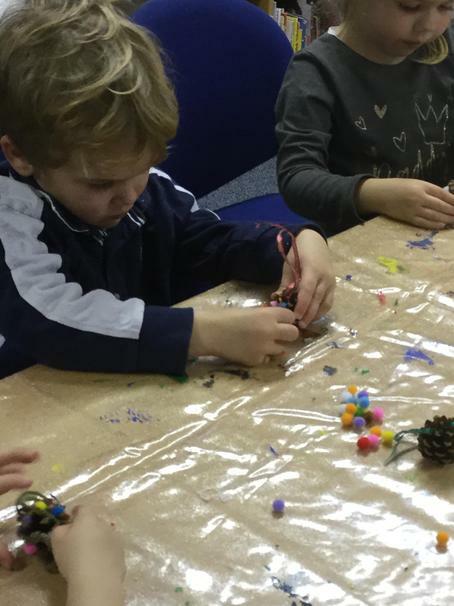 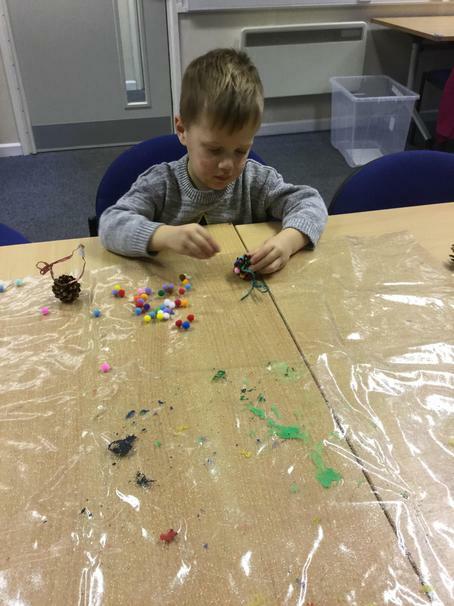 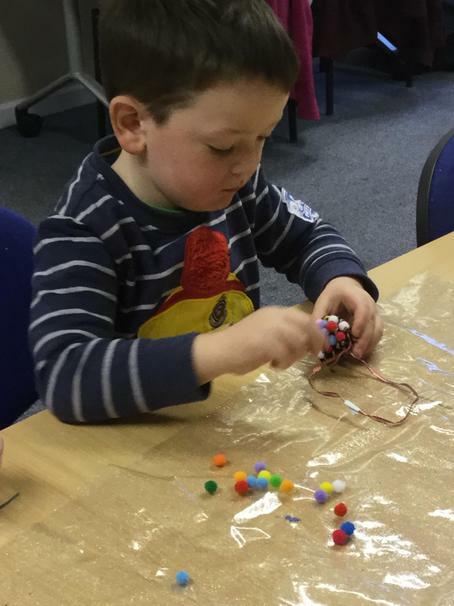 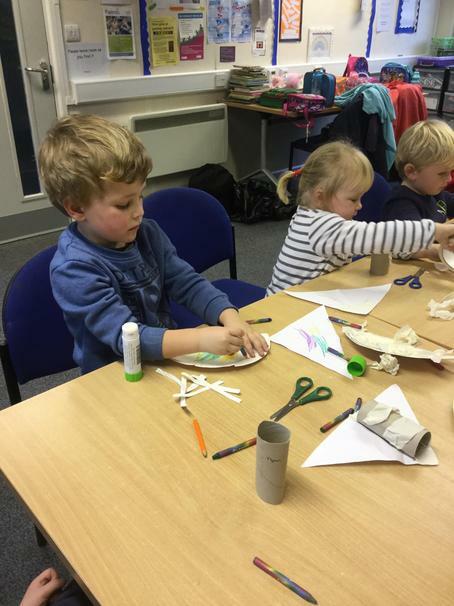 We had a arts and craft session on the afternoon making our very own Woodland animals. 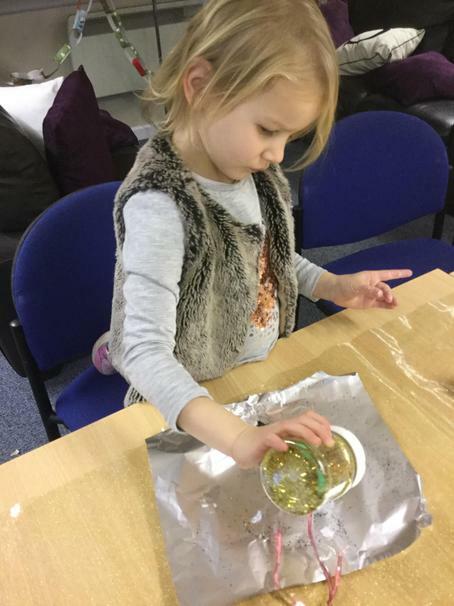 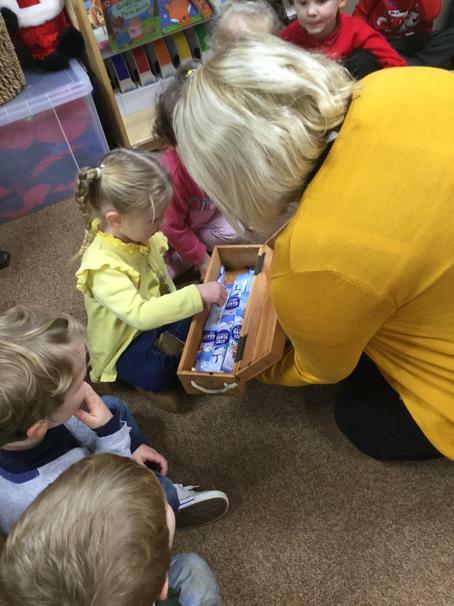 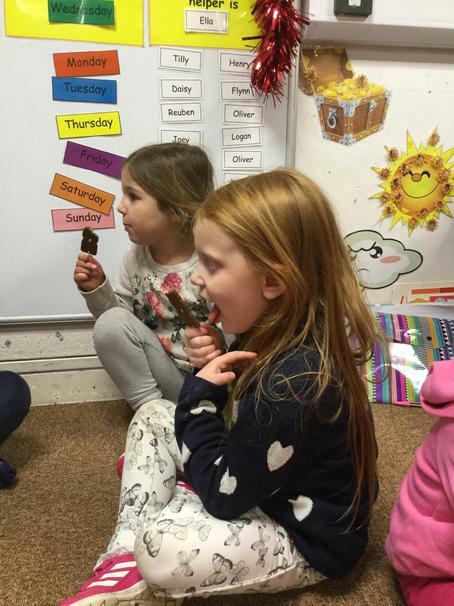 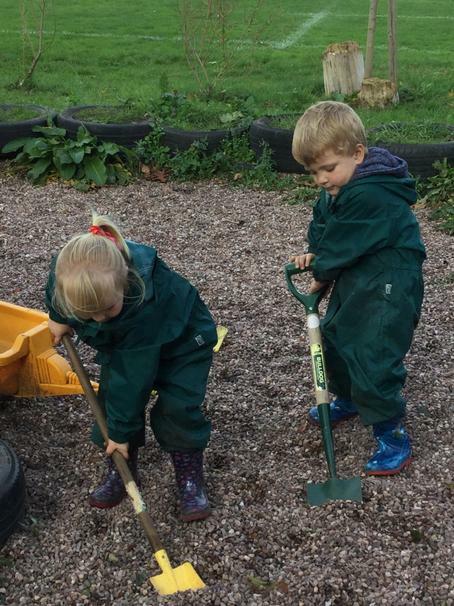 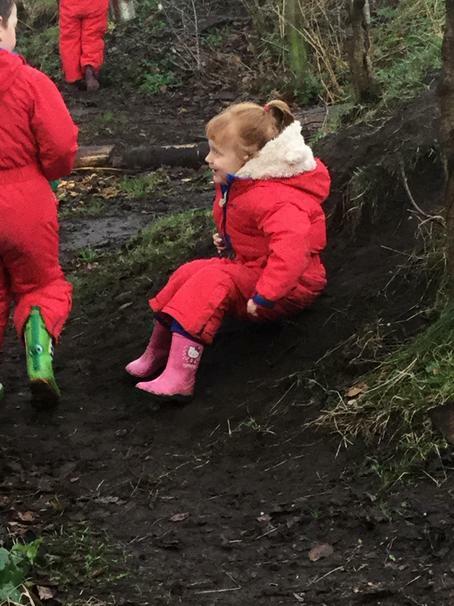 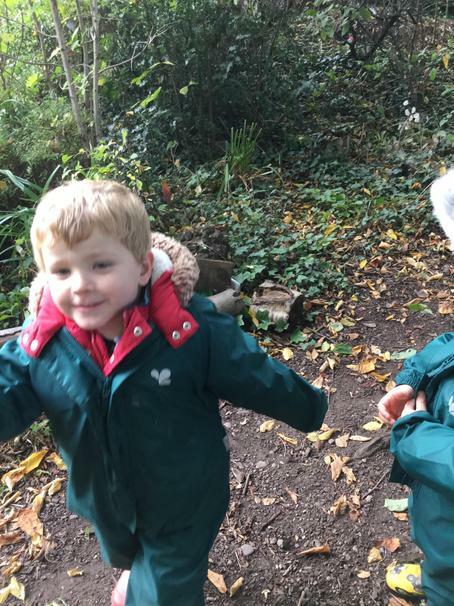 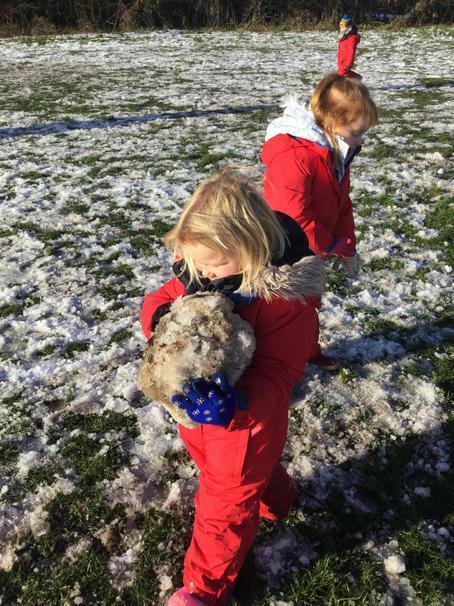 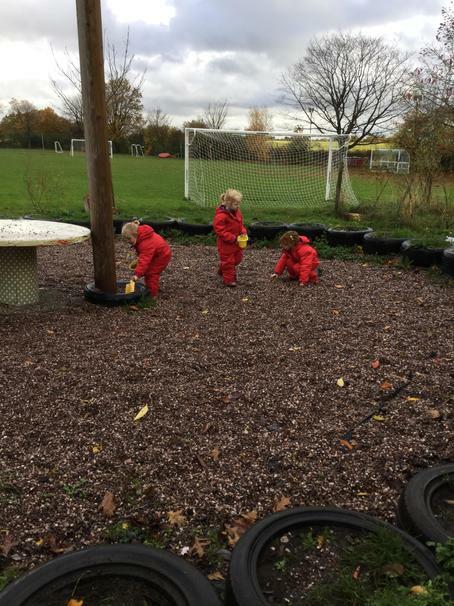 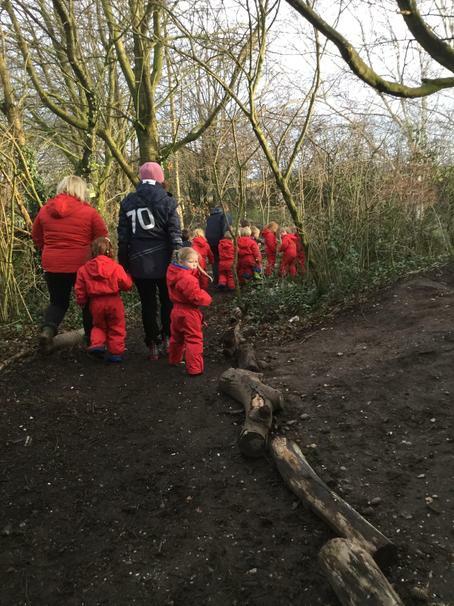 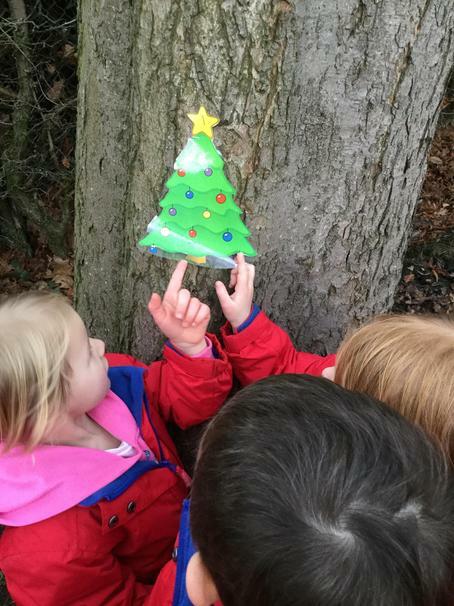 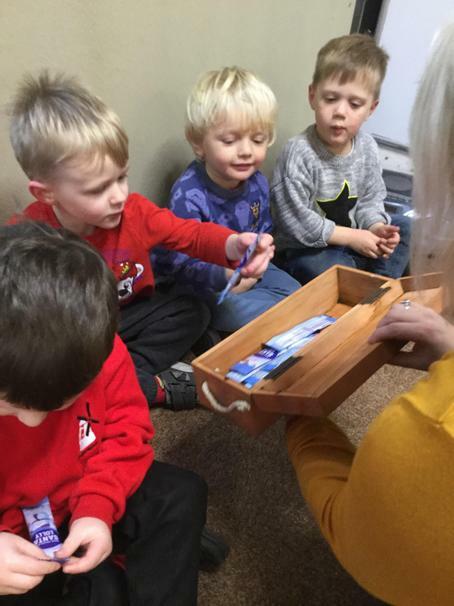 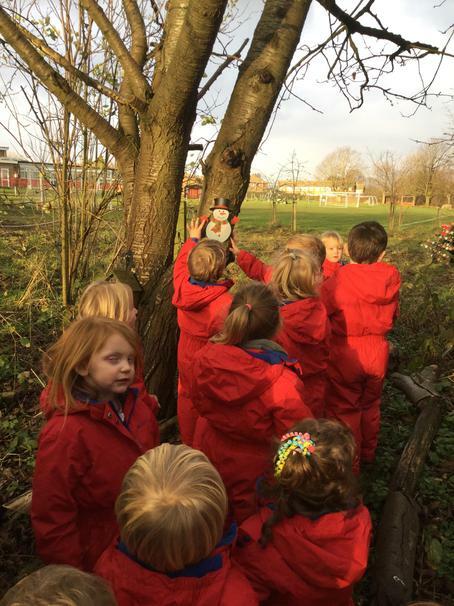 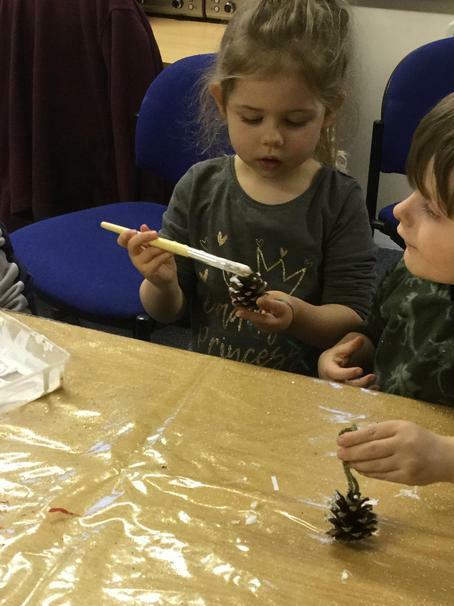 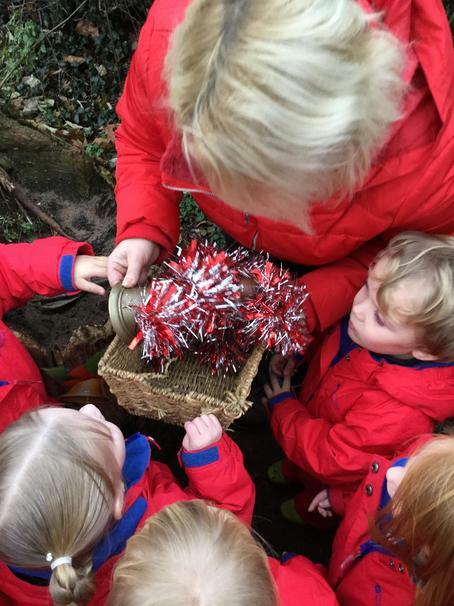 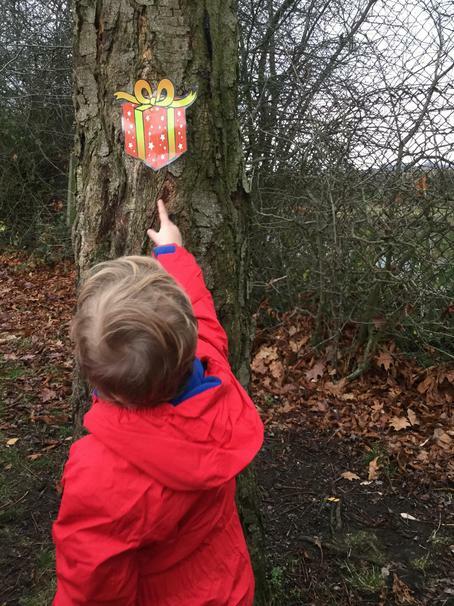 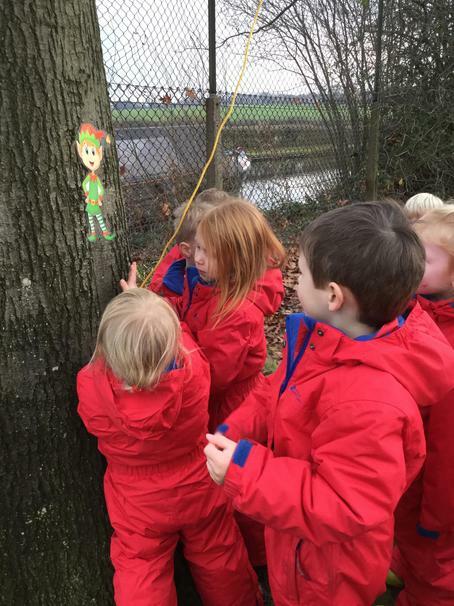 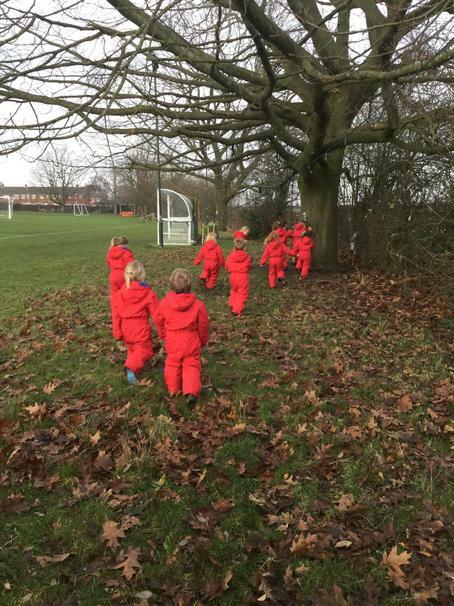 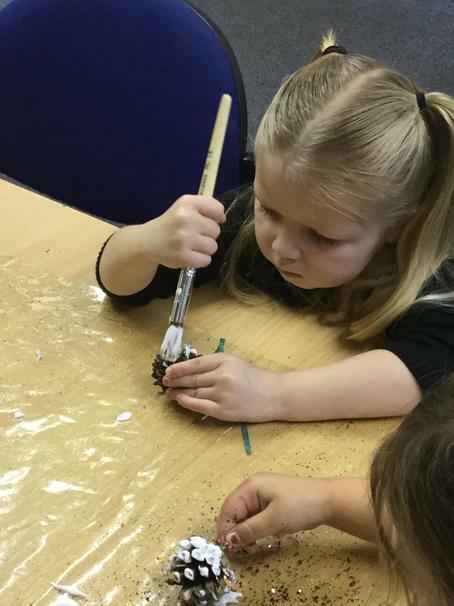 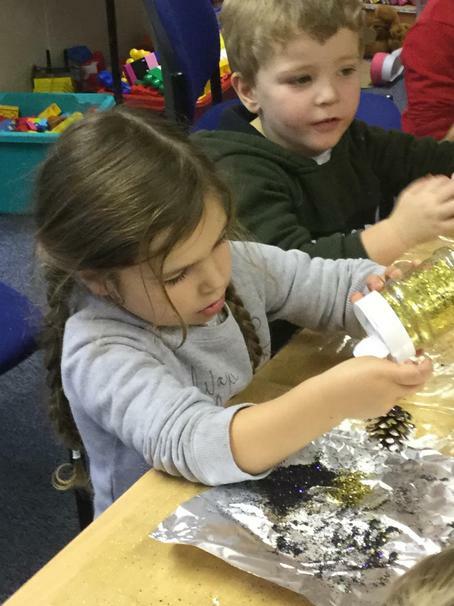 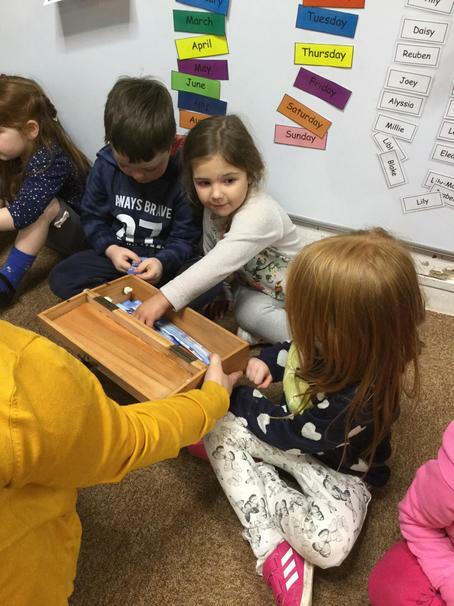 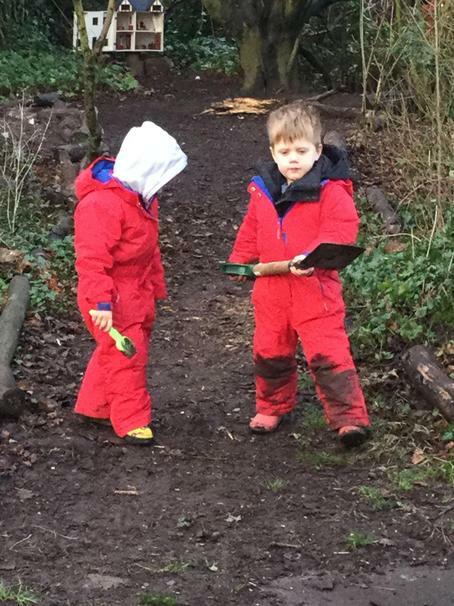 Our first Woodland Wednesday session after our Christmas break.We have been working on team work and welcoming some new Children to our lovely sessions. 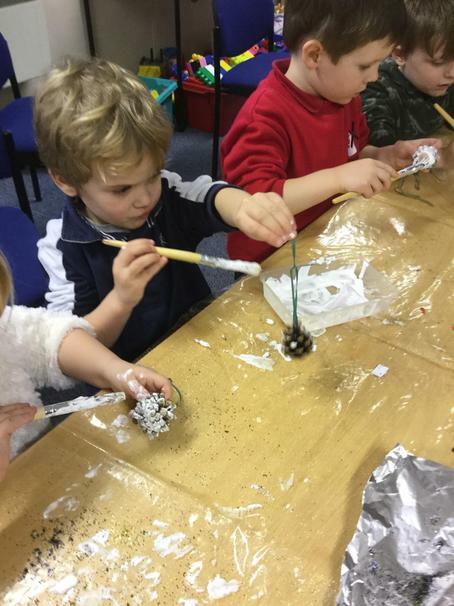 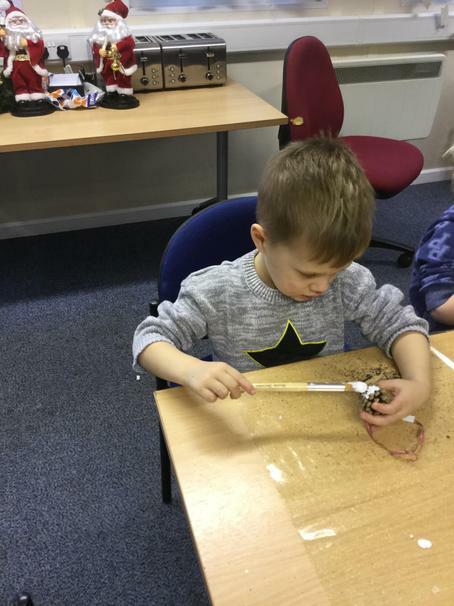 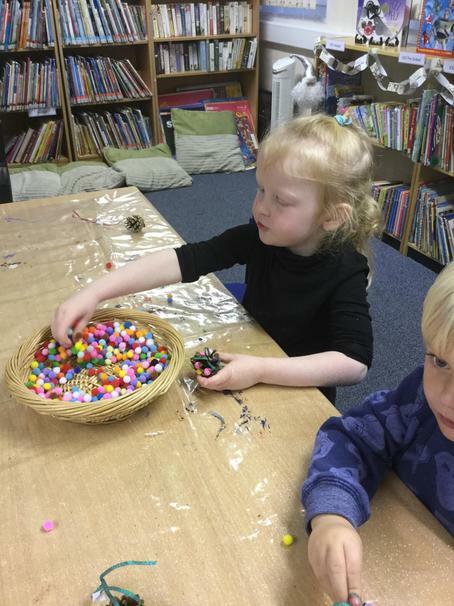 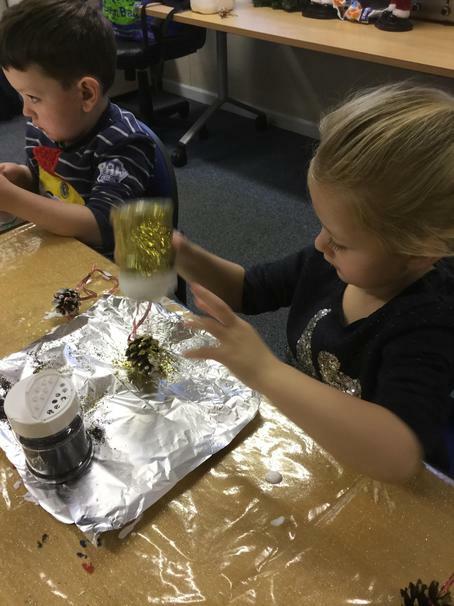 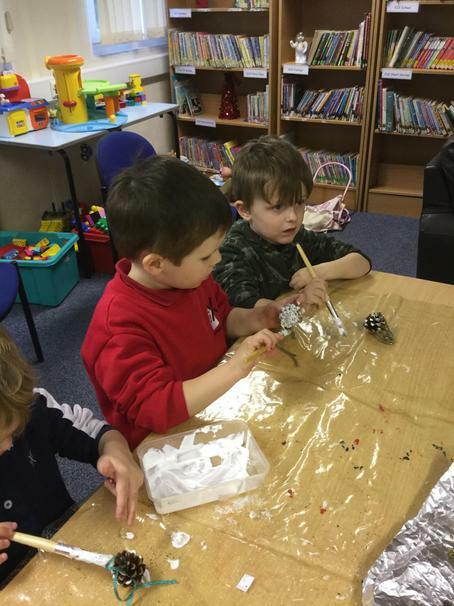 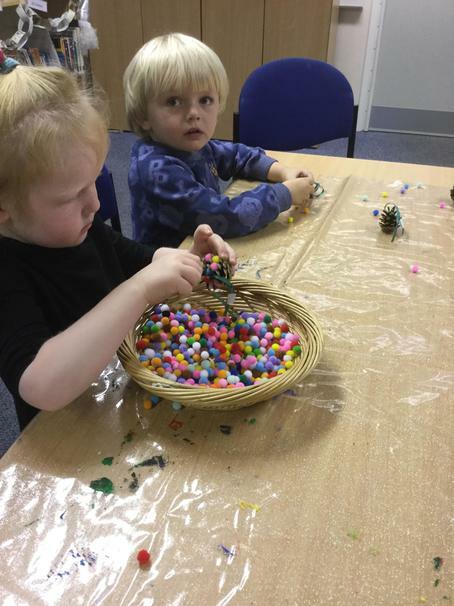 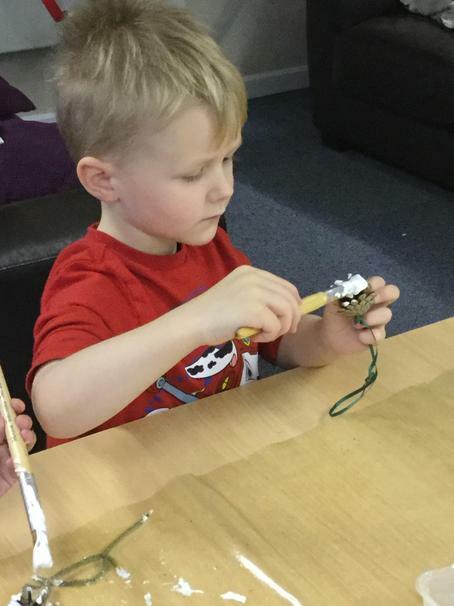 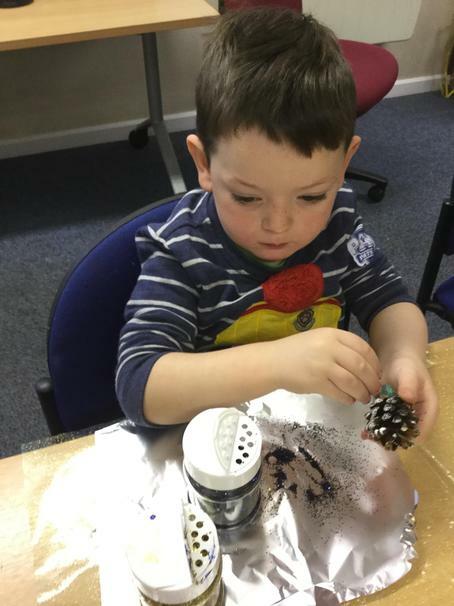 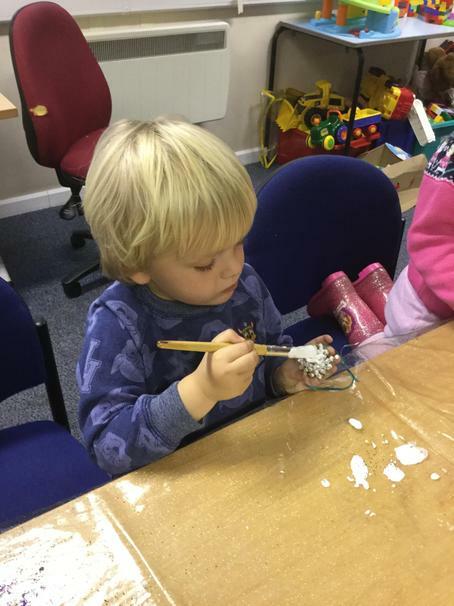 We had a lovely Christmas session today making our Christmas decorations.We finished off with milk and a snowman marshmallows. 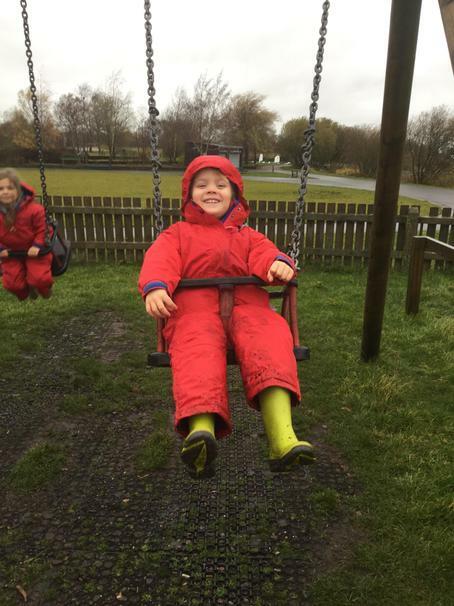 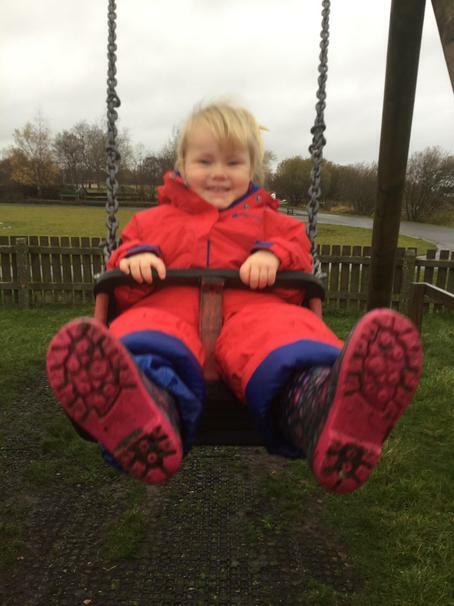 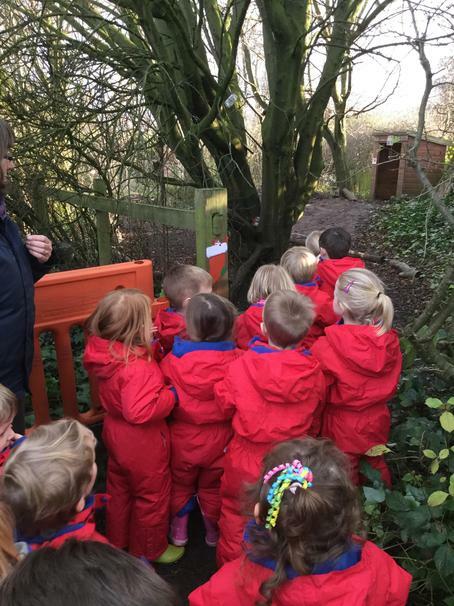 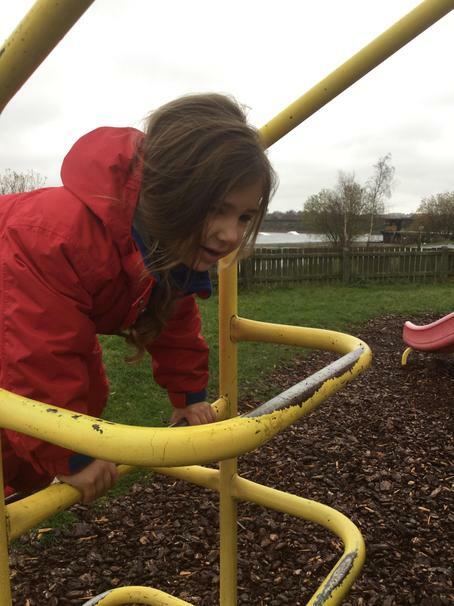 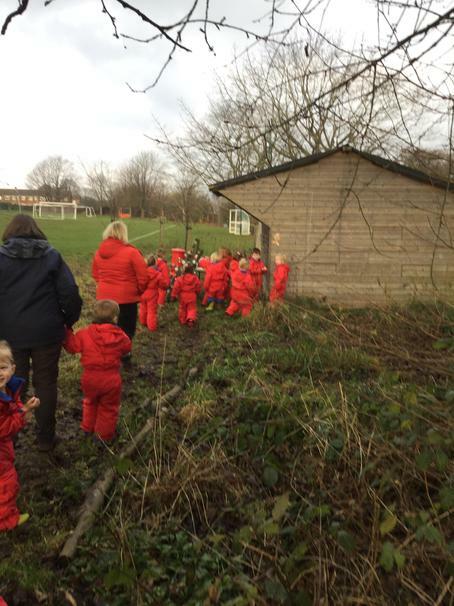 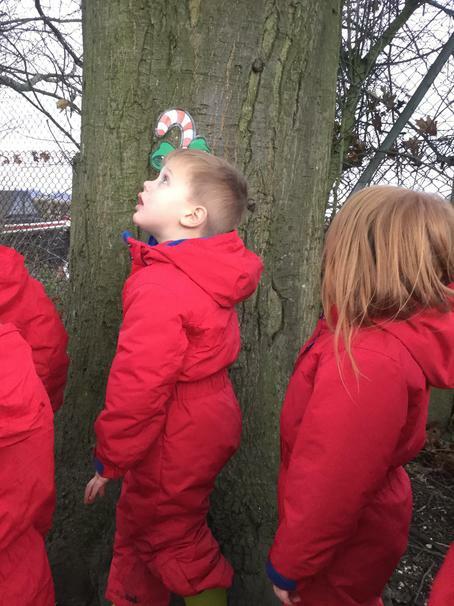 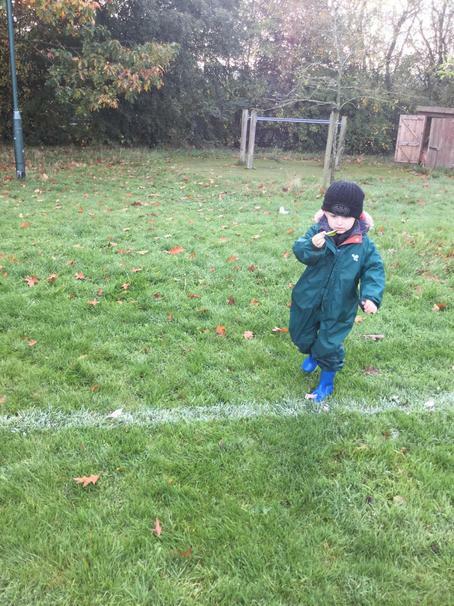 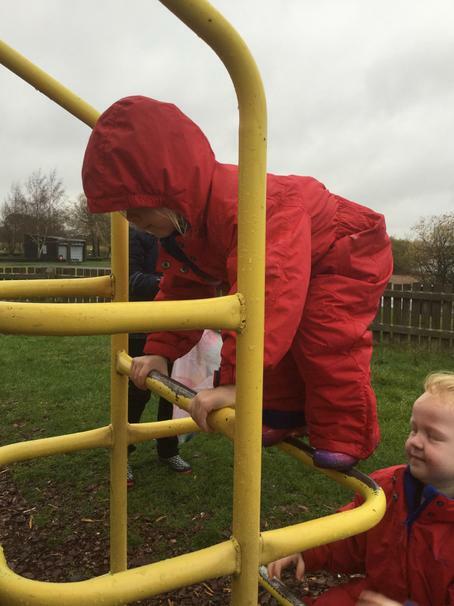 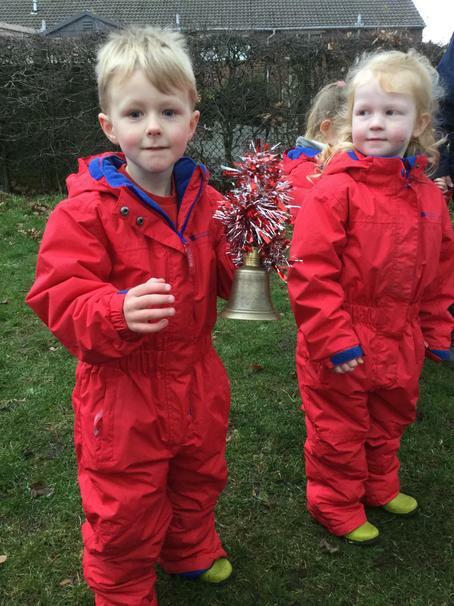 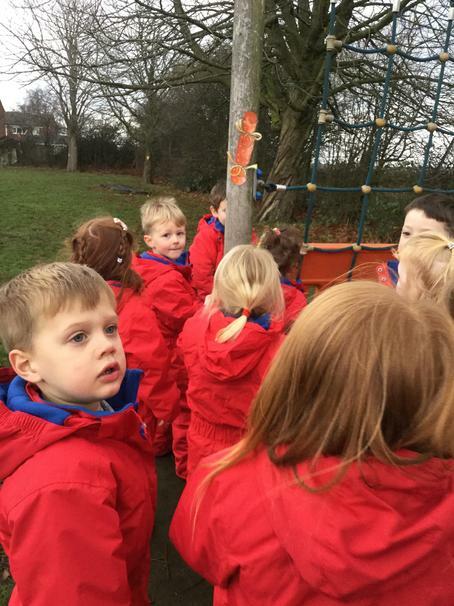 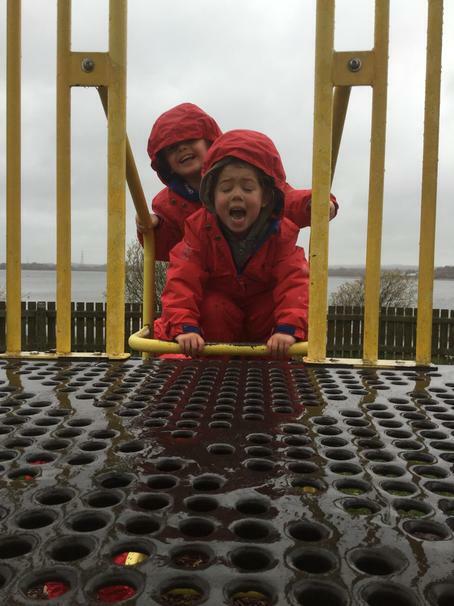 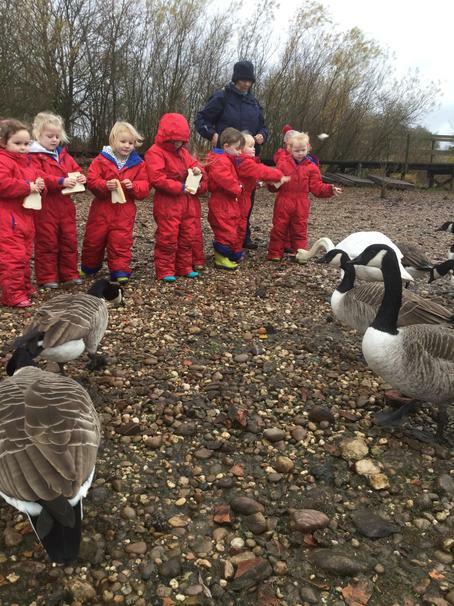 Wednesday 28th November - Today we went on the minibus to Chasewater. 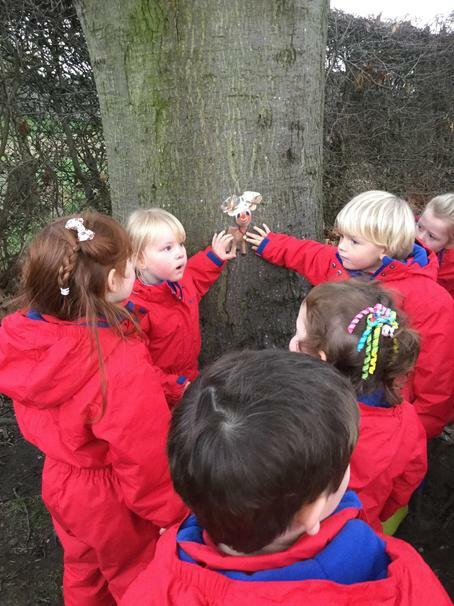 We were lucky enough to see the deer! 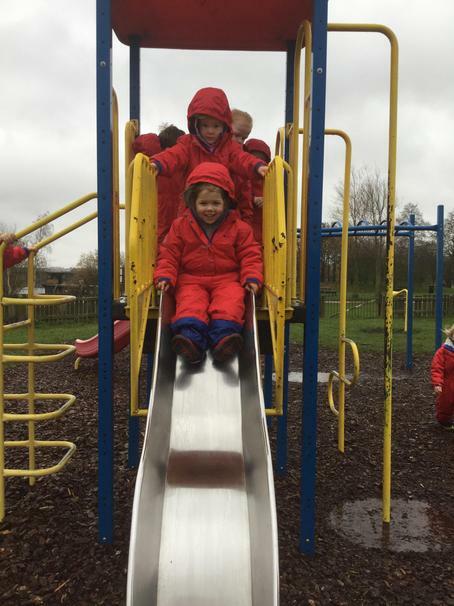 We had fun on the park with our friends. 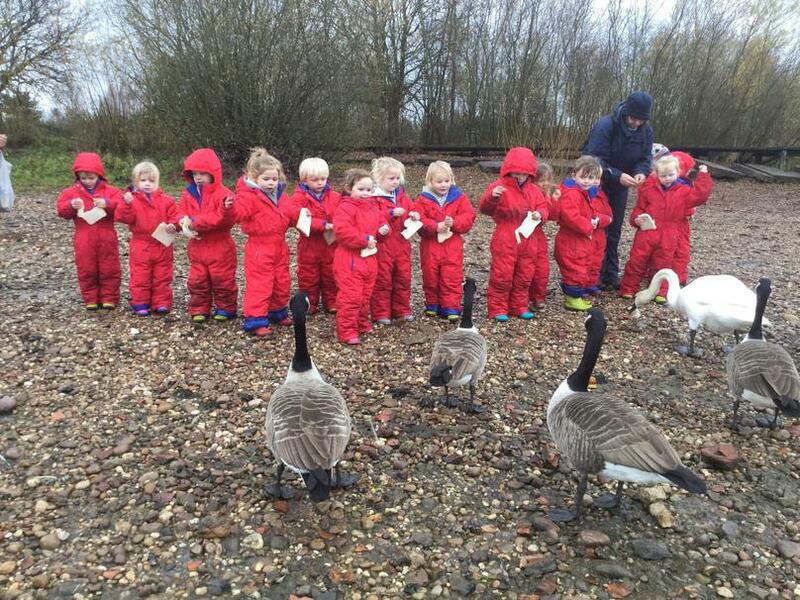 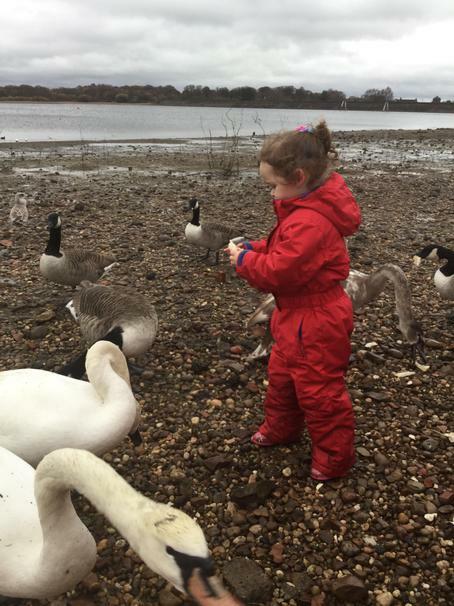 We fed the ducks and swans. 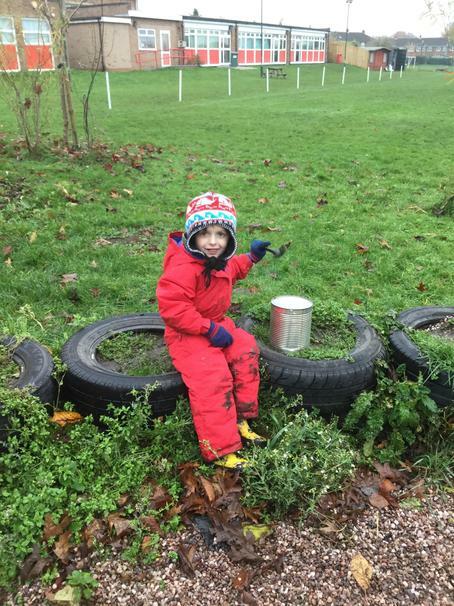 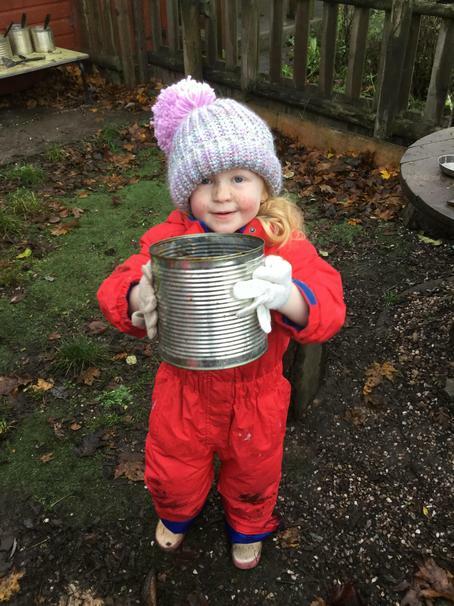 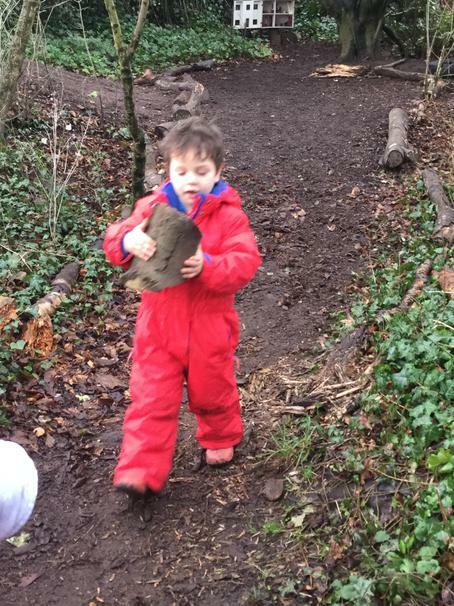 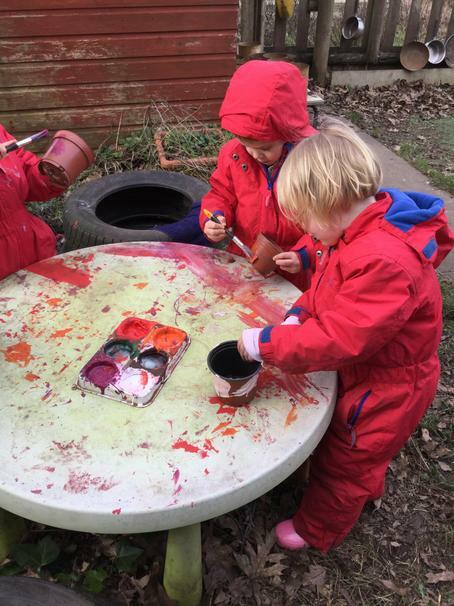 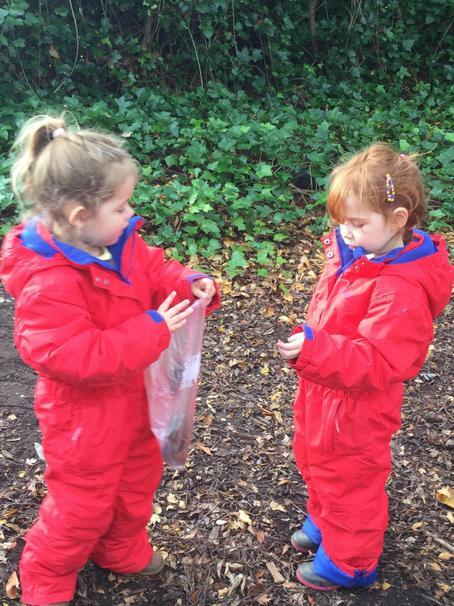 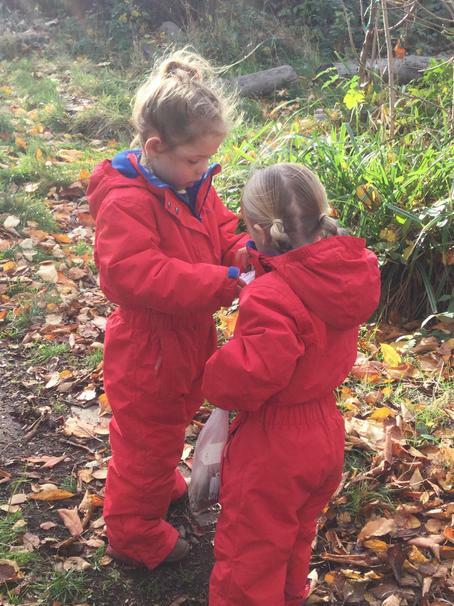 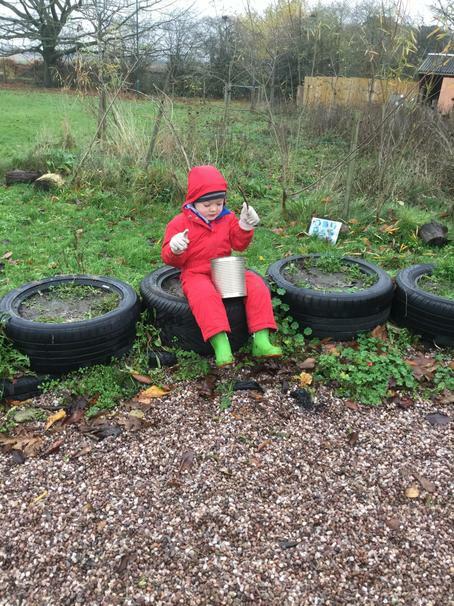 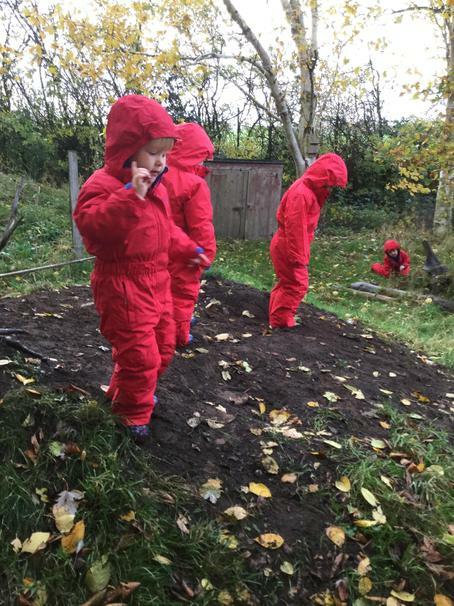 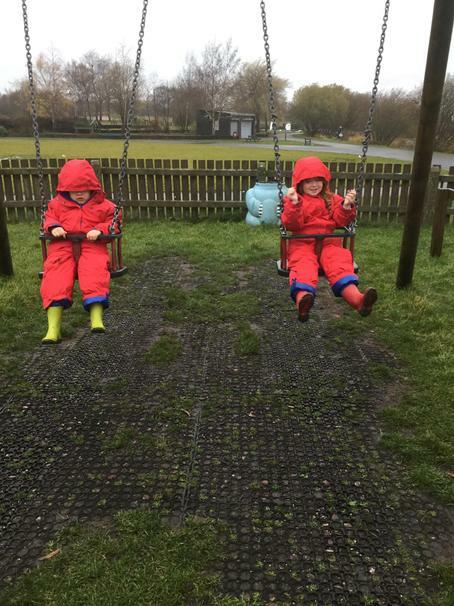 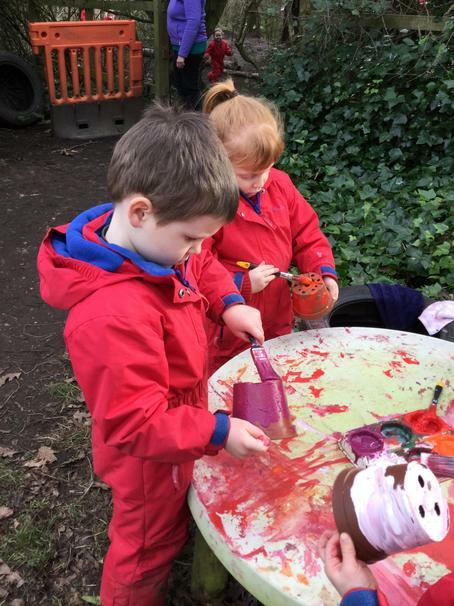 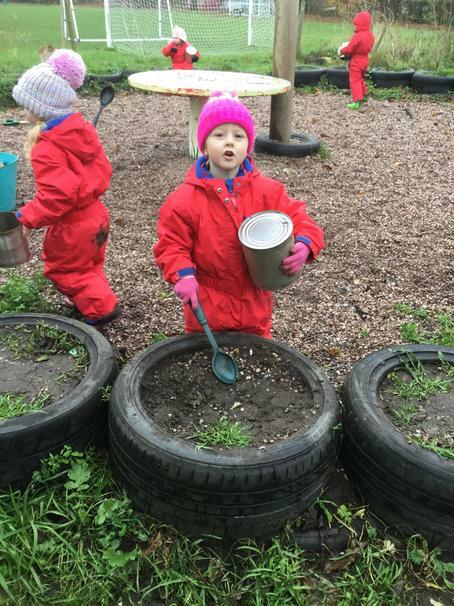 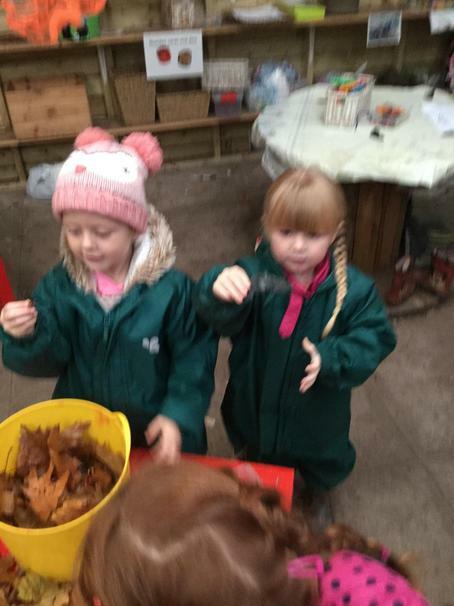 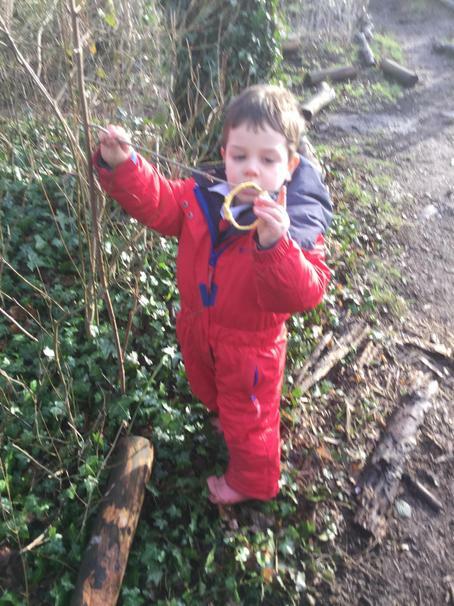 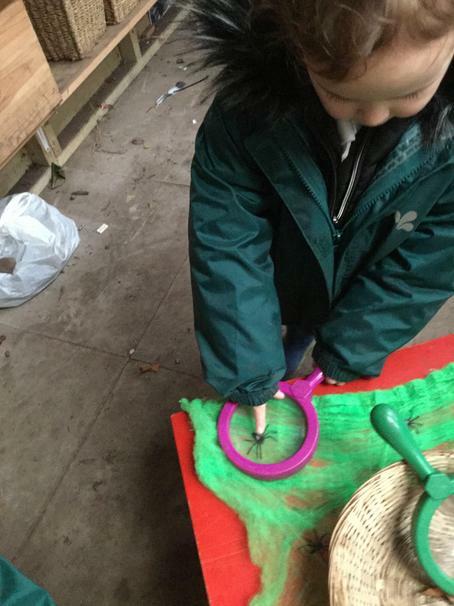 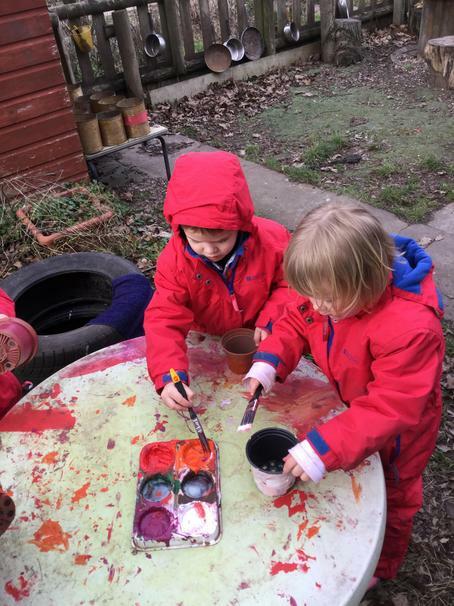 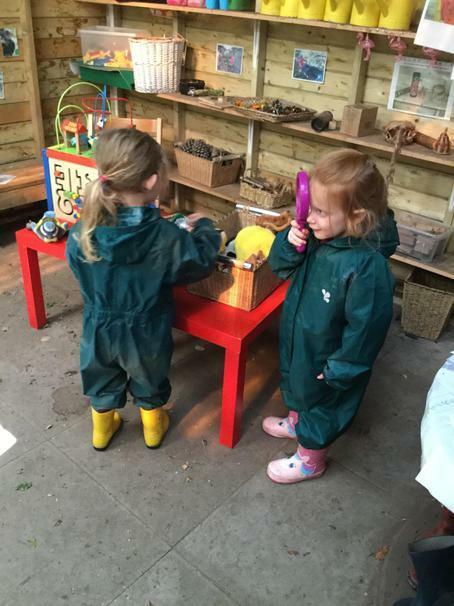 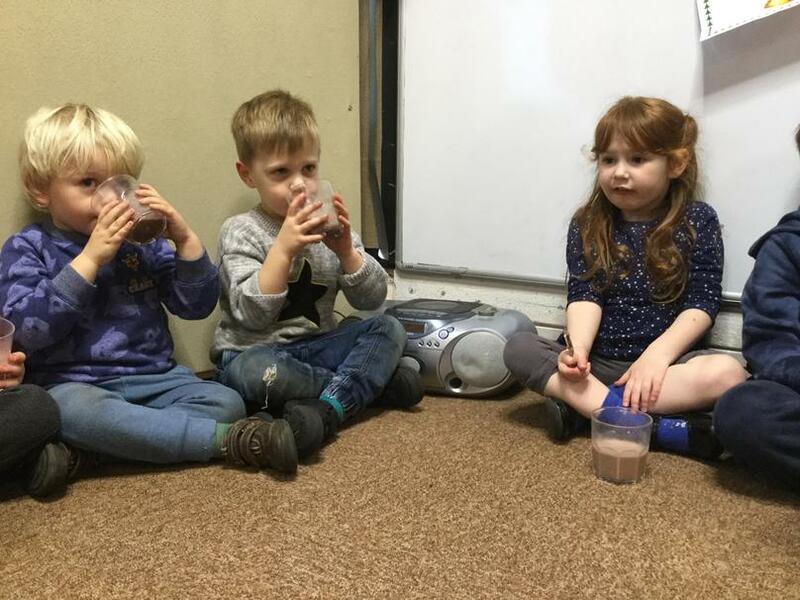 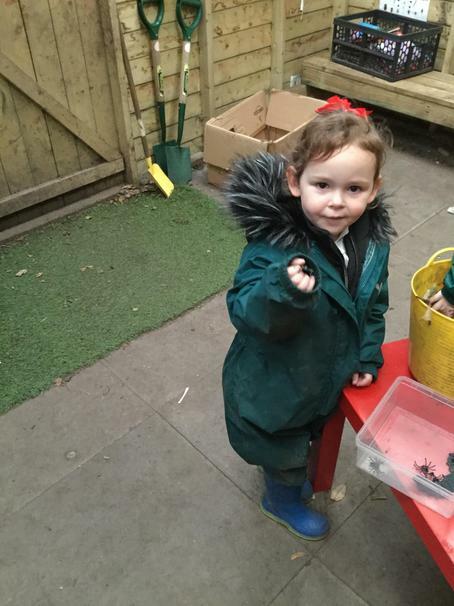 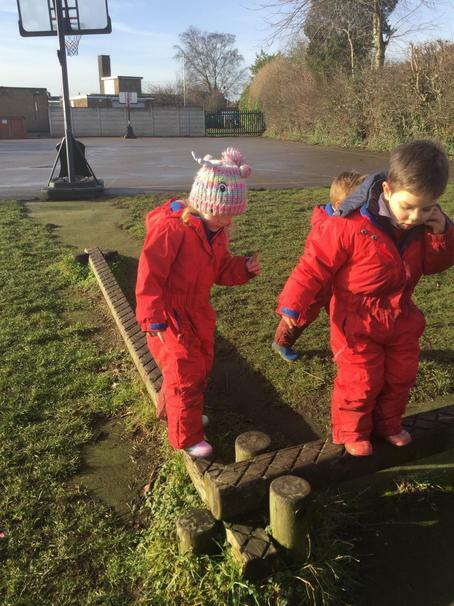 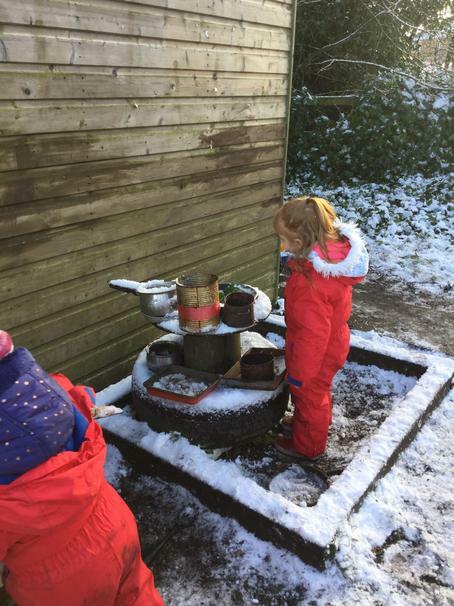 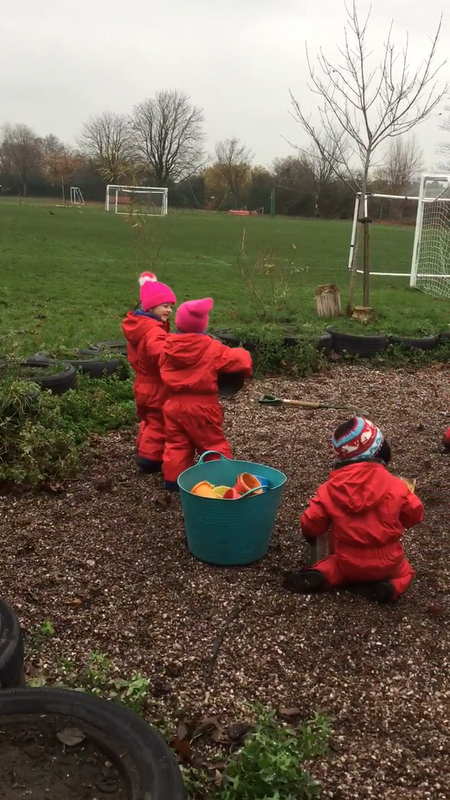 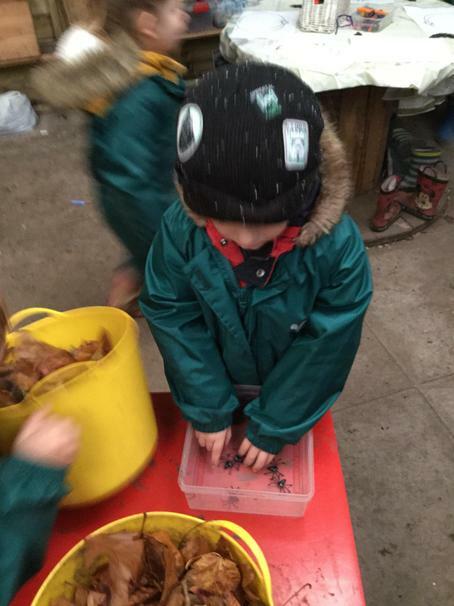 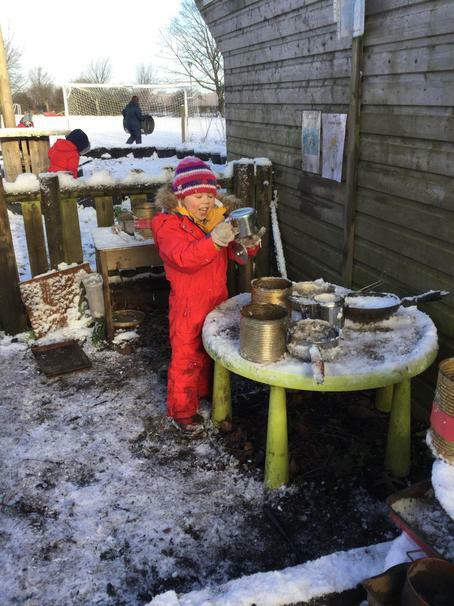 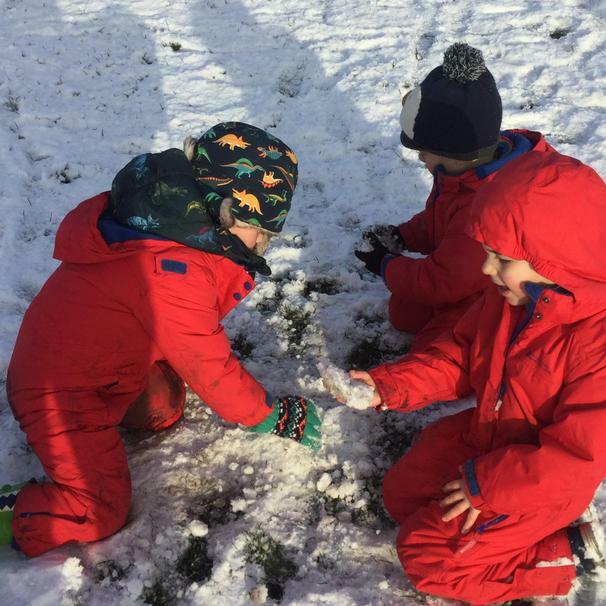 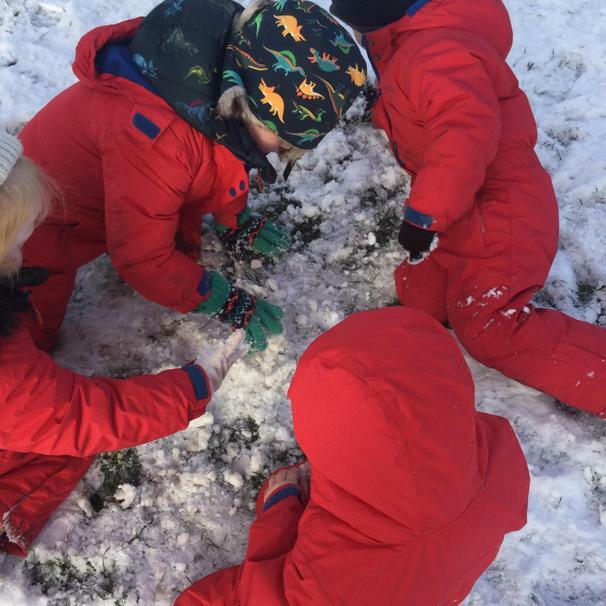 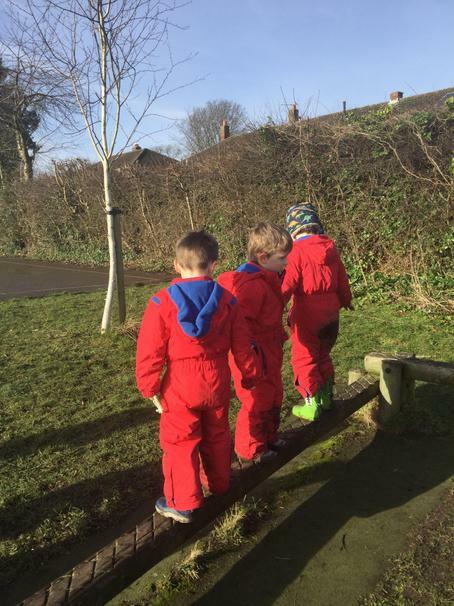 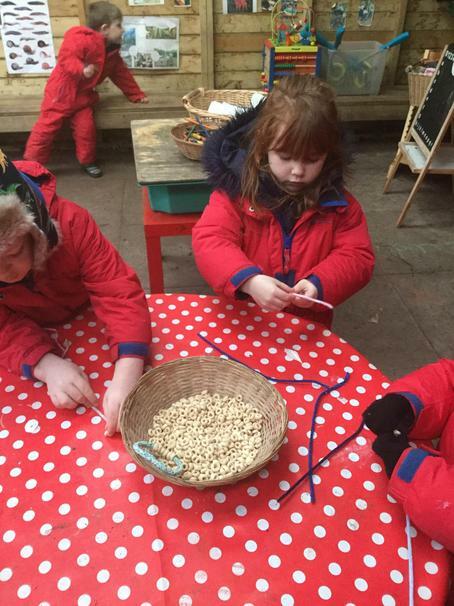 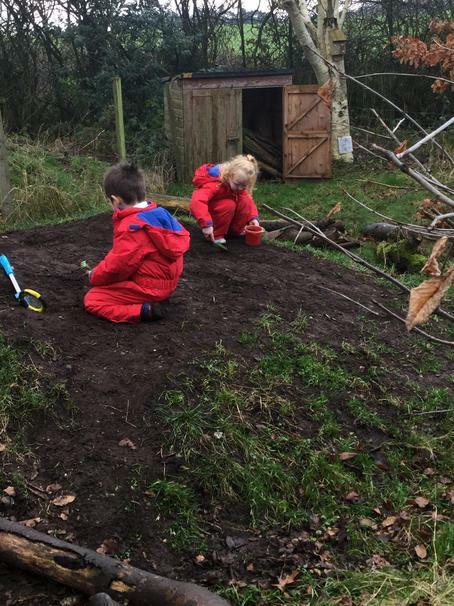 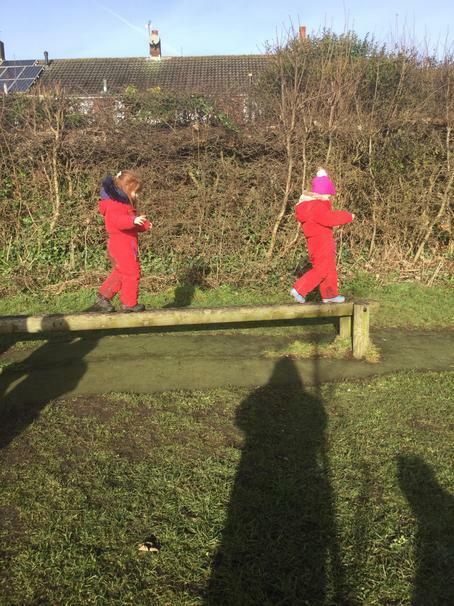 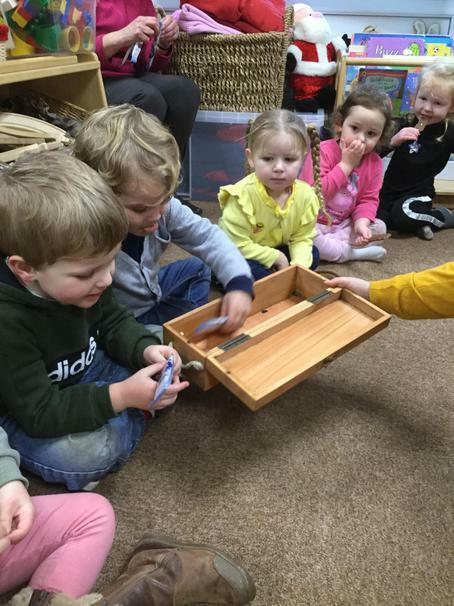 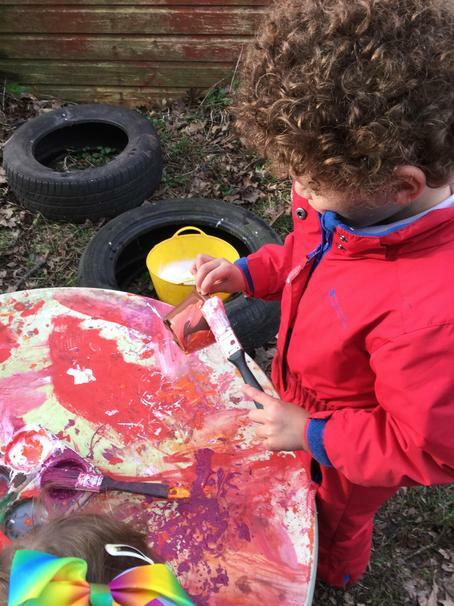 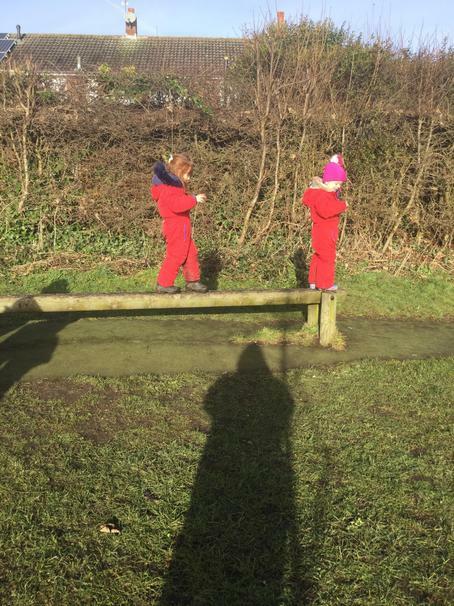 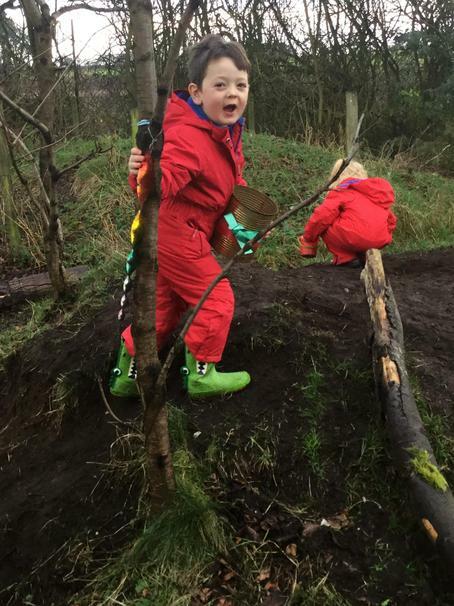 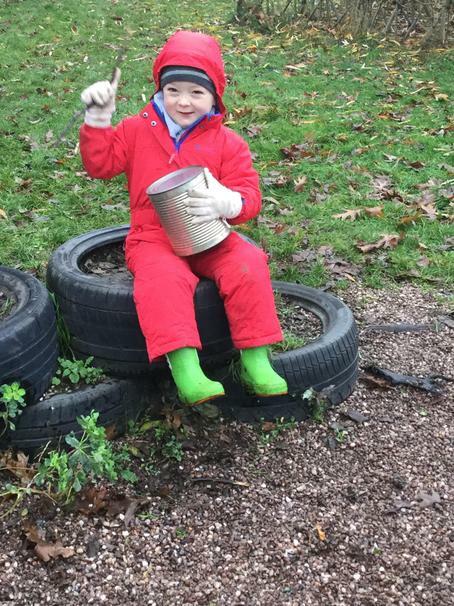 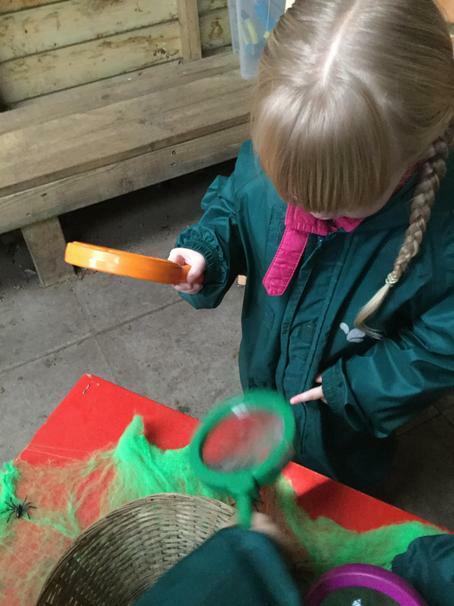 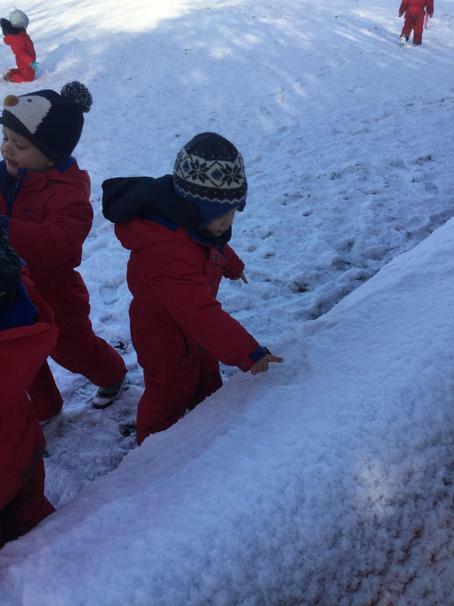 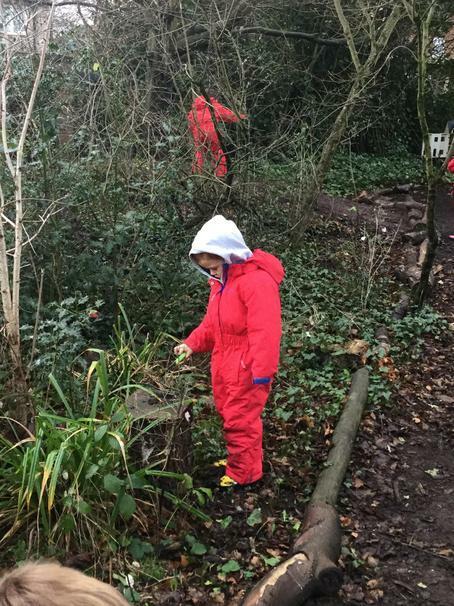 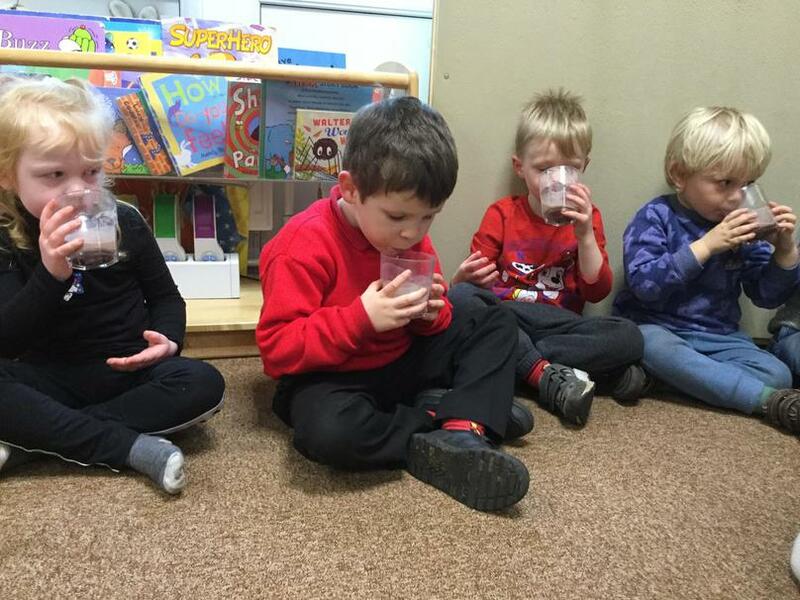 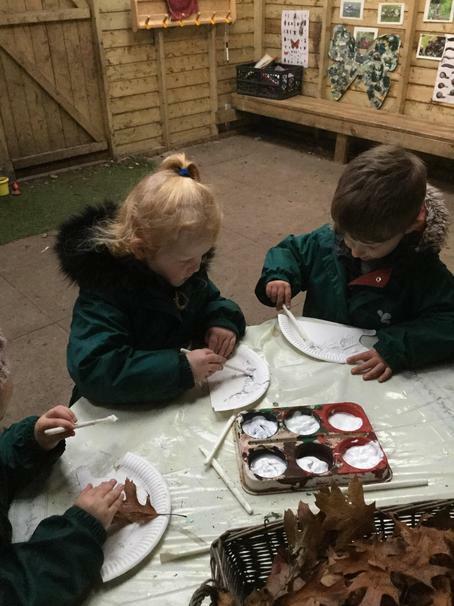 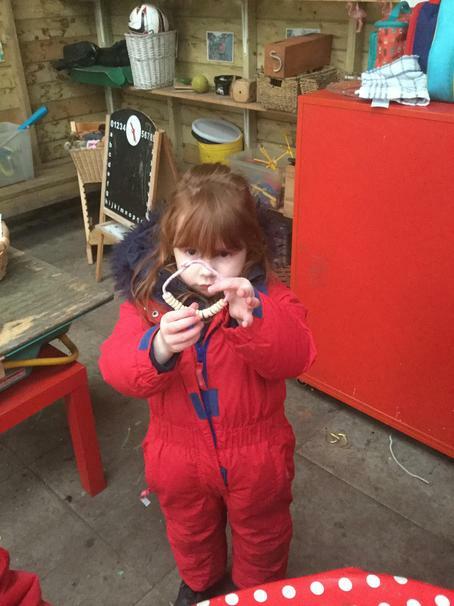 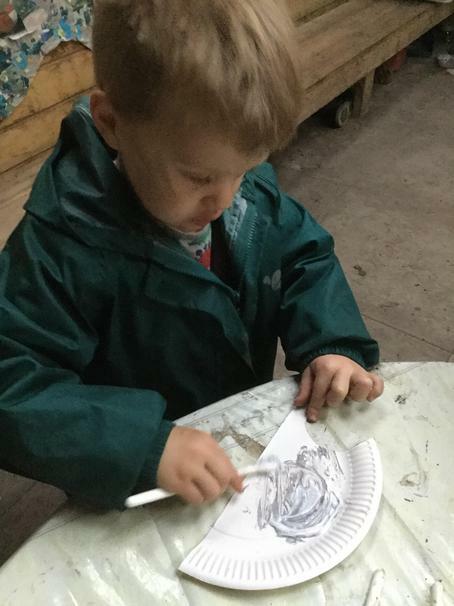 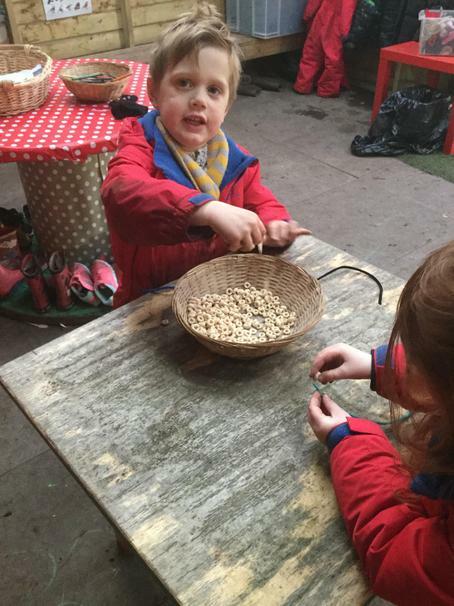 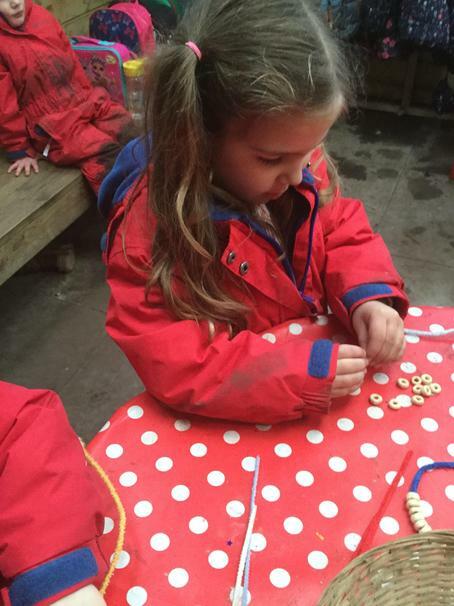 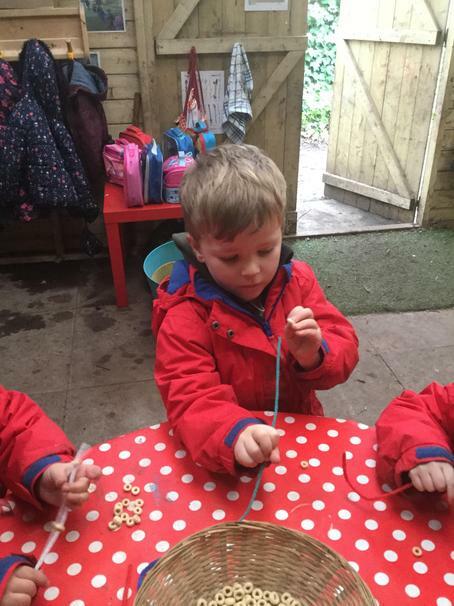 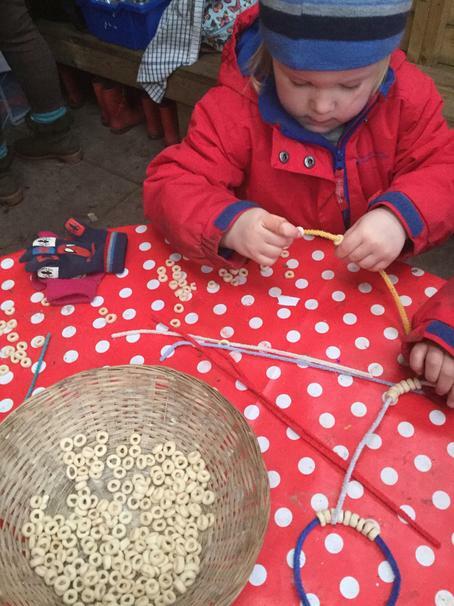 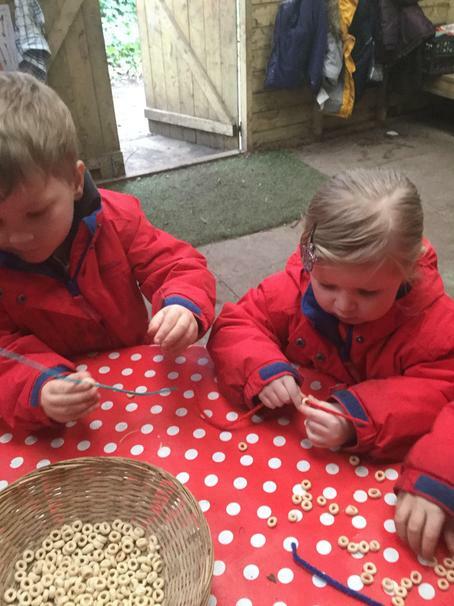 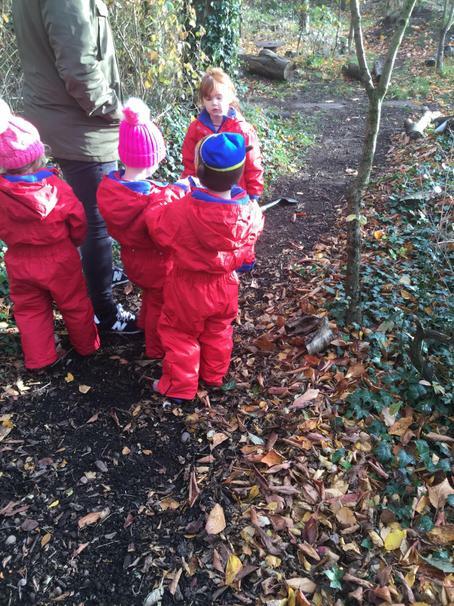 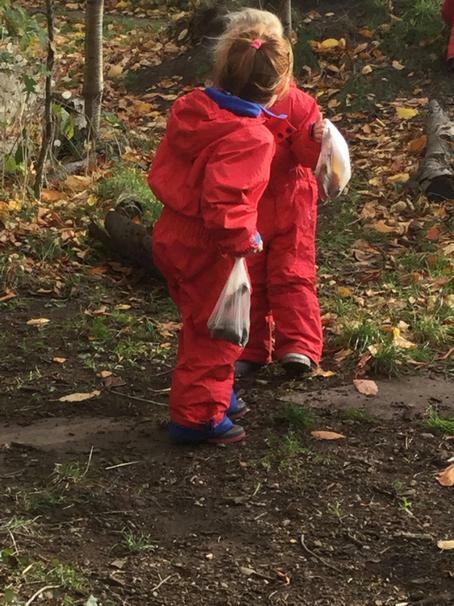 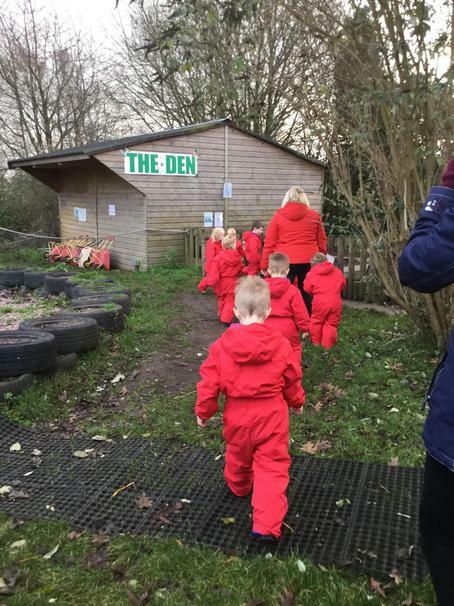 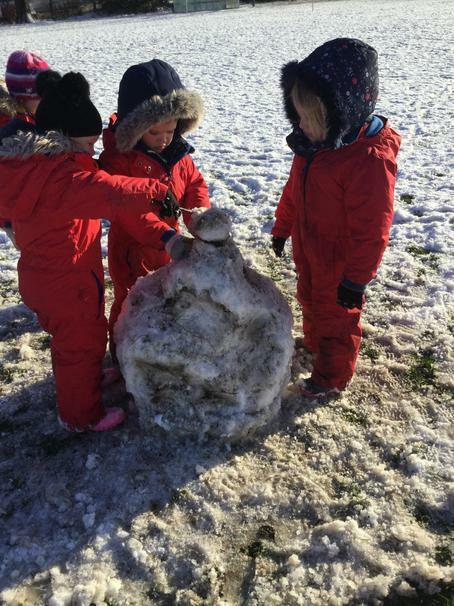 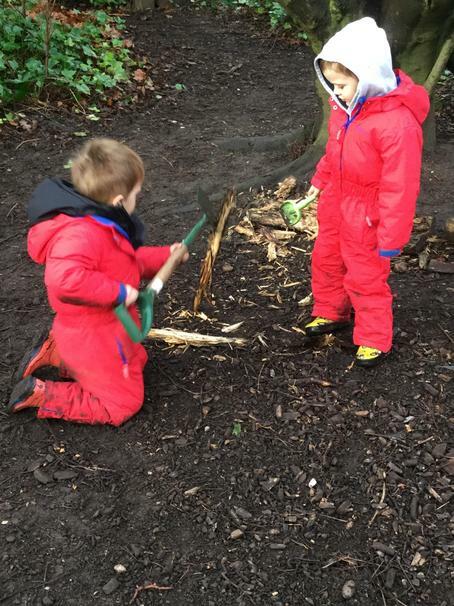 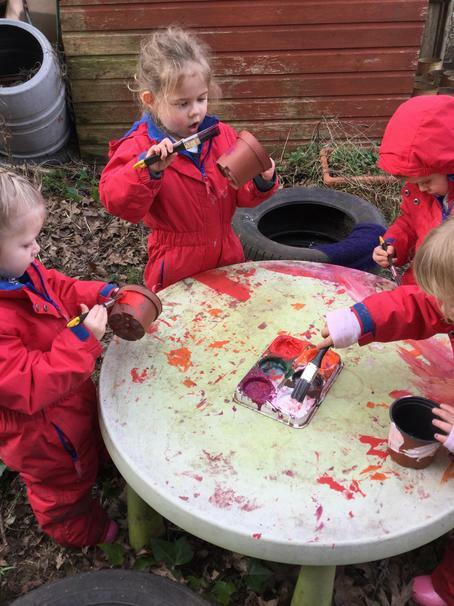 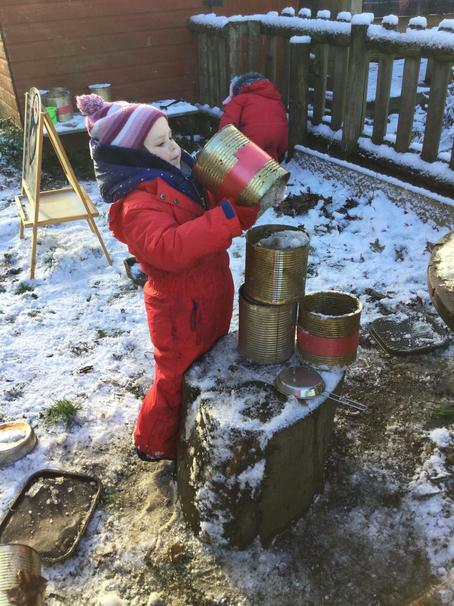 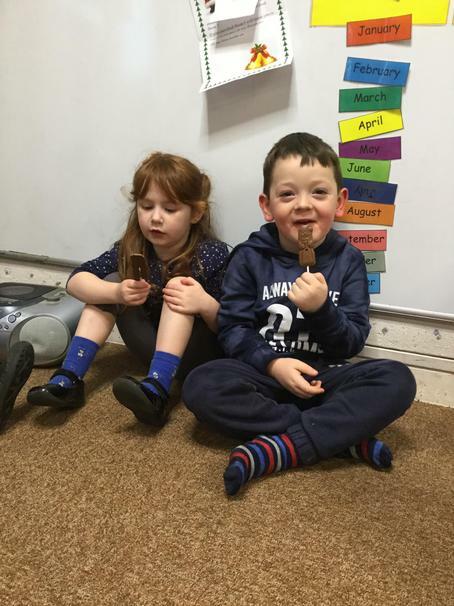 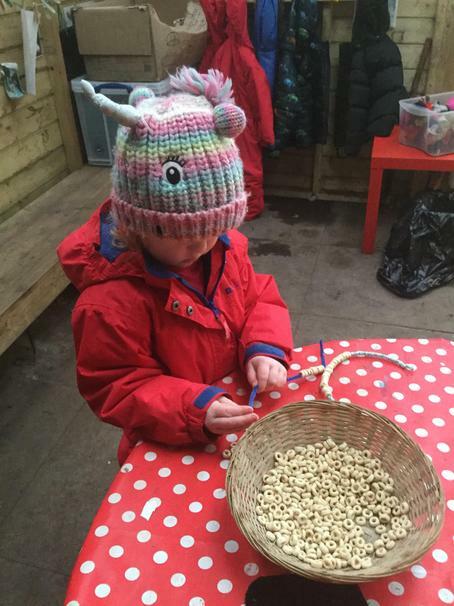 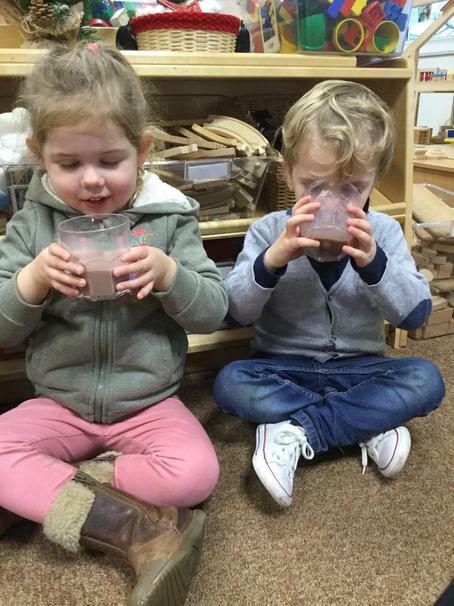 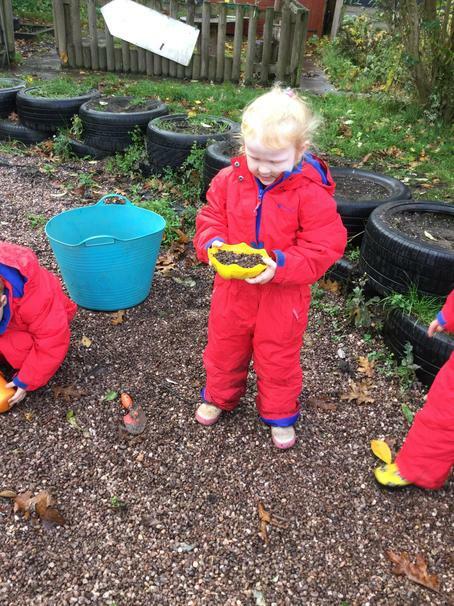 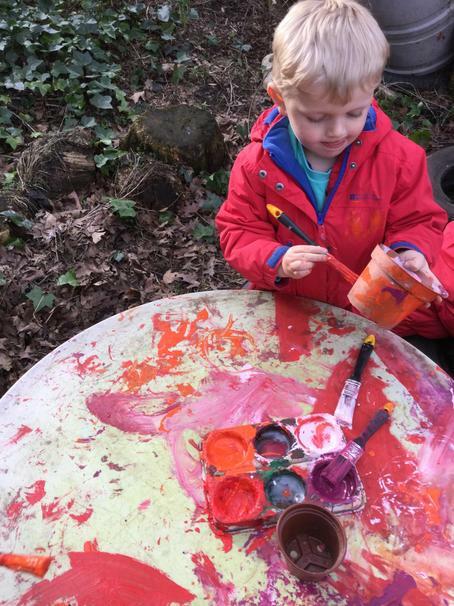 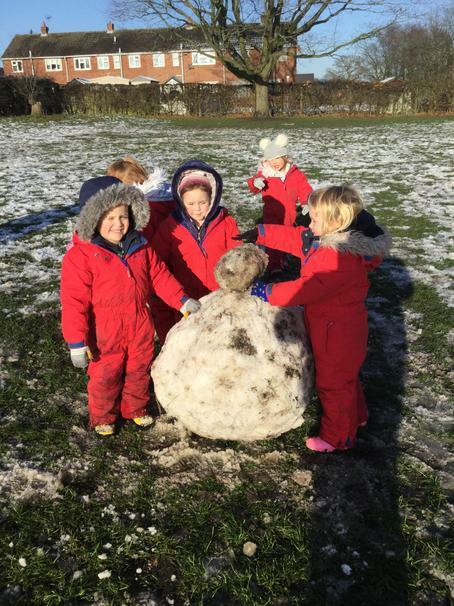 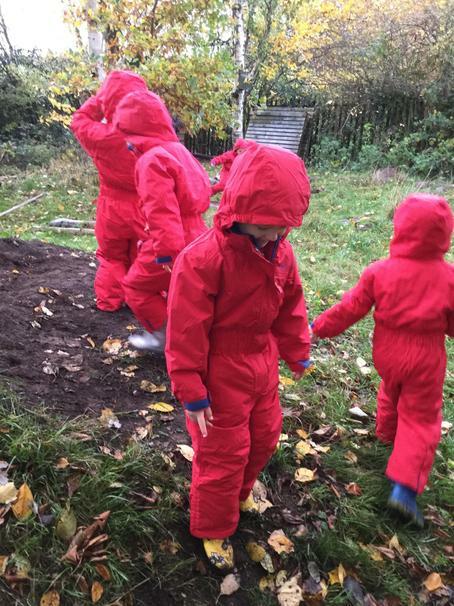 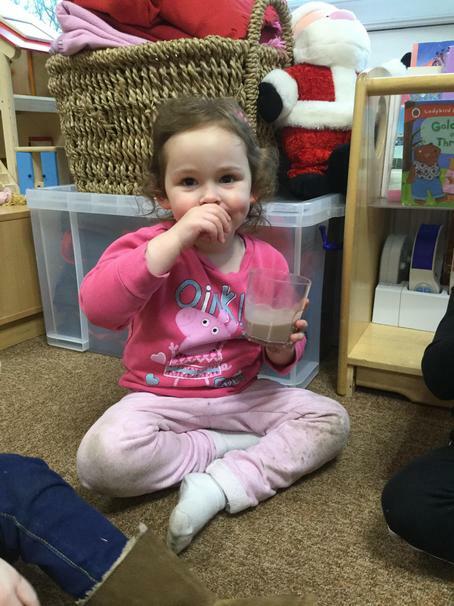 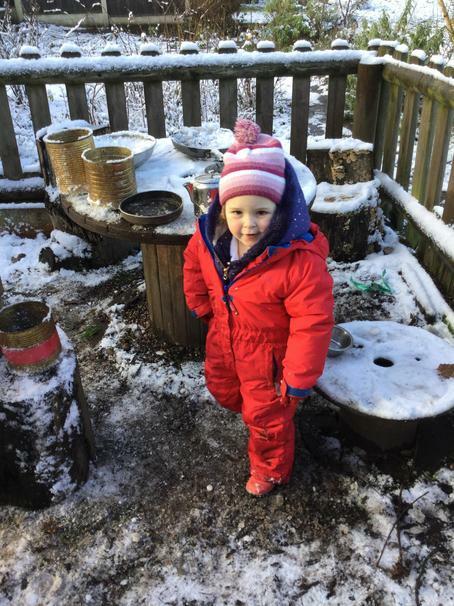 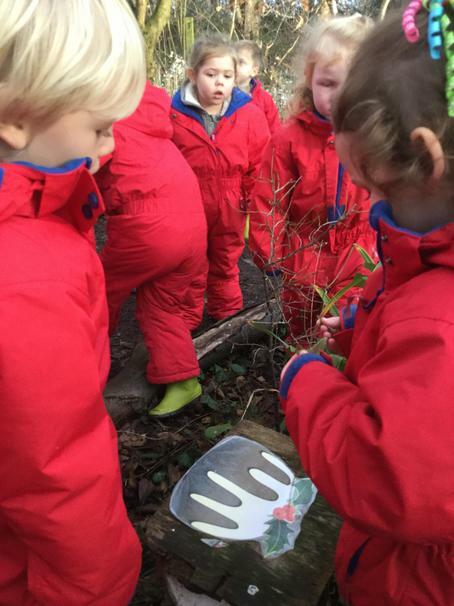 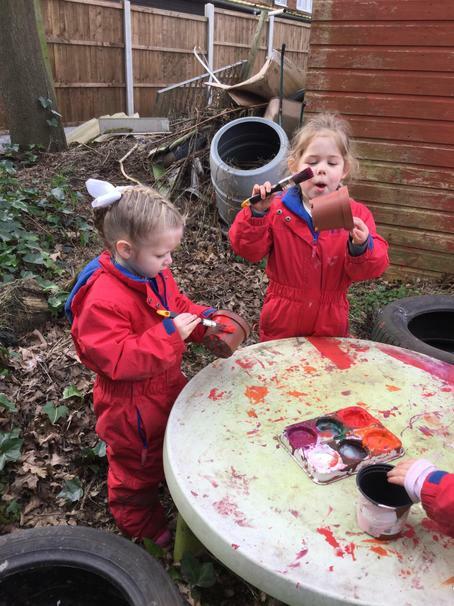 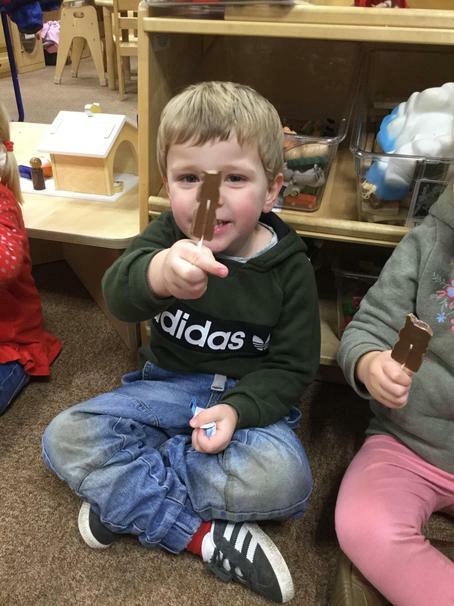 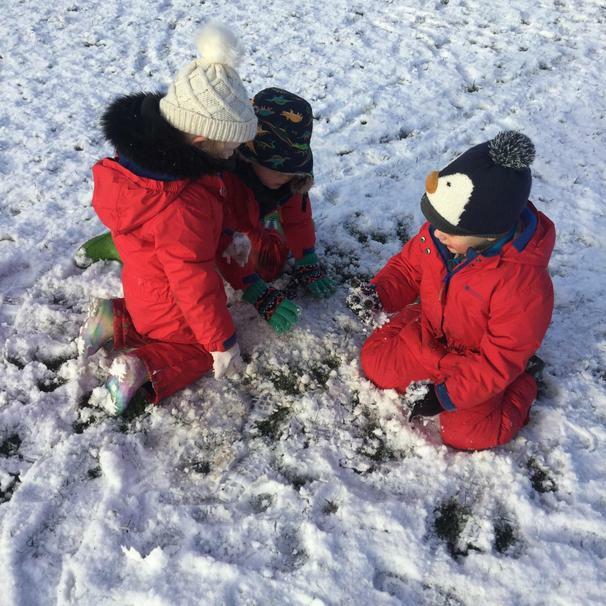 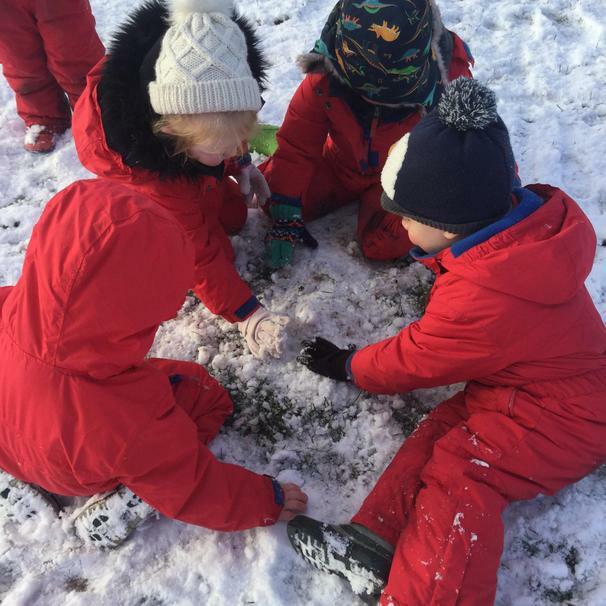 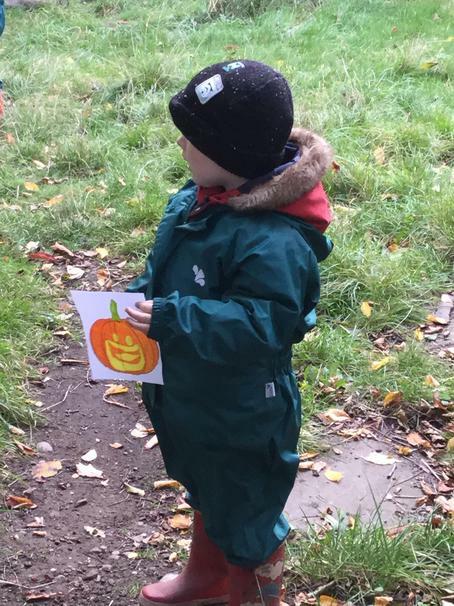 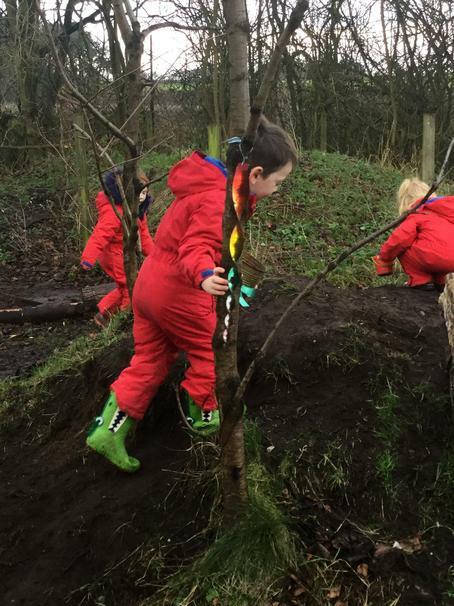 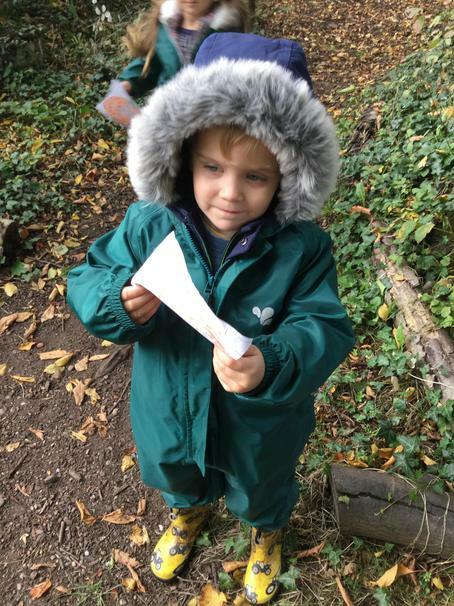 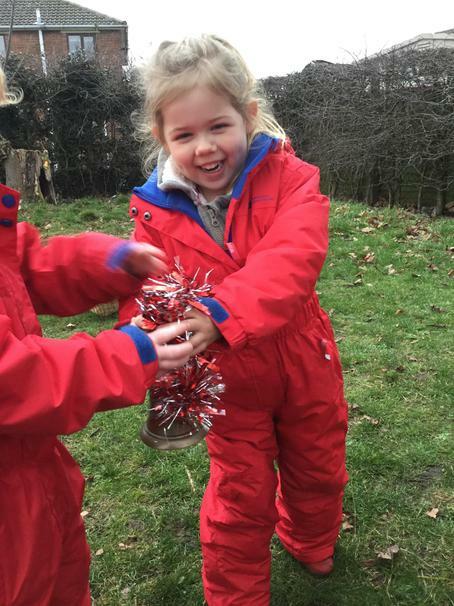 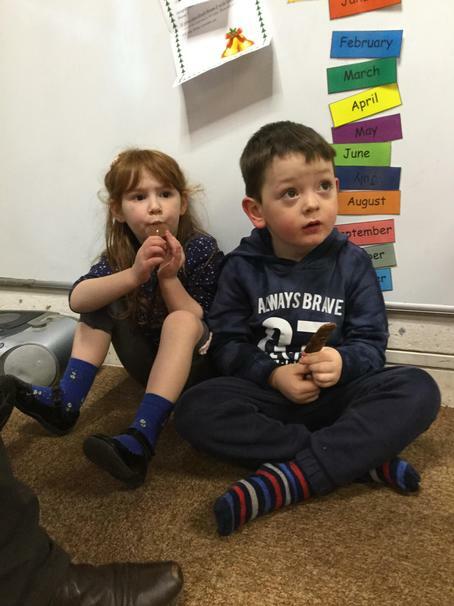 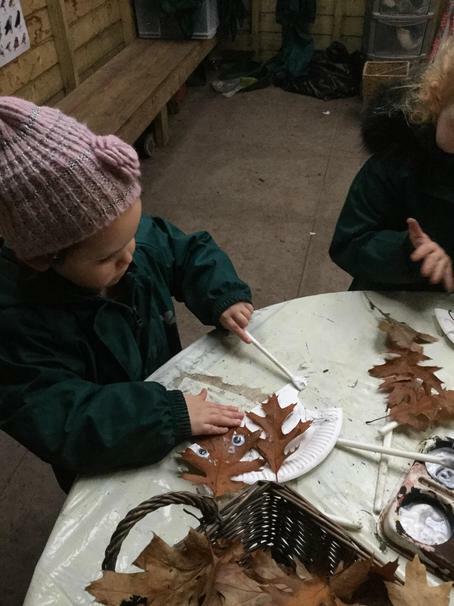 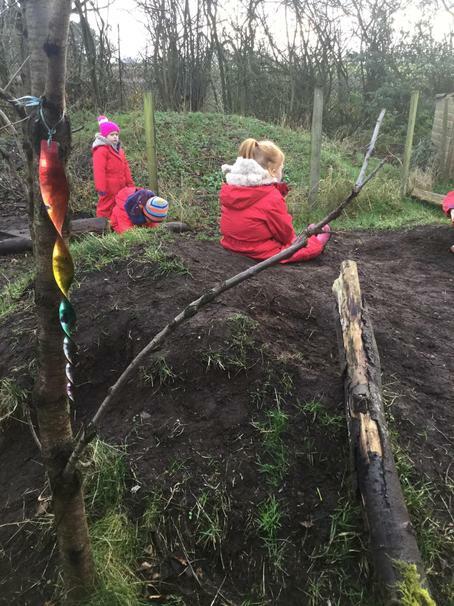 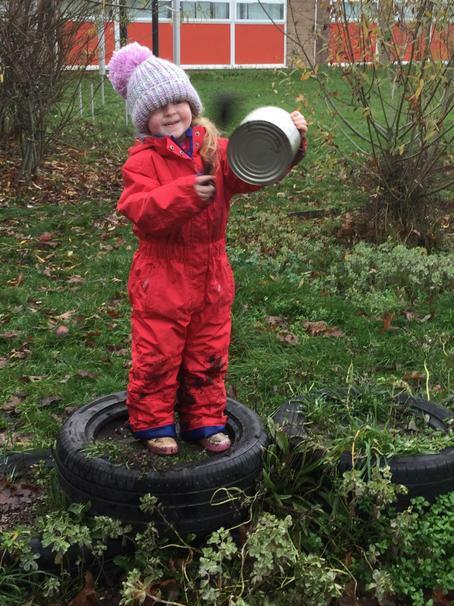 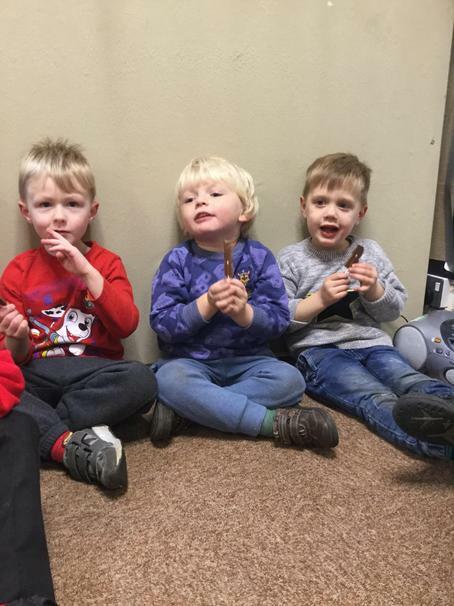 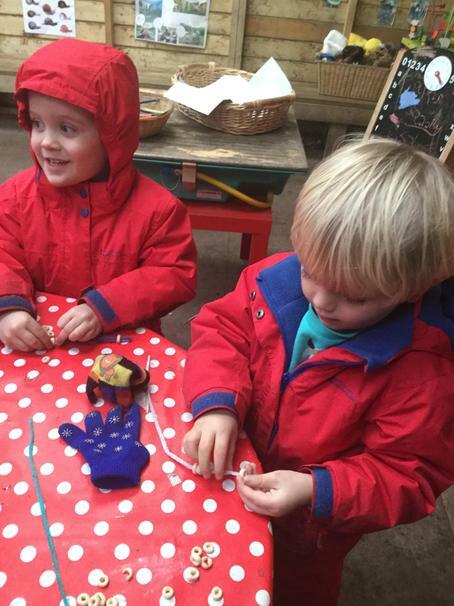 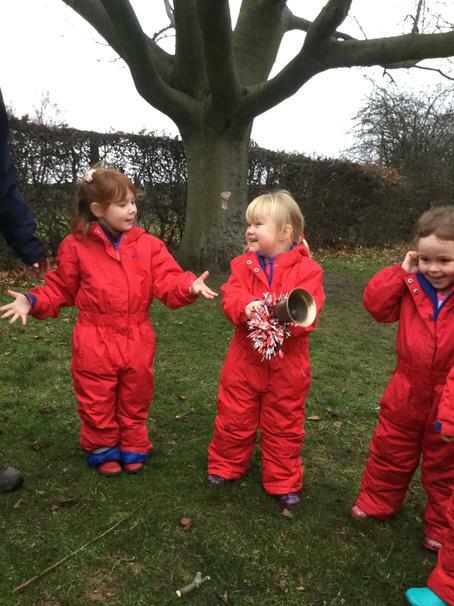 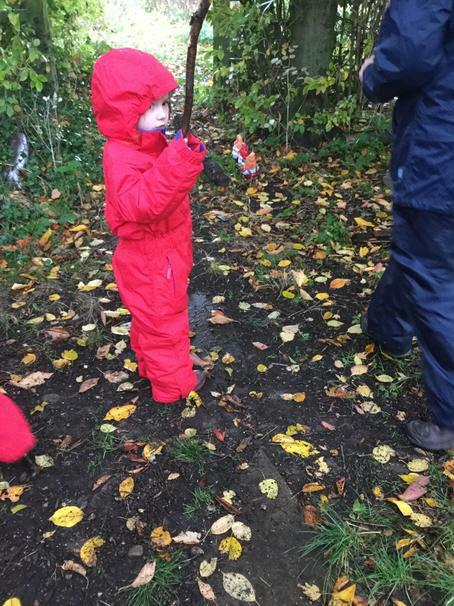 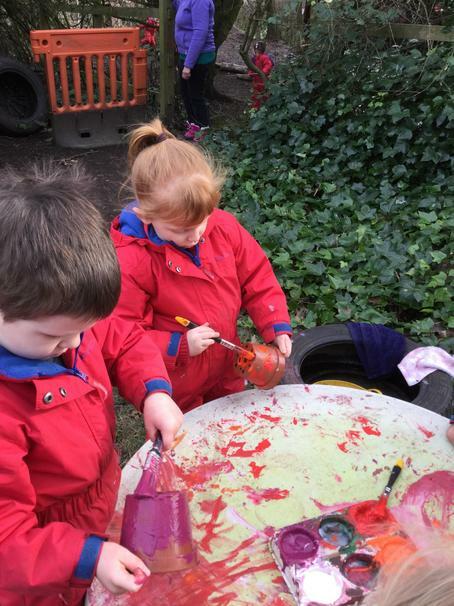 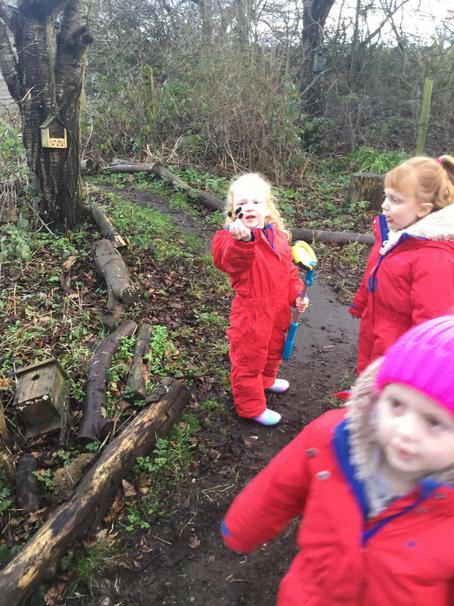 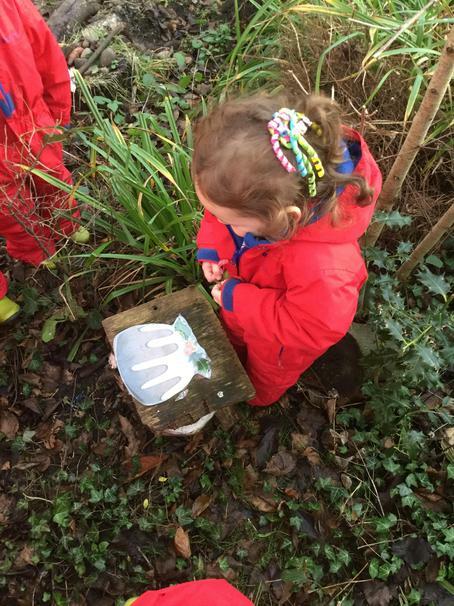 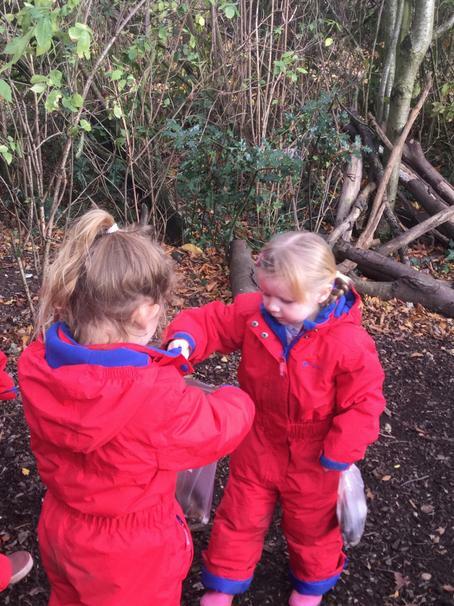 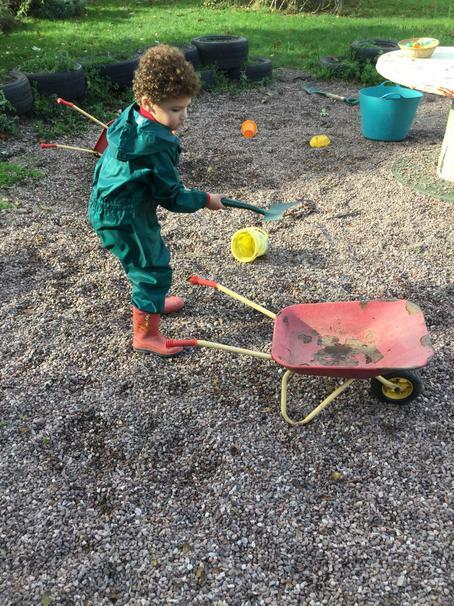 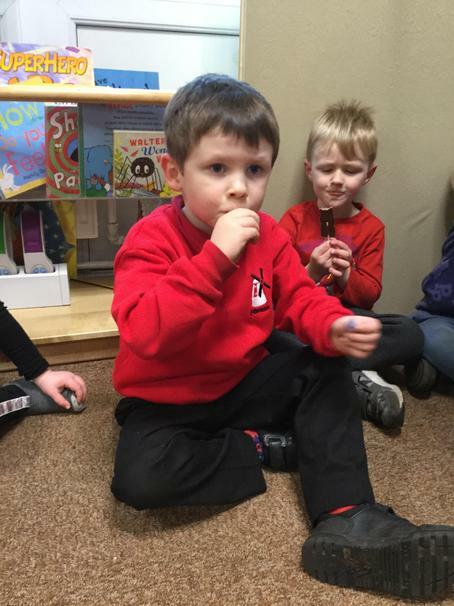 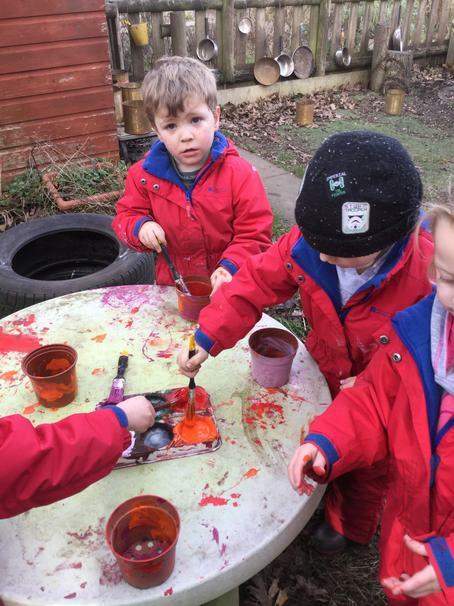 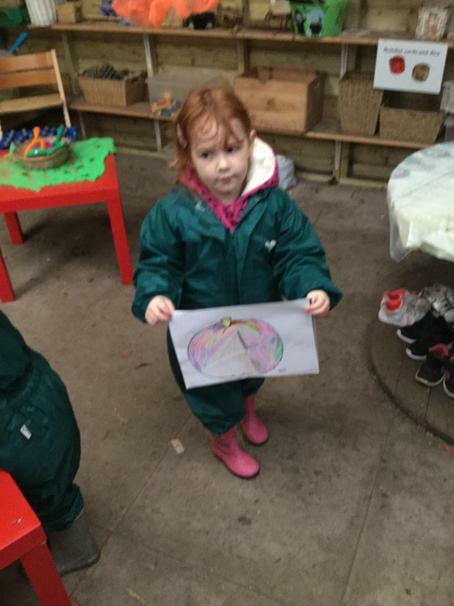 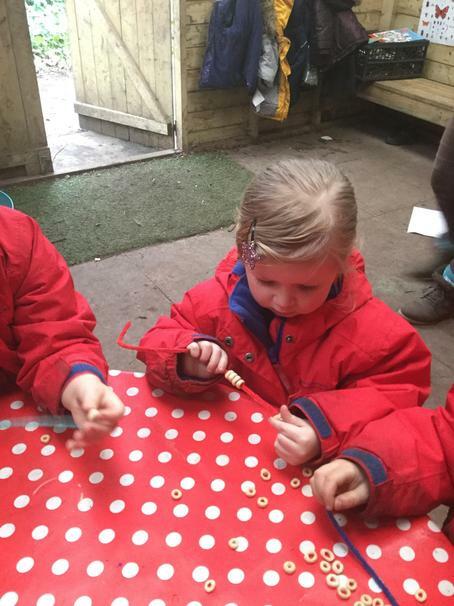 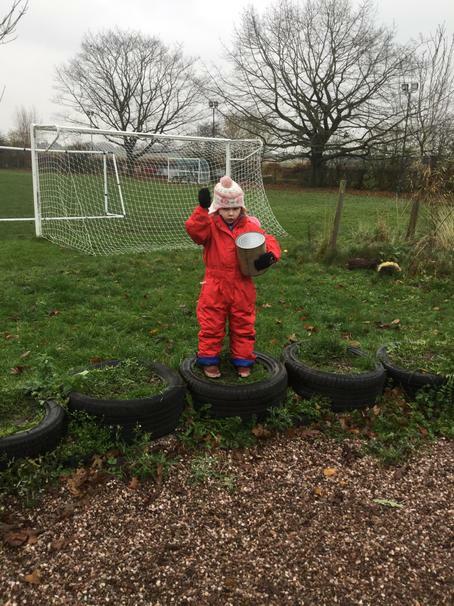 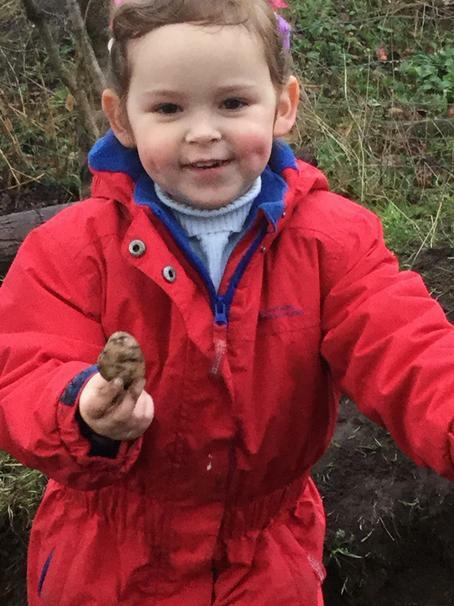 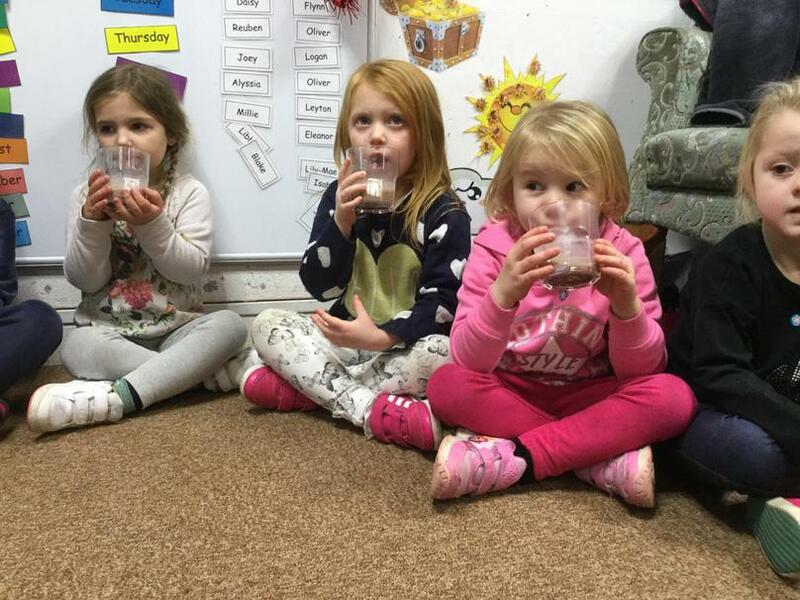 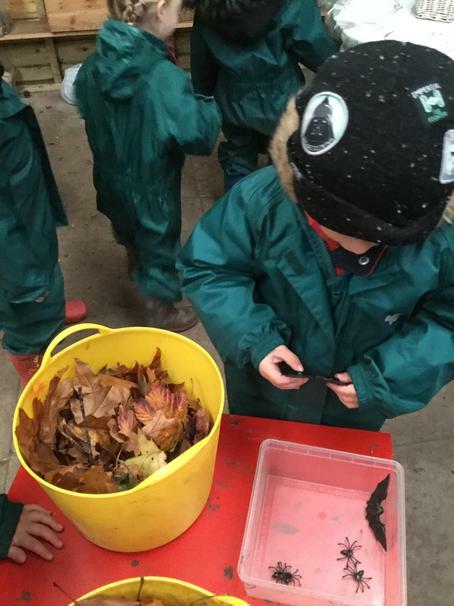 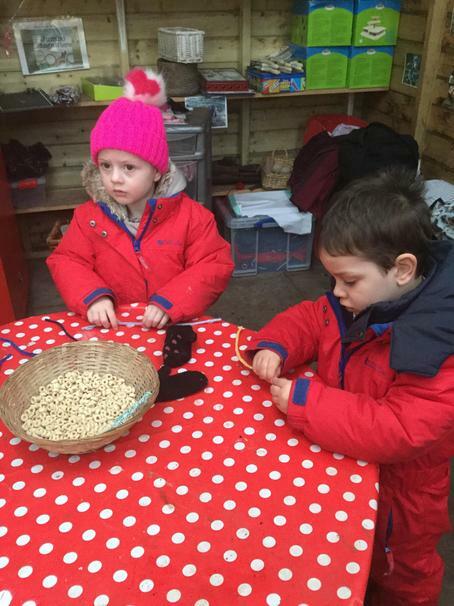 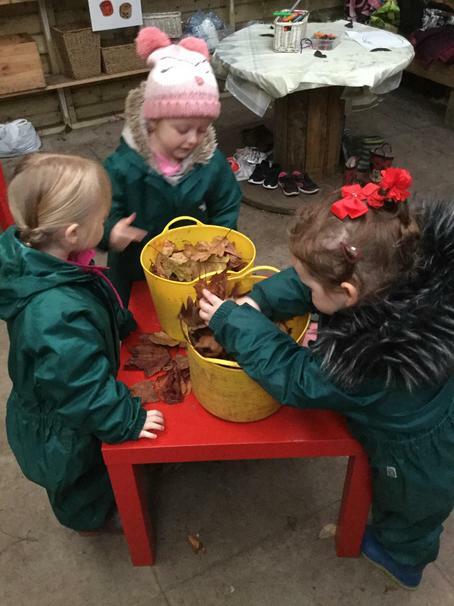 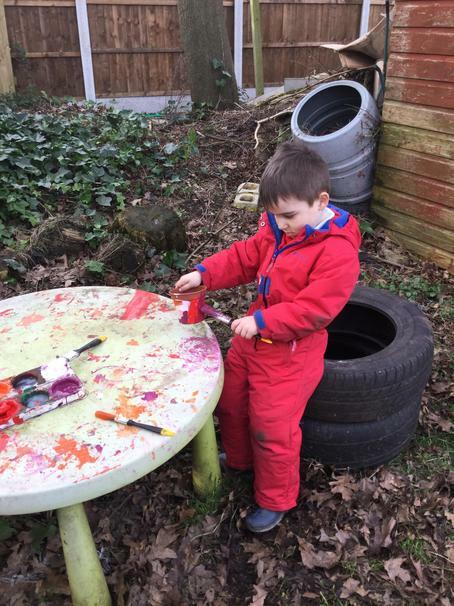 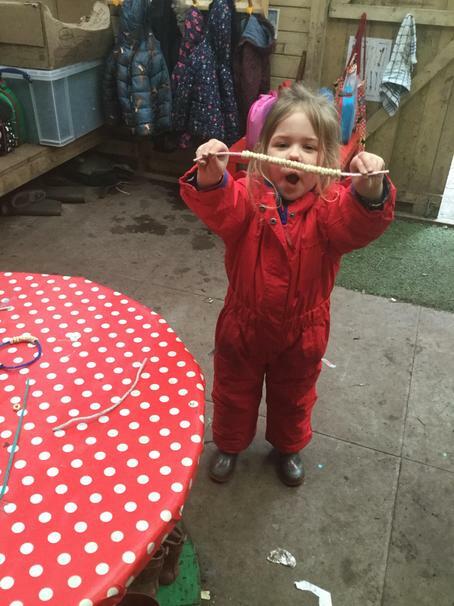 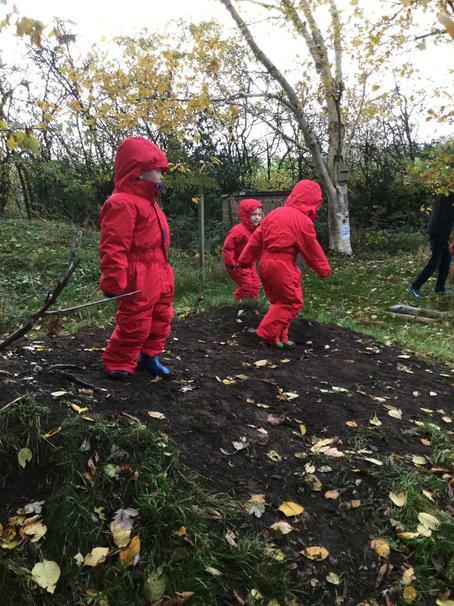 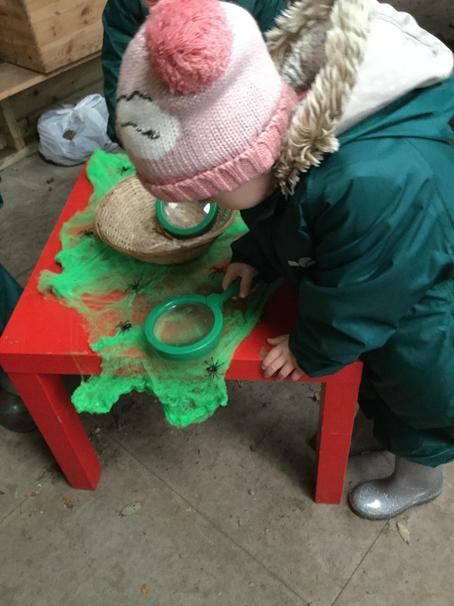 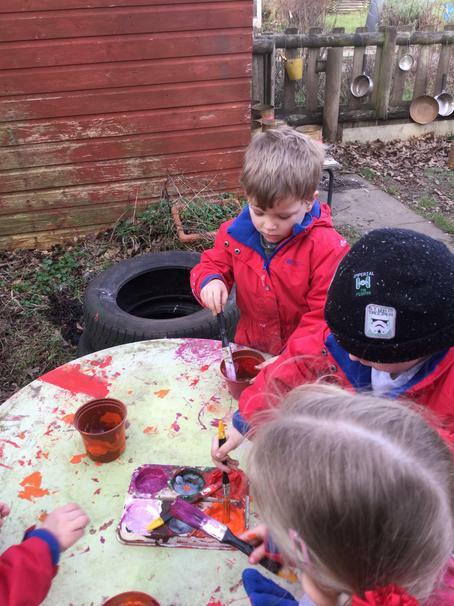 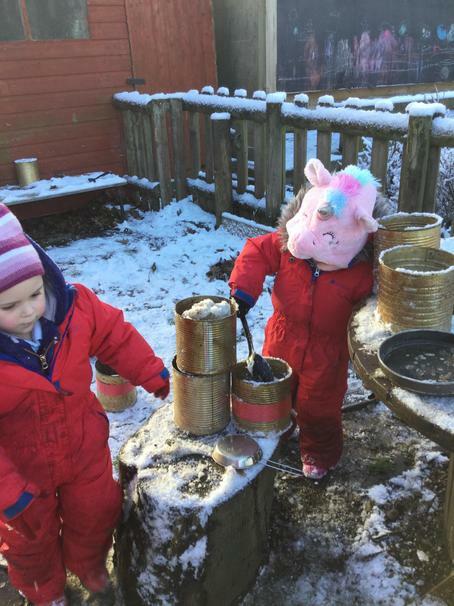 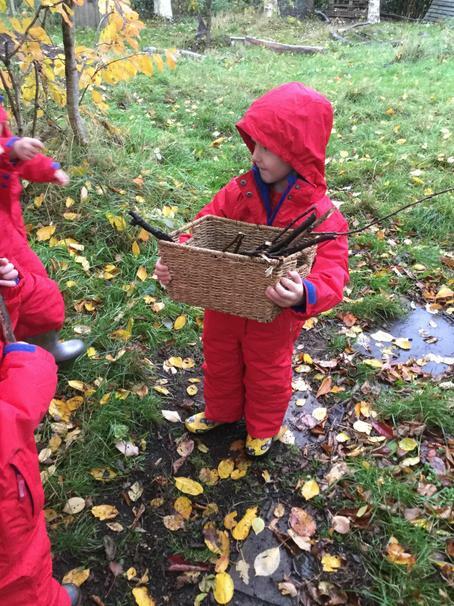 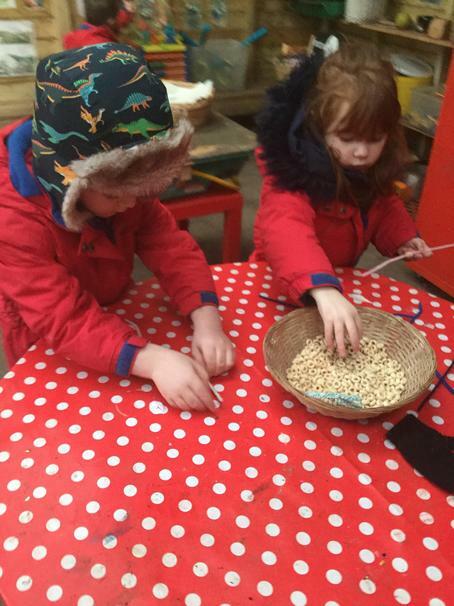 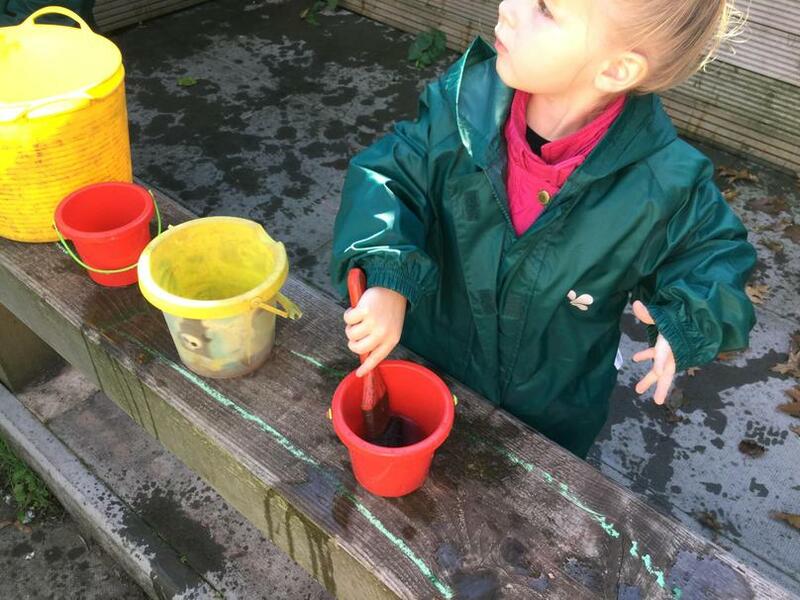 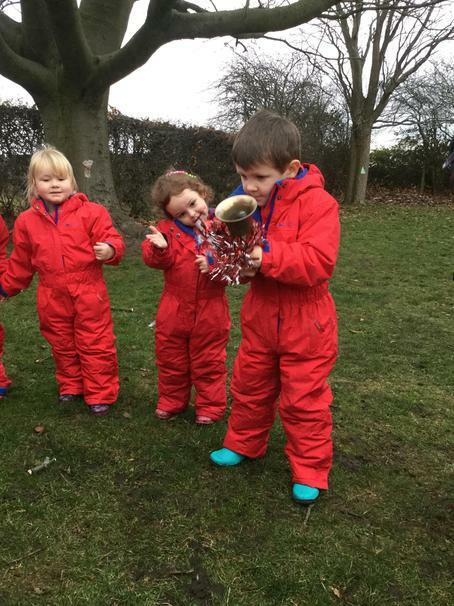 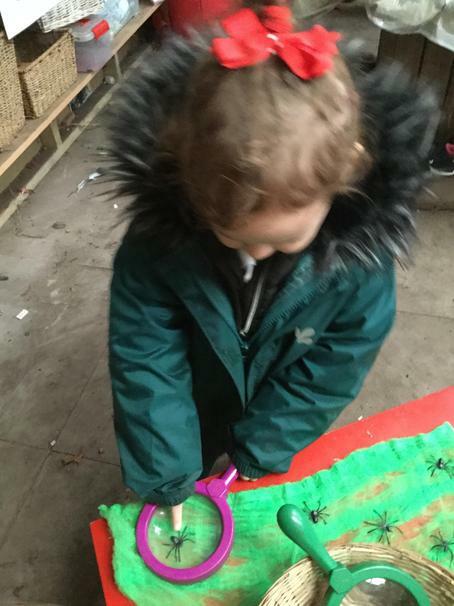 We had a fun time at Woodland Wednesday making musical instruments and we even formed a band ,look out for the video .Our winter snow suits kept us warm as we made lots of lovely food in the mud kitchen. 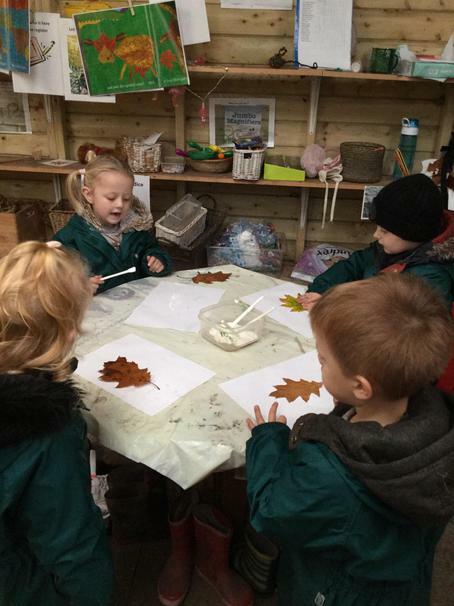 We had lots of fun today creating our life size leaf friends. 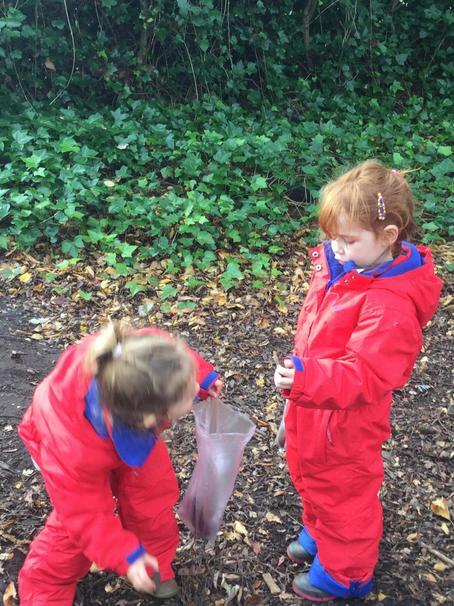 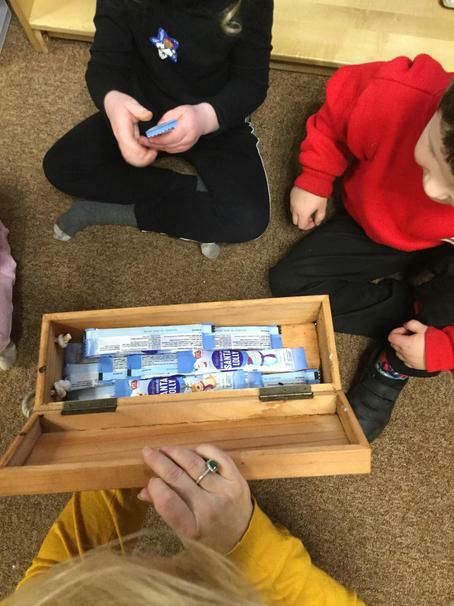 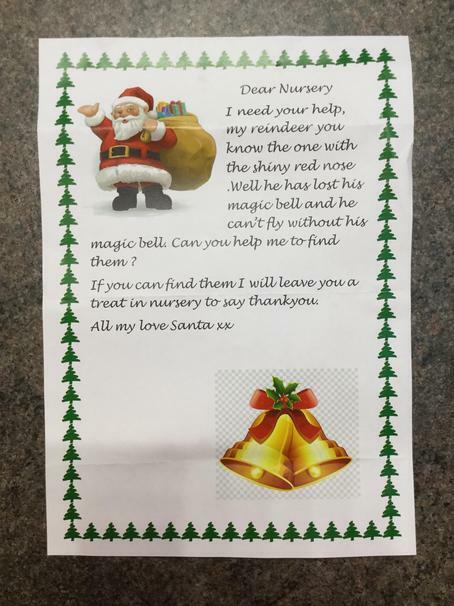 We also went on a treasure hunt and took a bag of treasure home !! 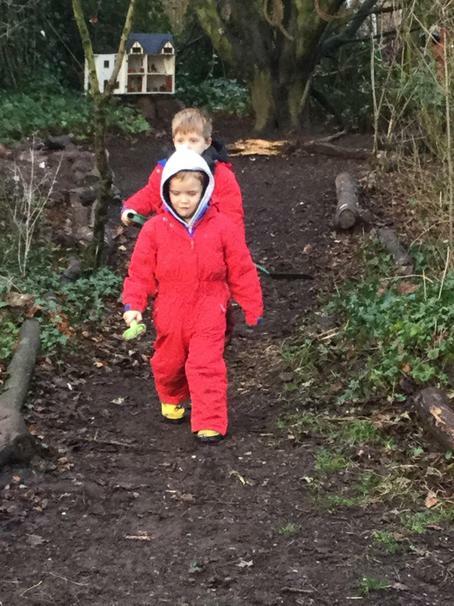 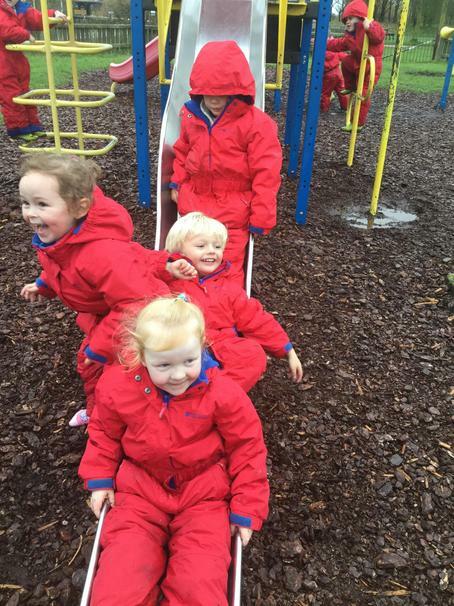 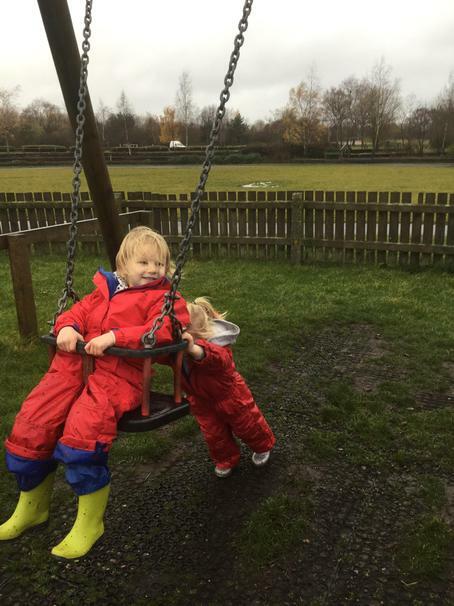 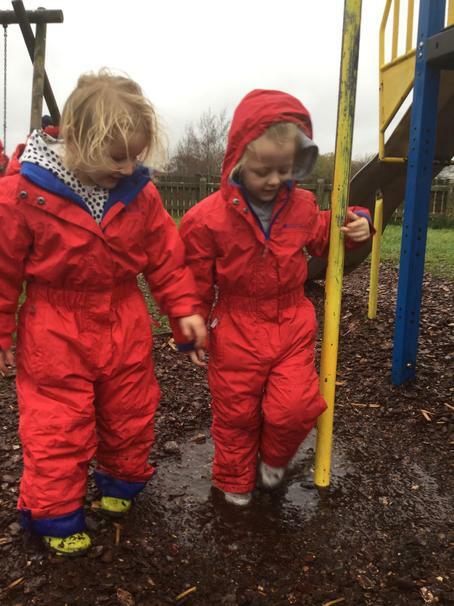 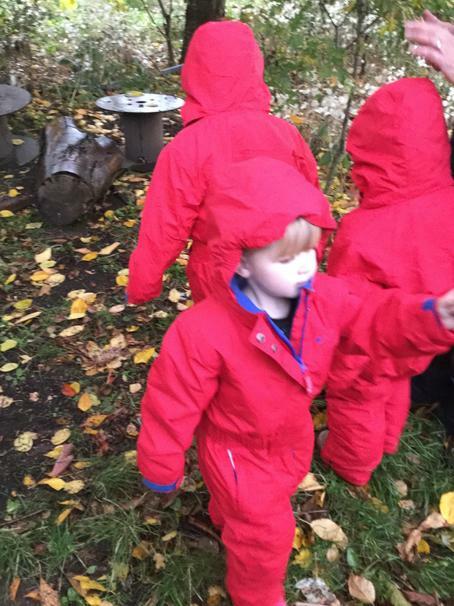 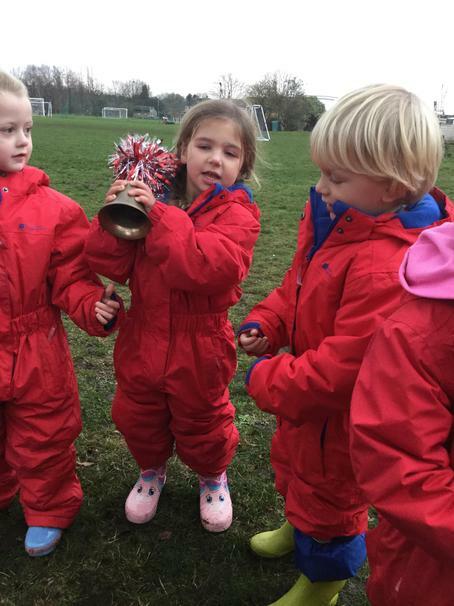 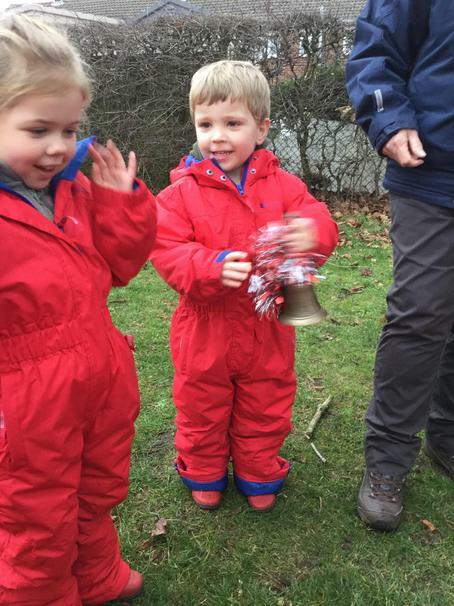 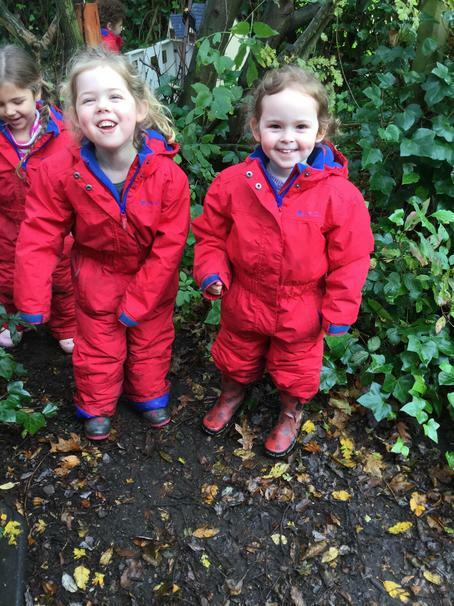 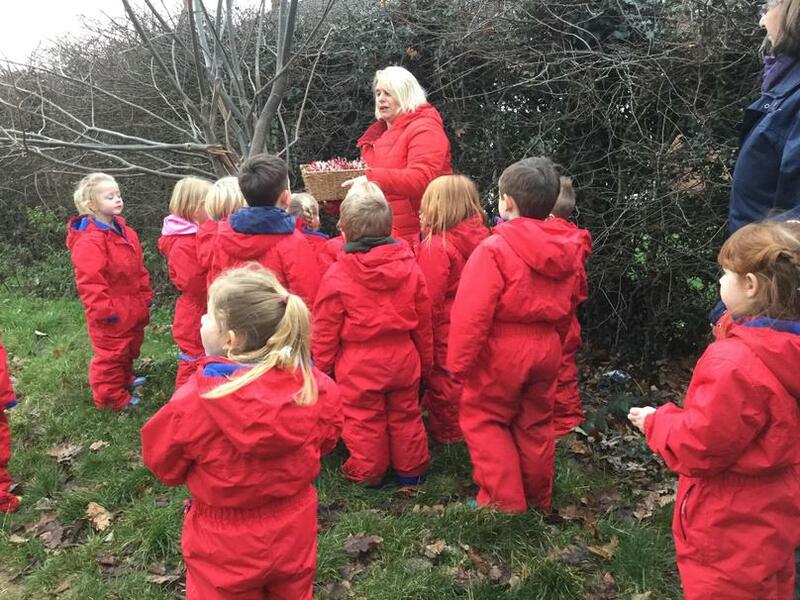 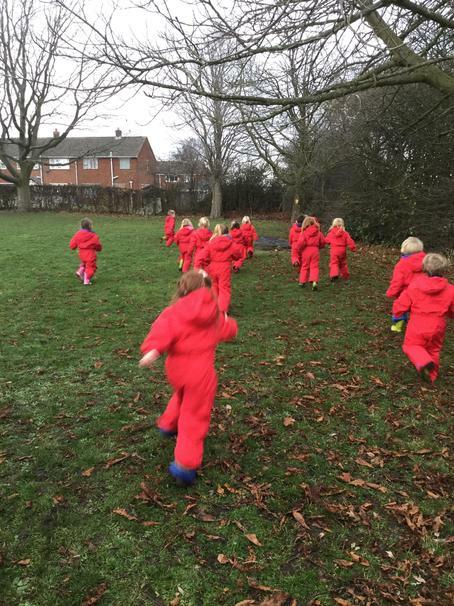 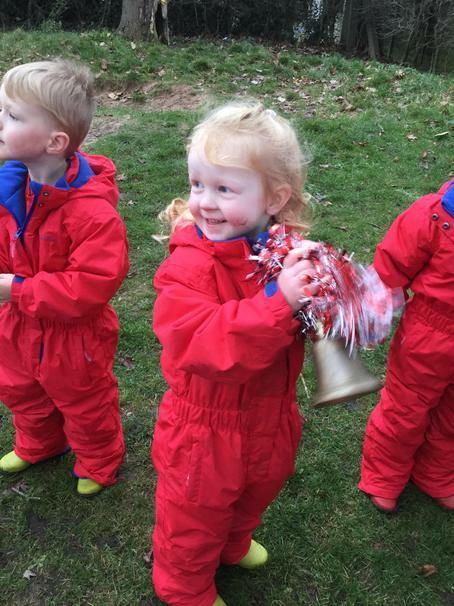 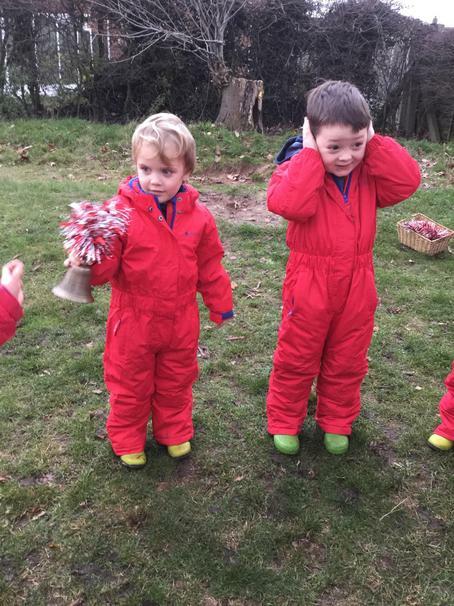 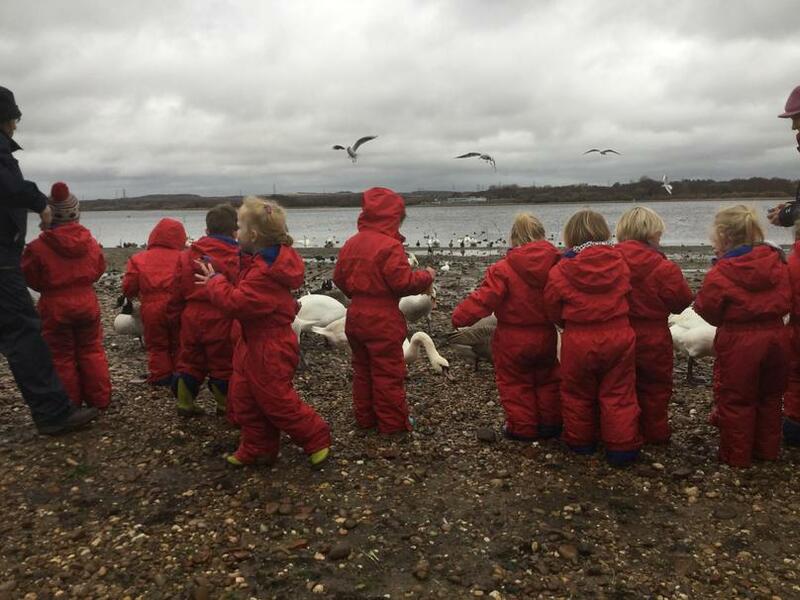 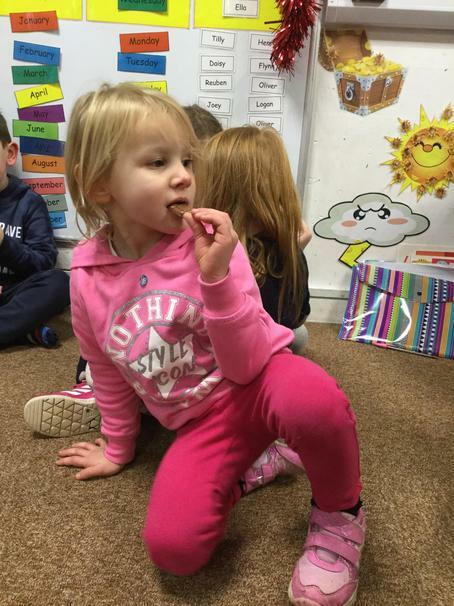 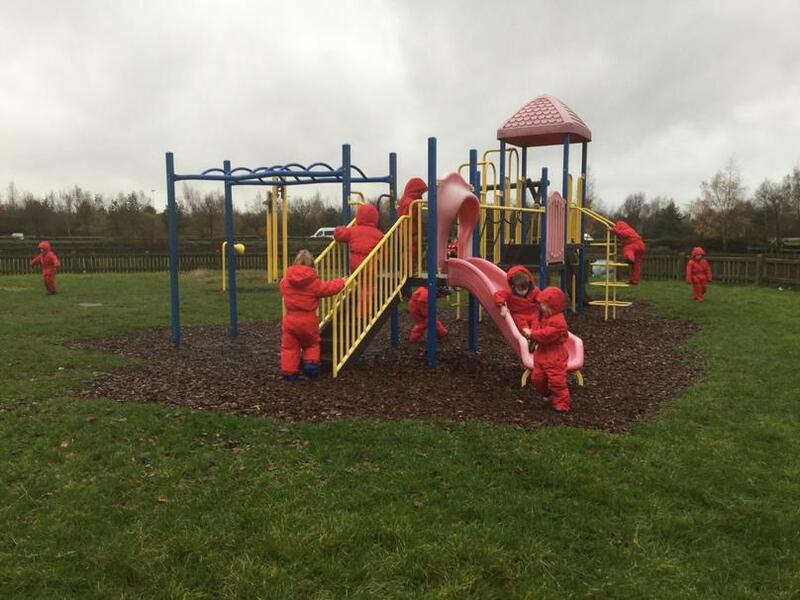 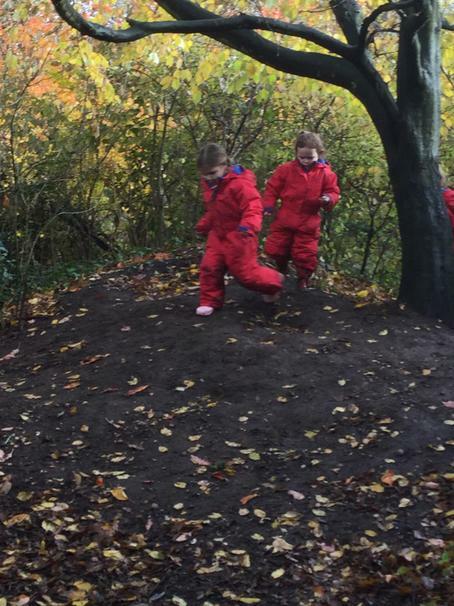 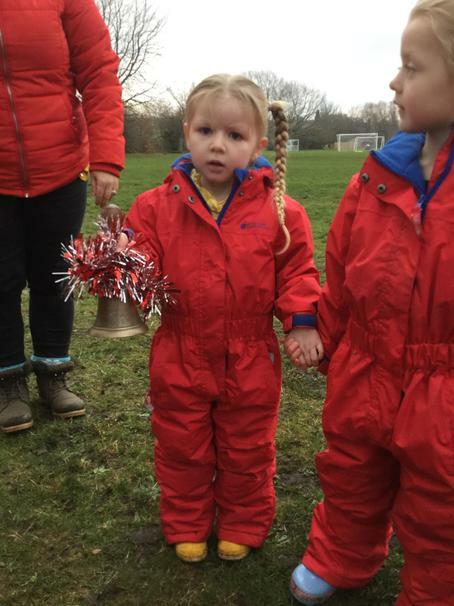 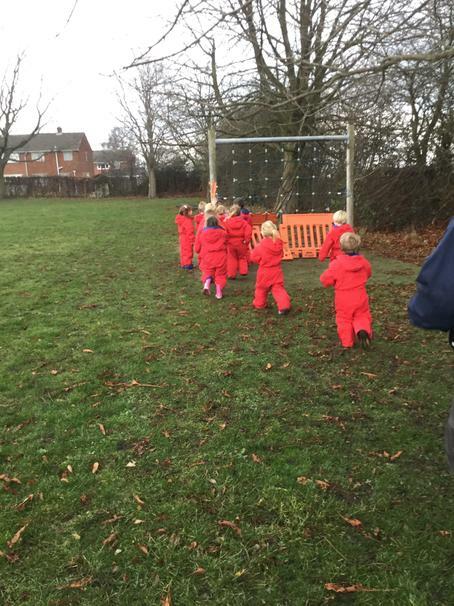 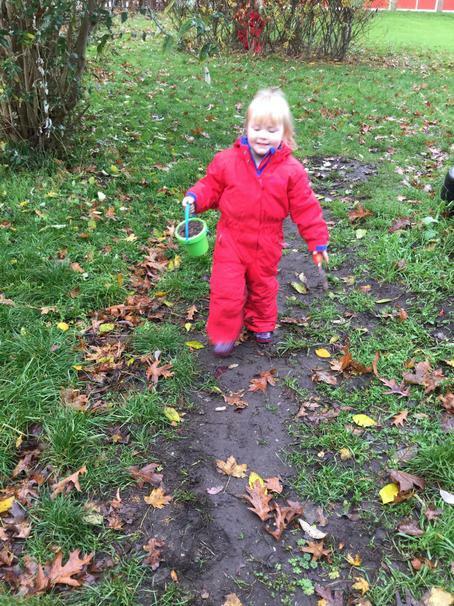 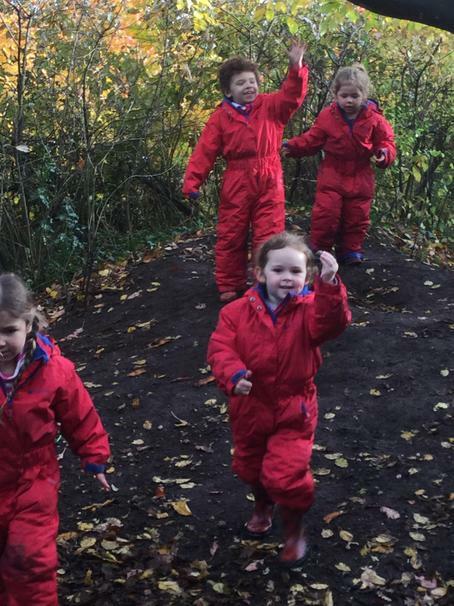 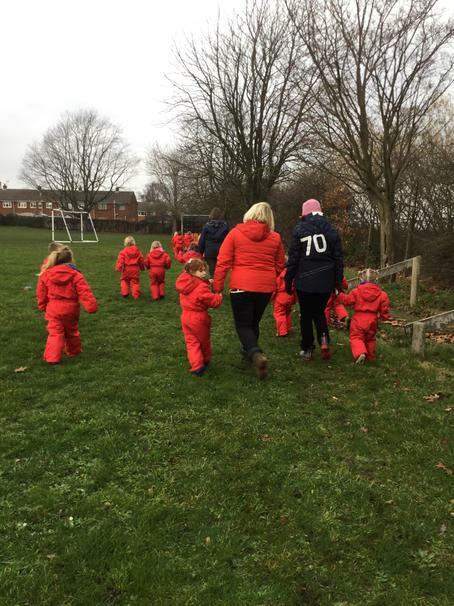 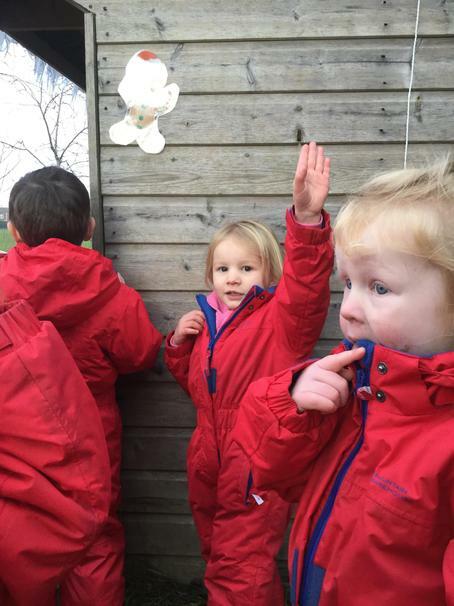 We had a fun bonfire week session wearing our brand new snow suits which I’m sure you agree look fabulous. 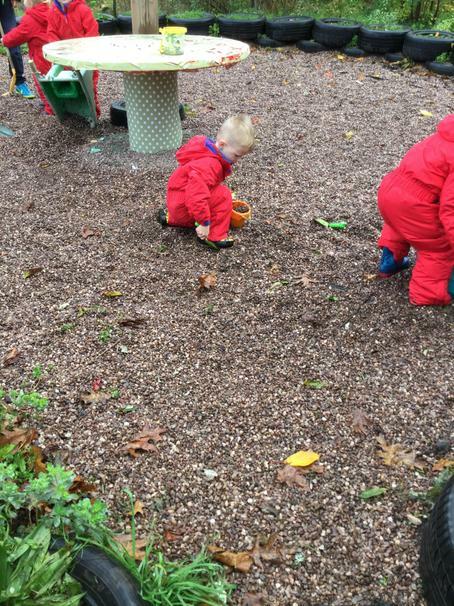 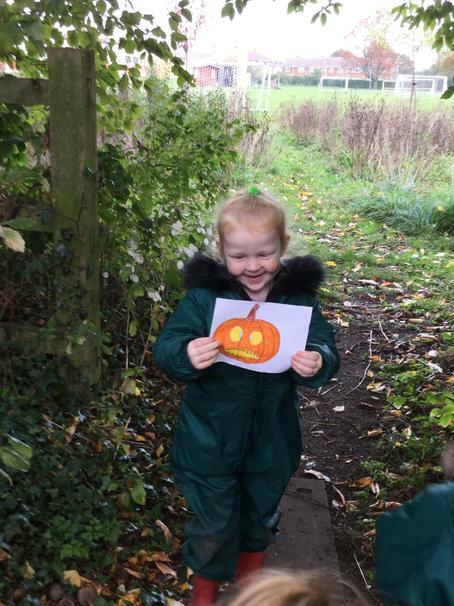 We worked together as a team on our pumpkin hunt! 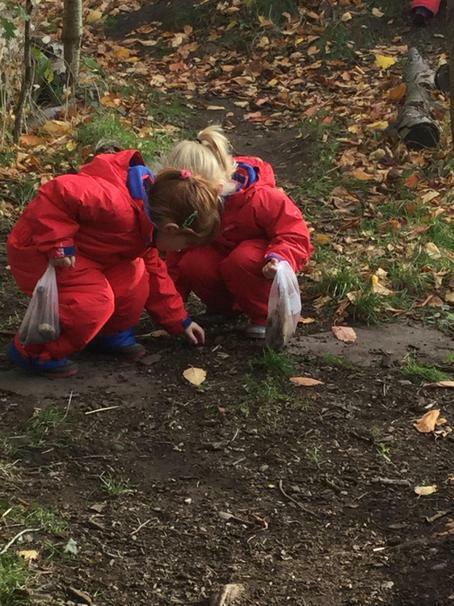 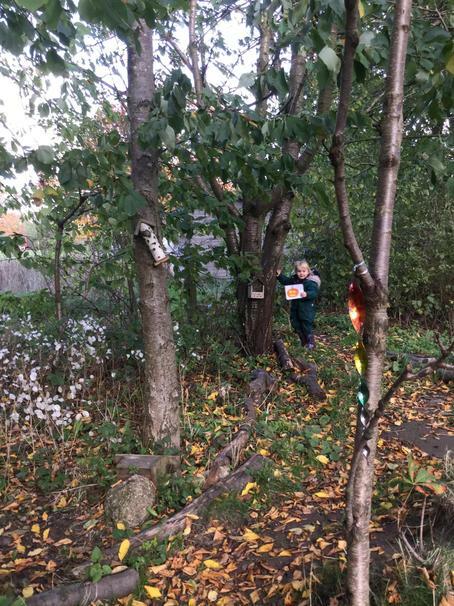 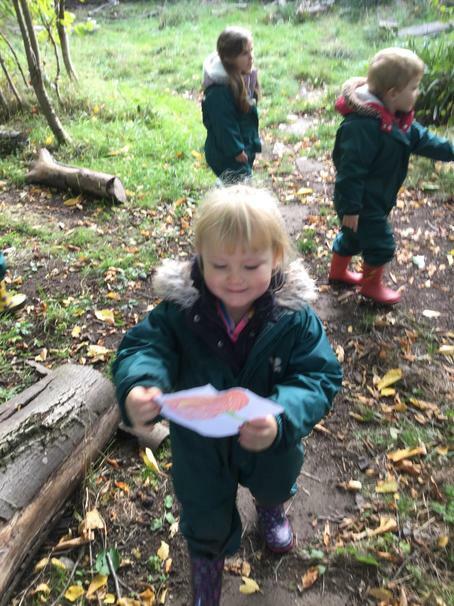 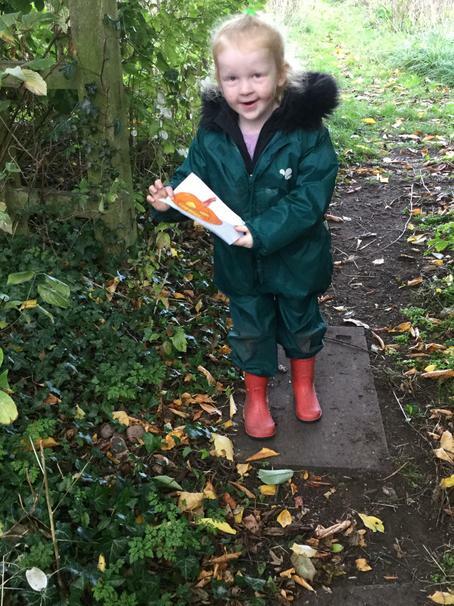 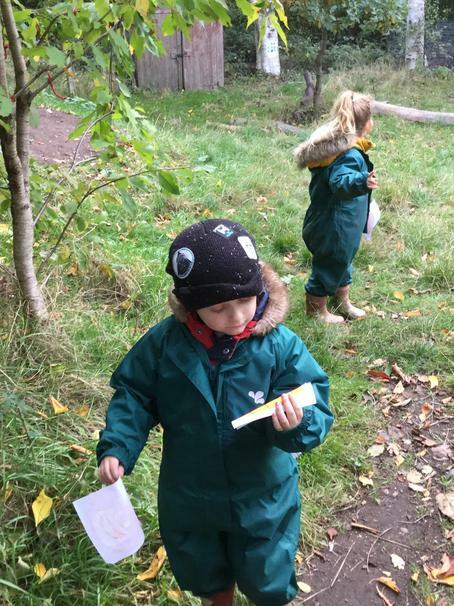 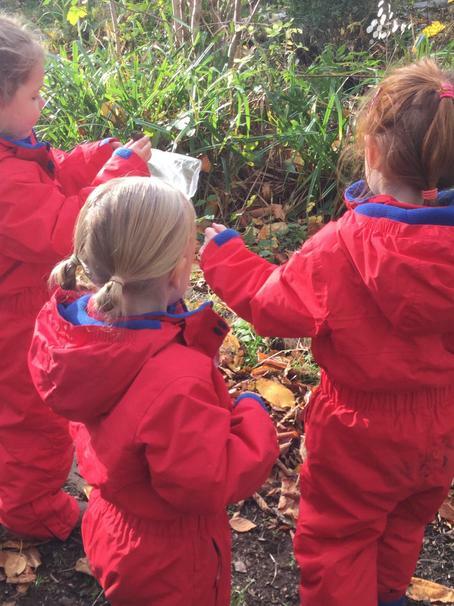 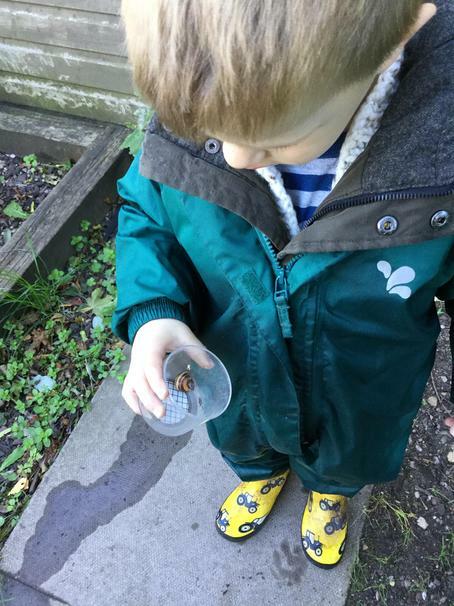 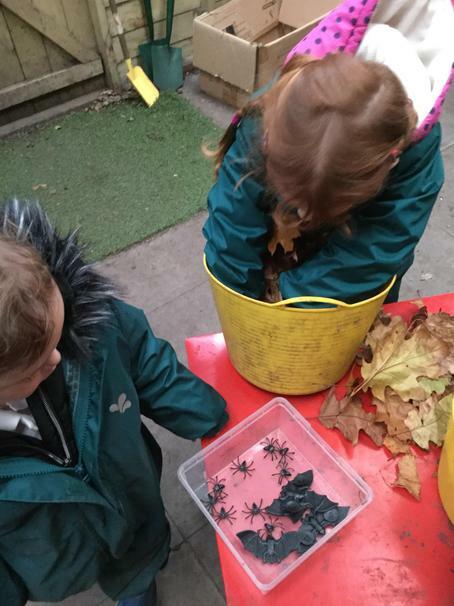 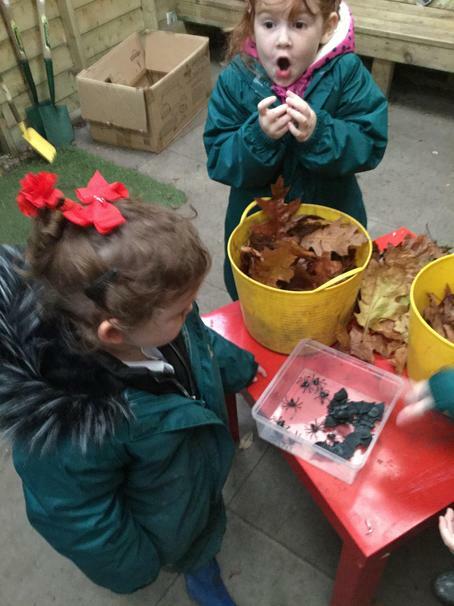 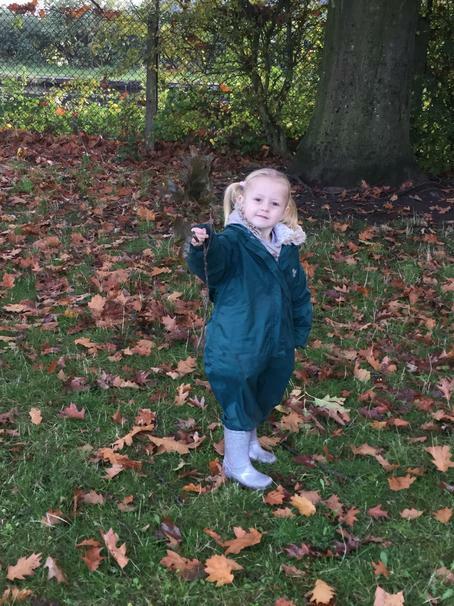 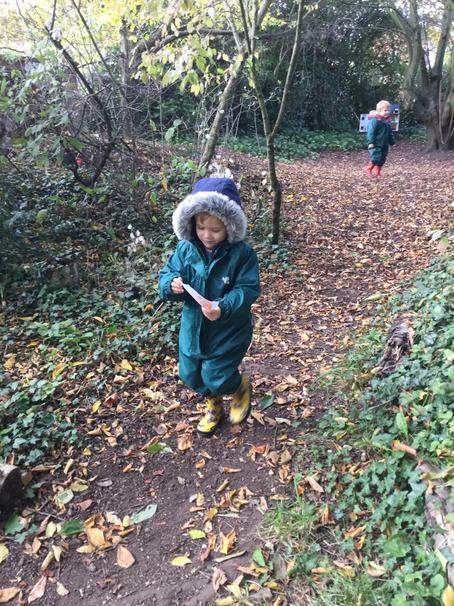 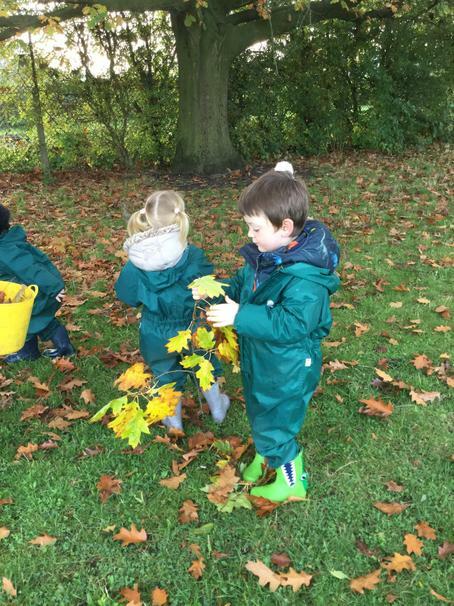 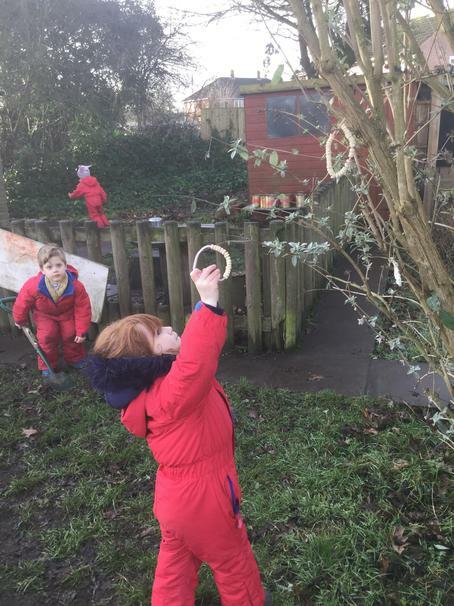 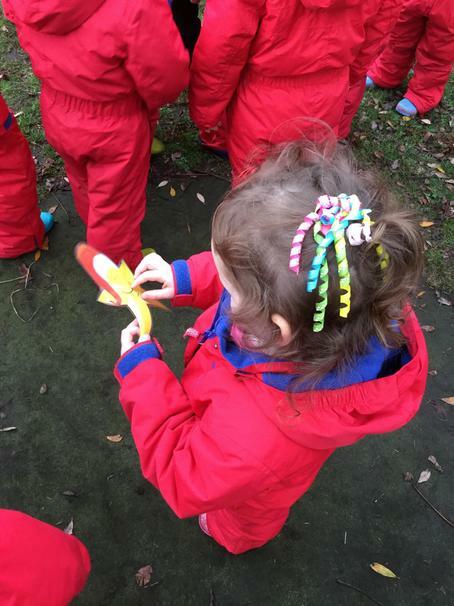 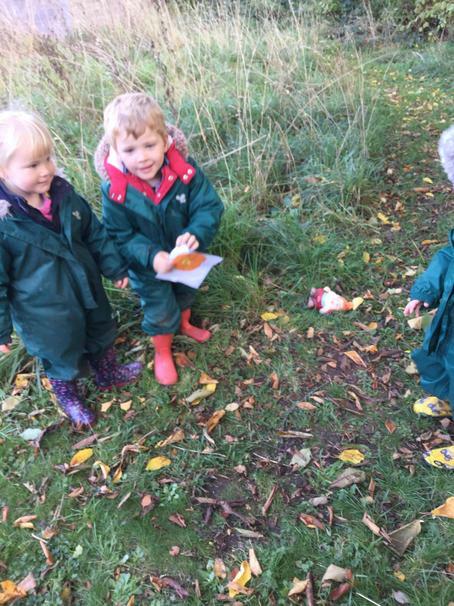 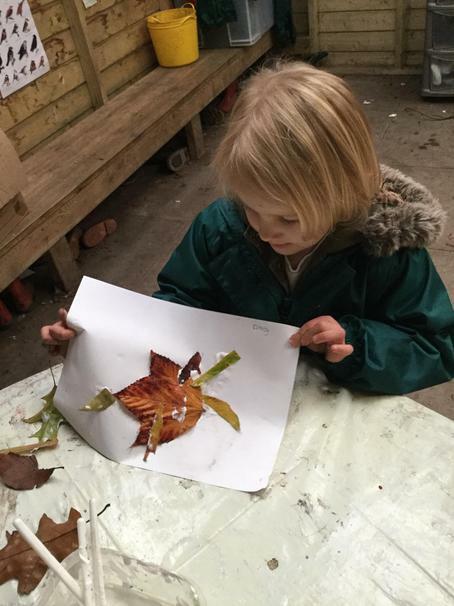 We have welcomed everyone to Woodland Wednesday now.Today we created our own leaf animals and enjoyed the late autumn sunshine looking for bugs. 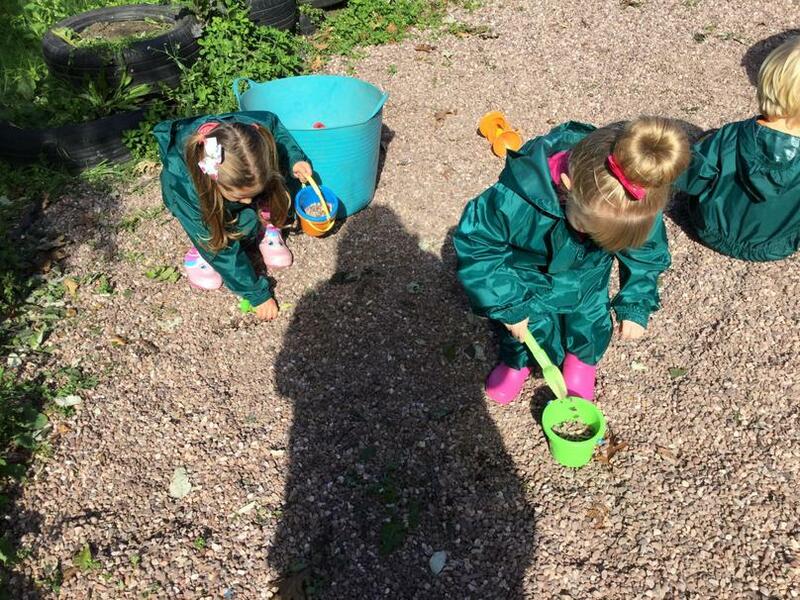 We enjoyed digging in the stones and looking for bugs. 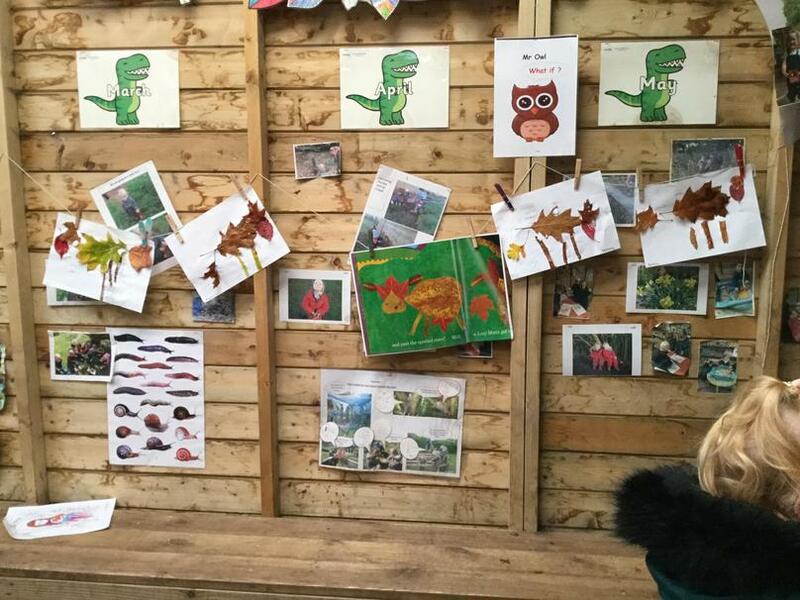 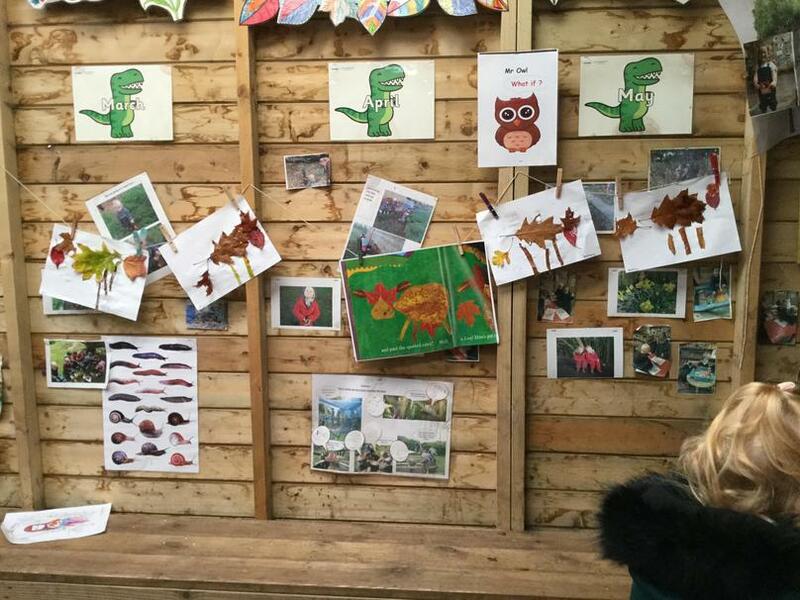 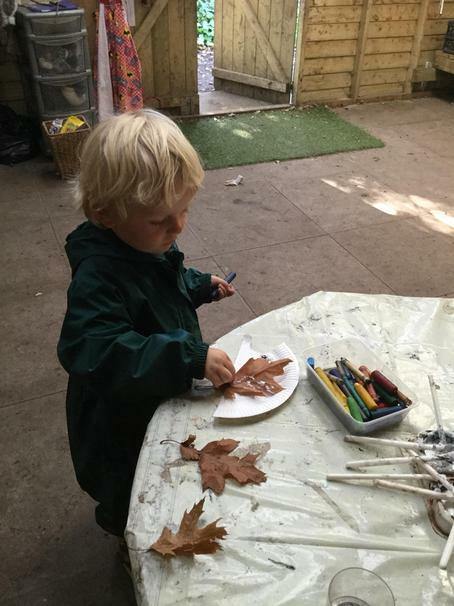 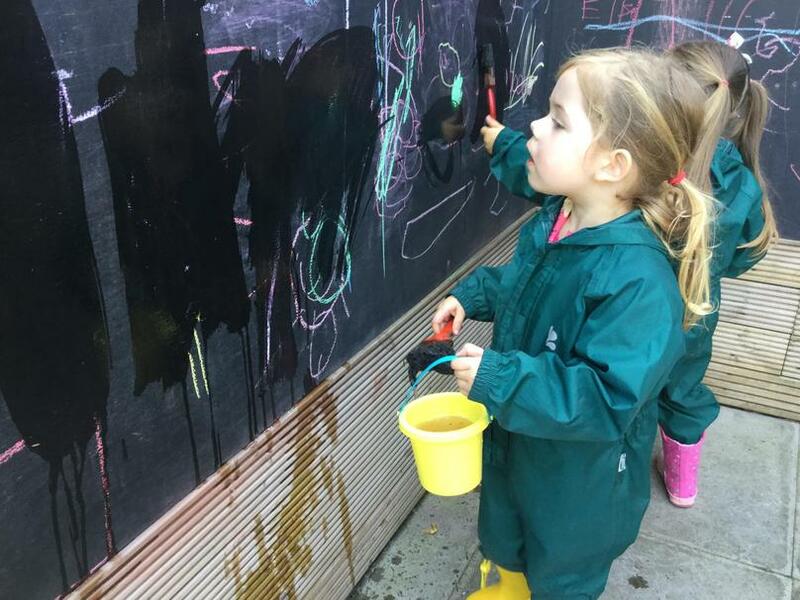 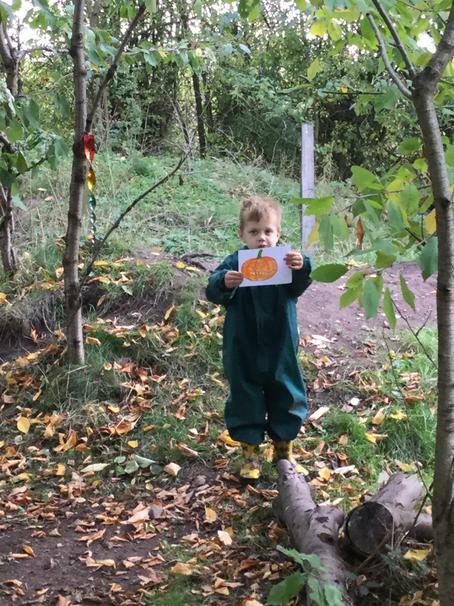 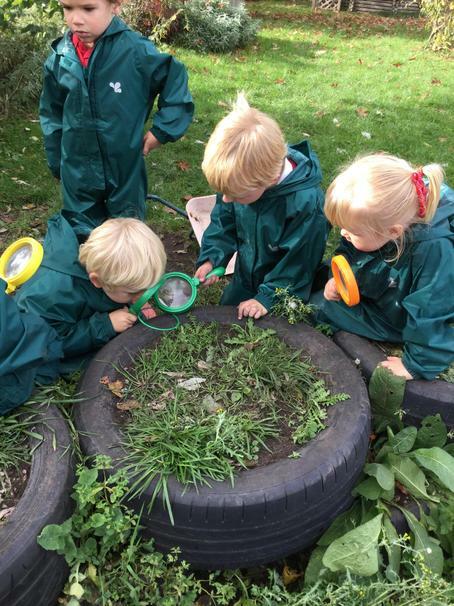 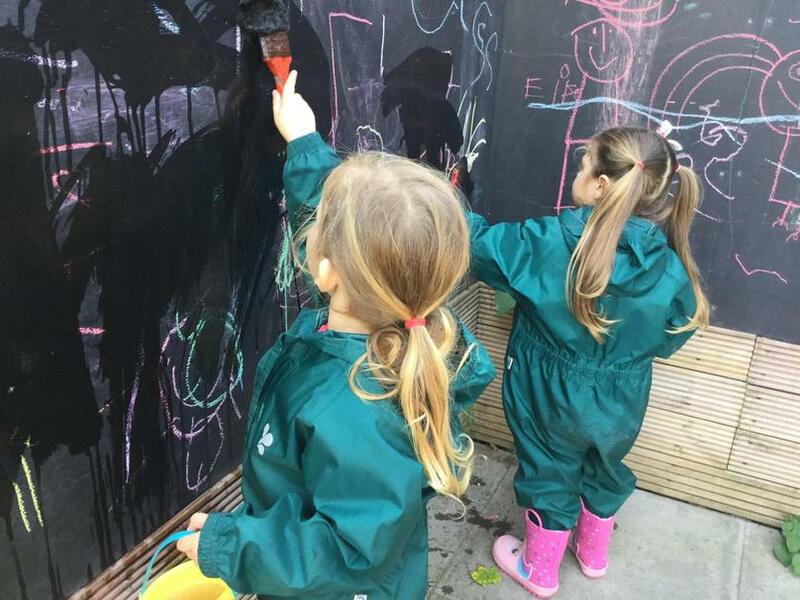 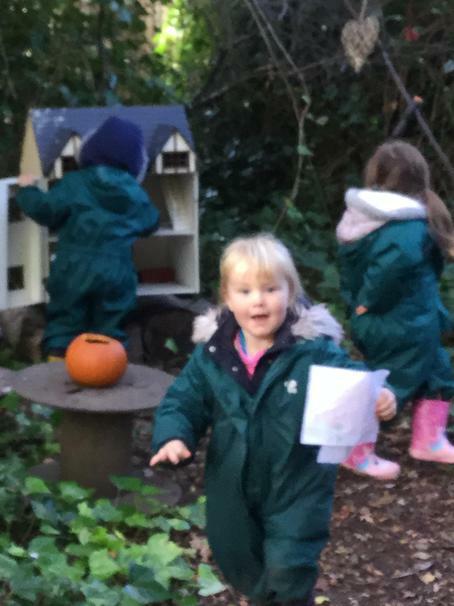 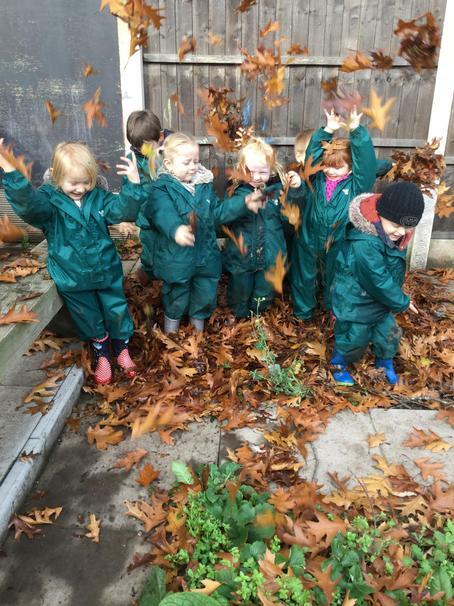 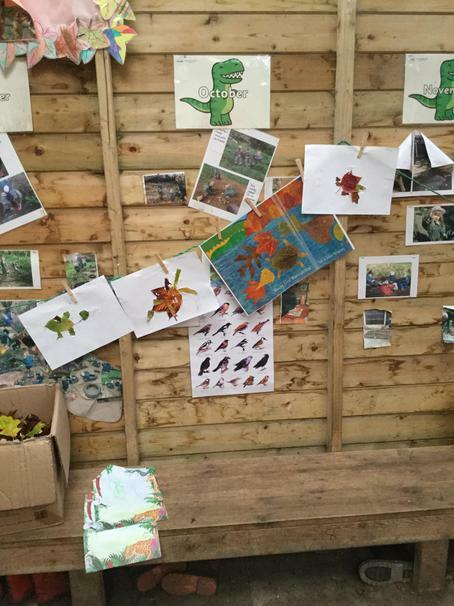 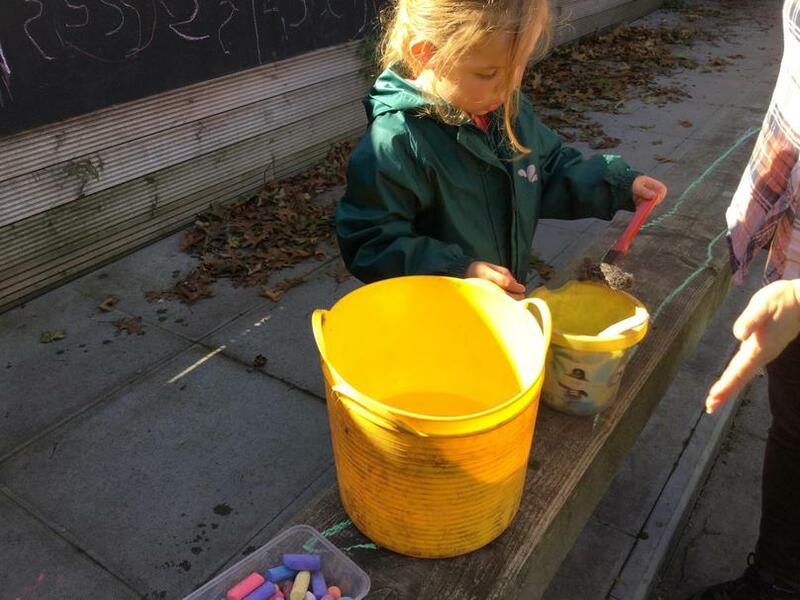 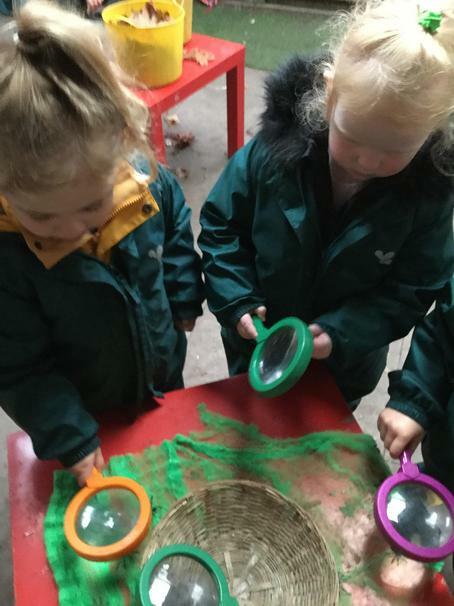 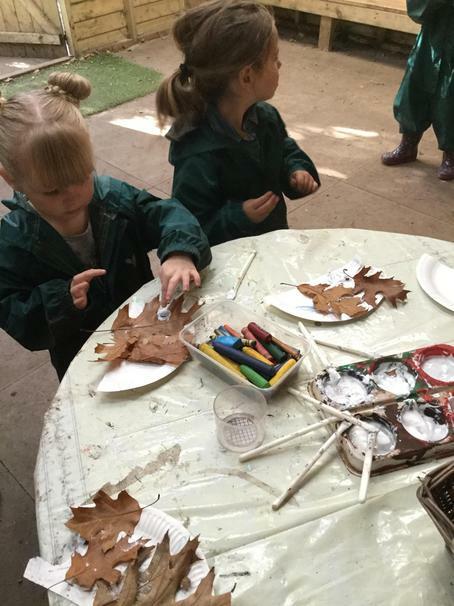 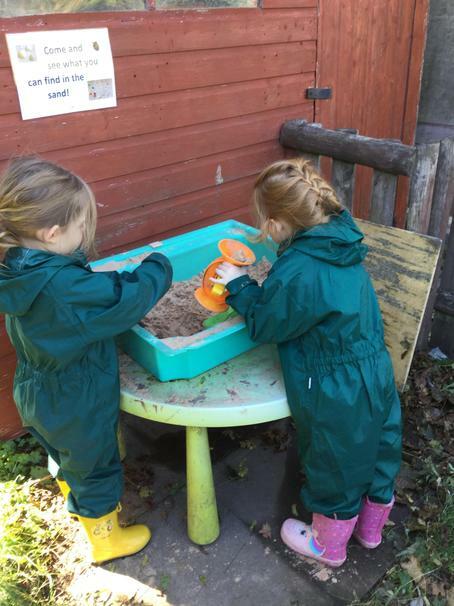 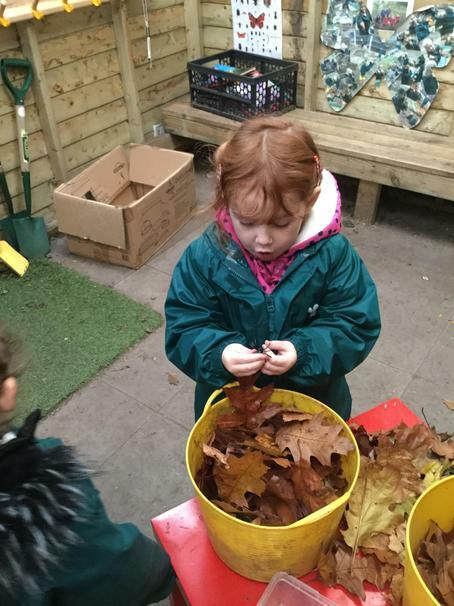 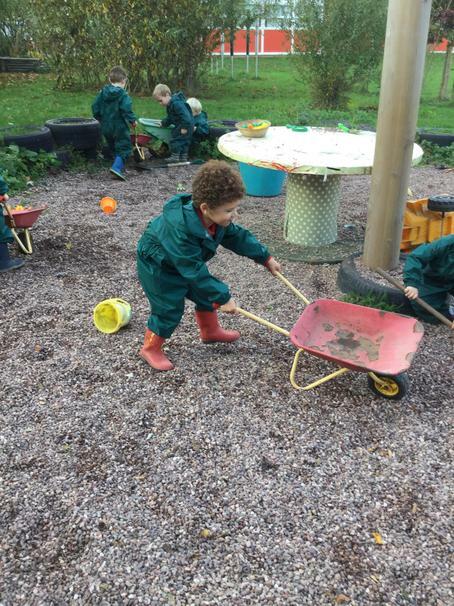 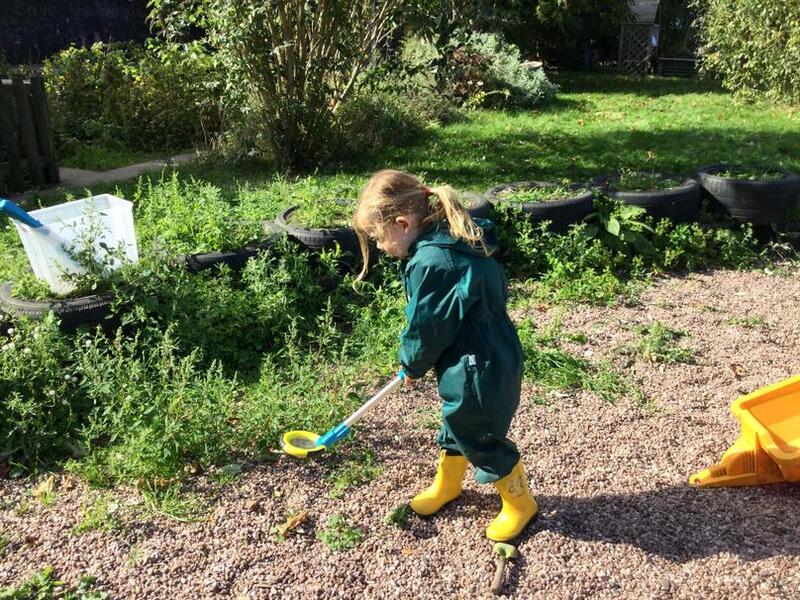 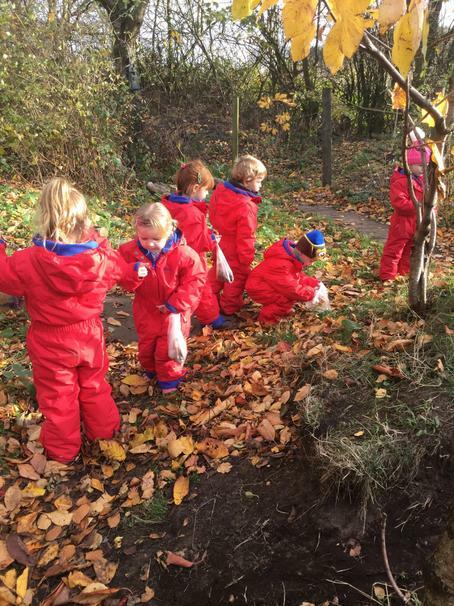 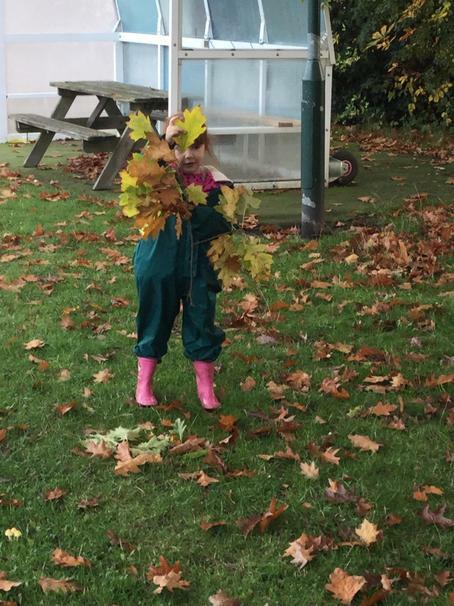 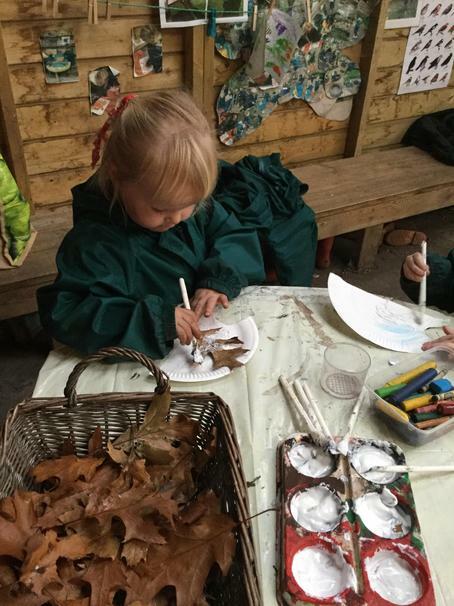 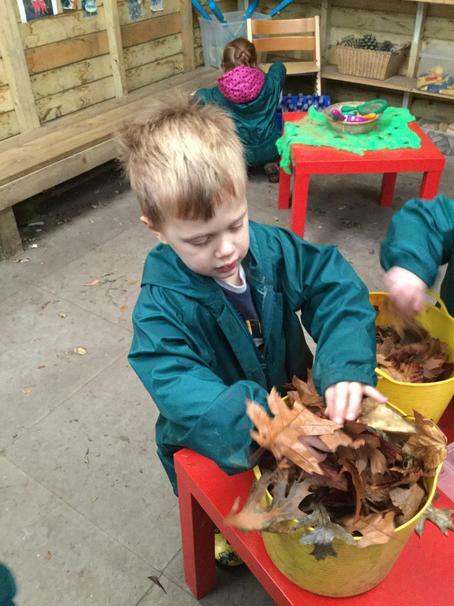 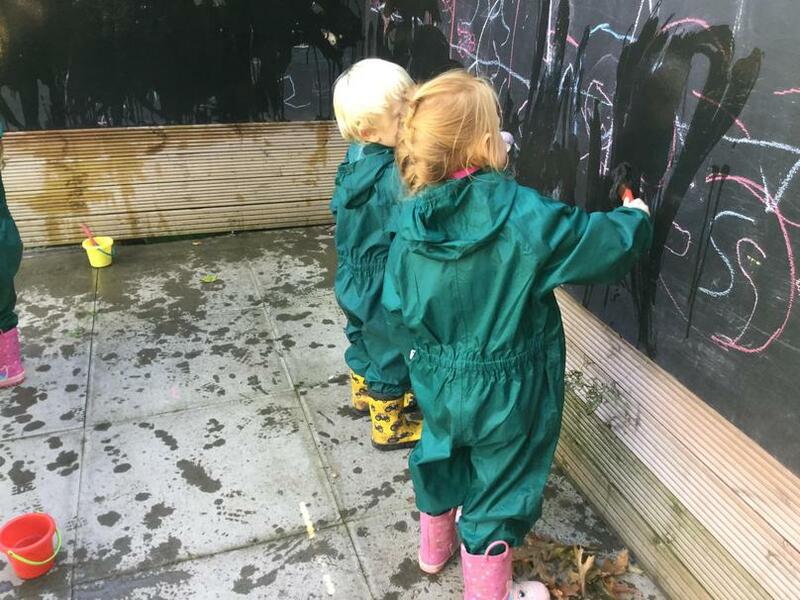 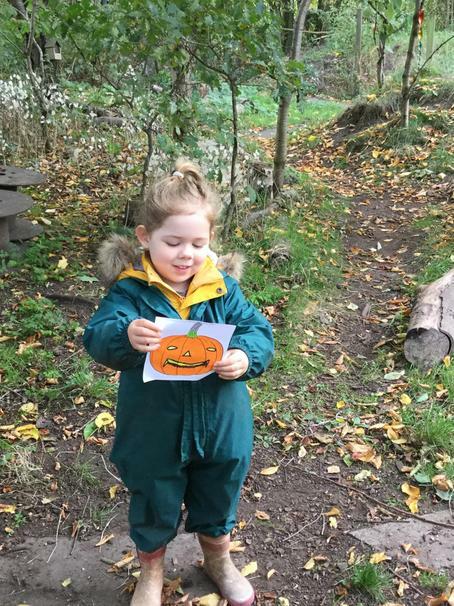 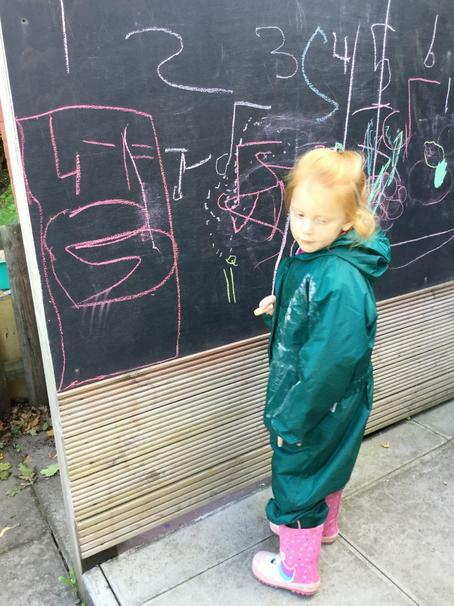 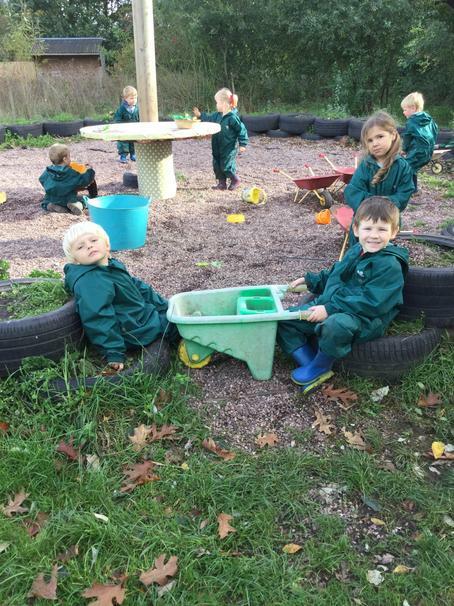 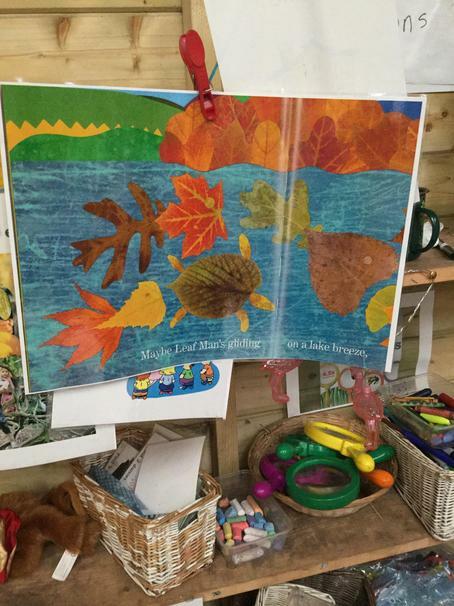 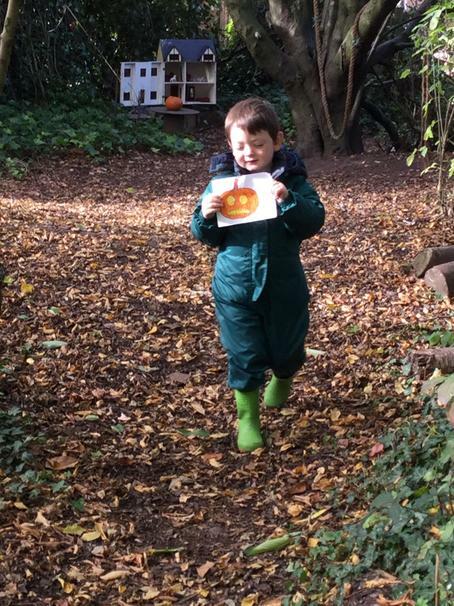 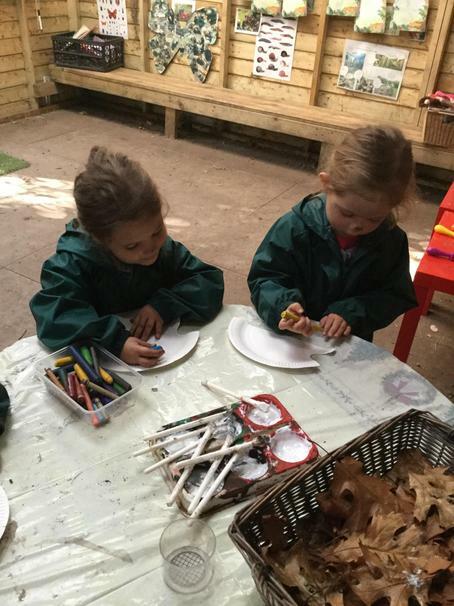 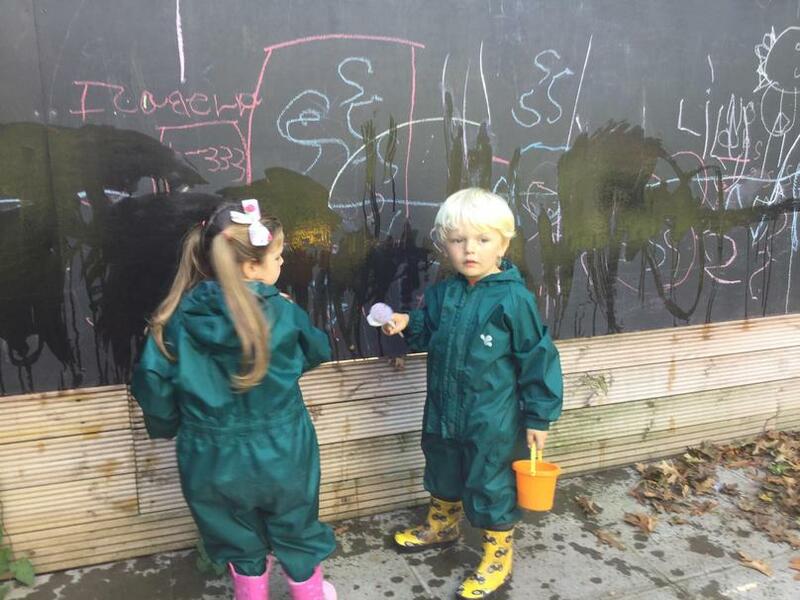 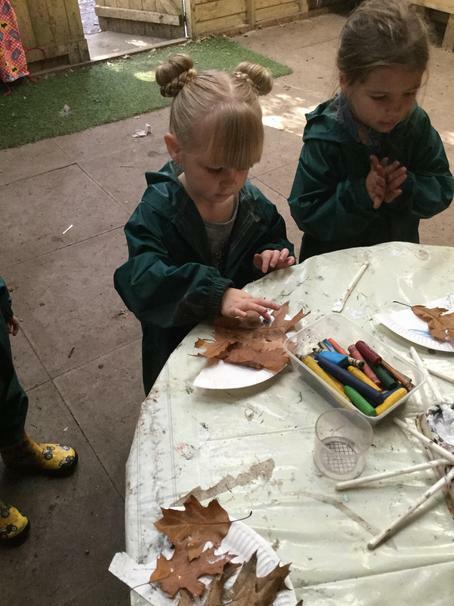 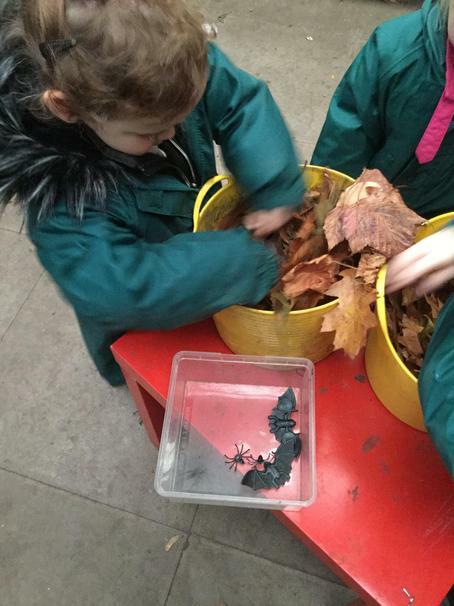 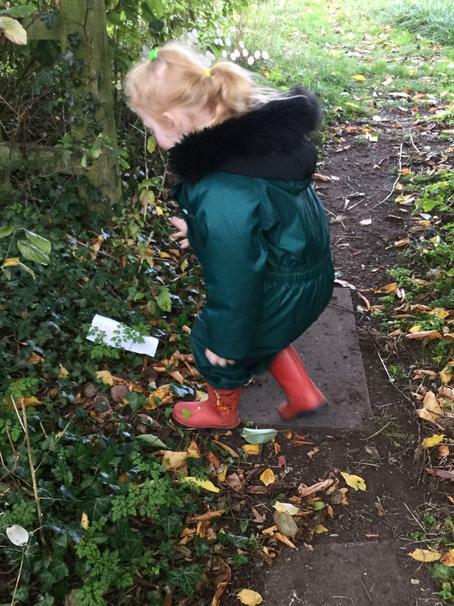 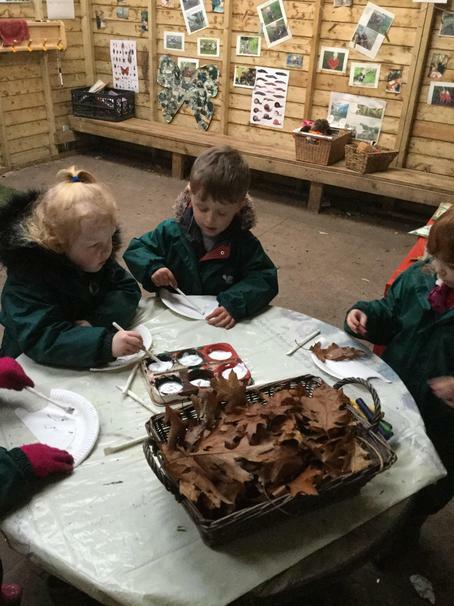 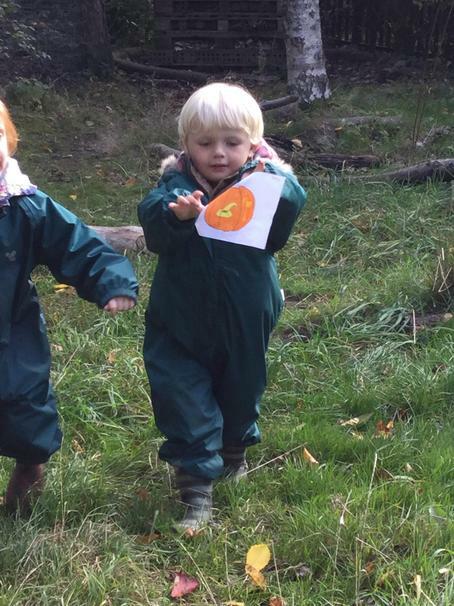 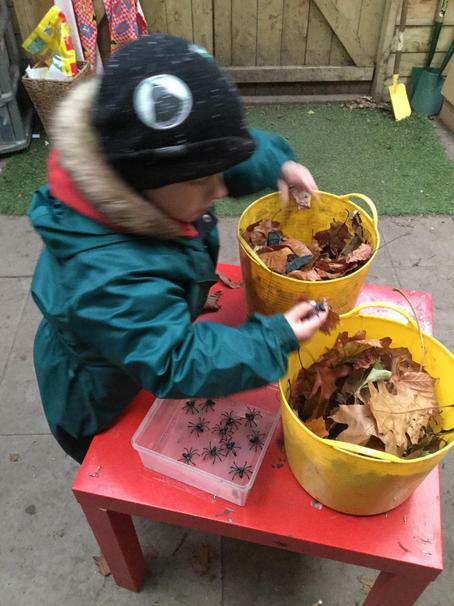 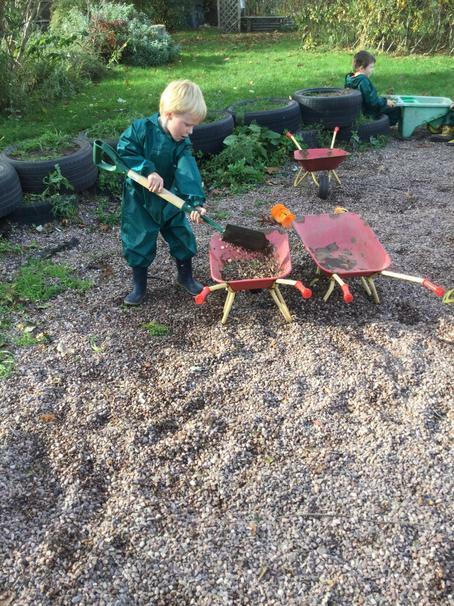 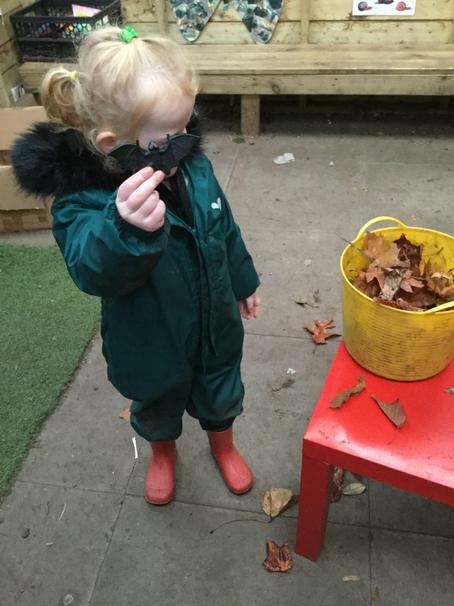 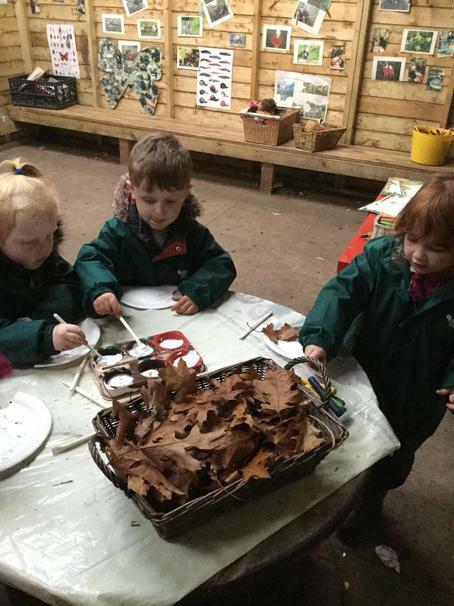 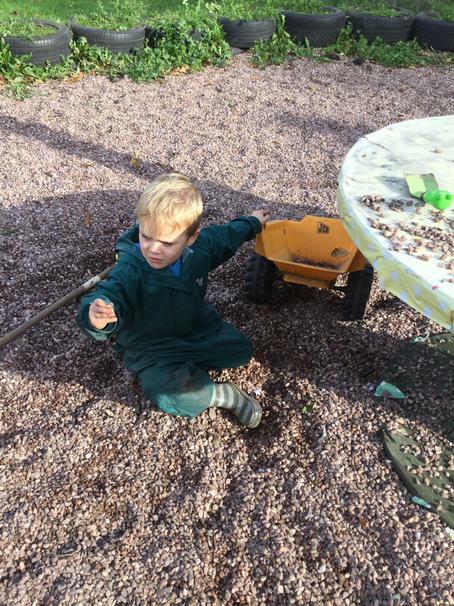 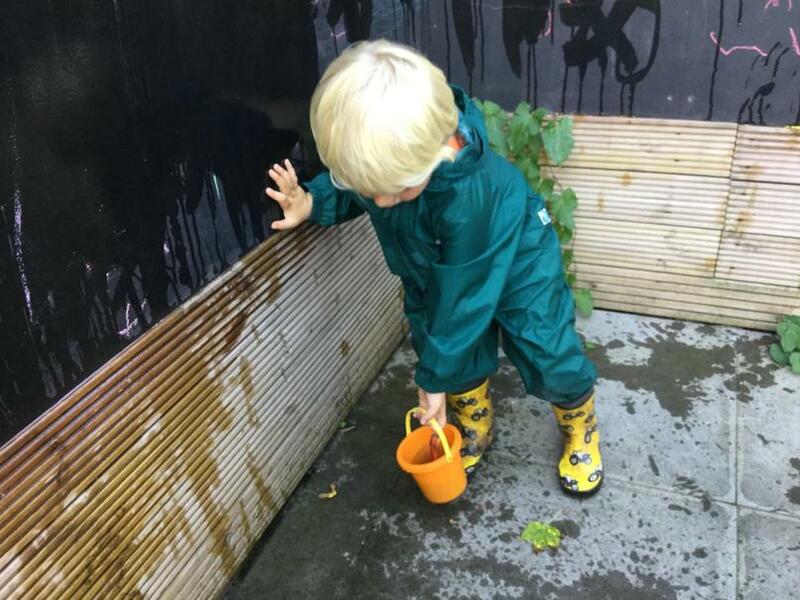 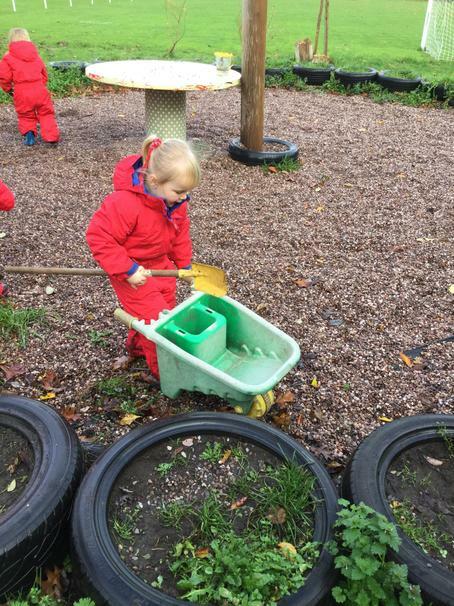 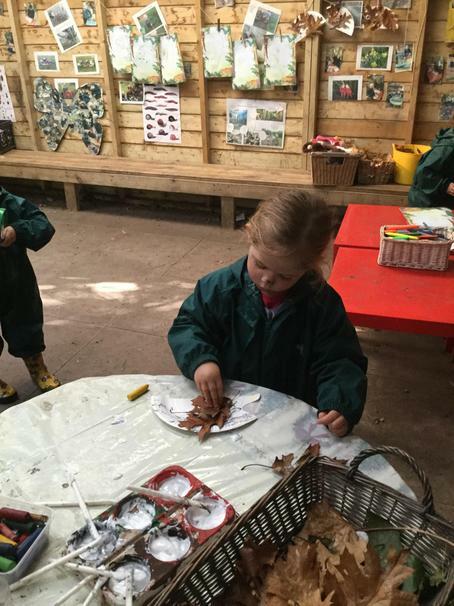 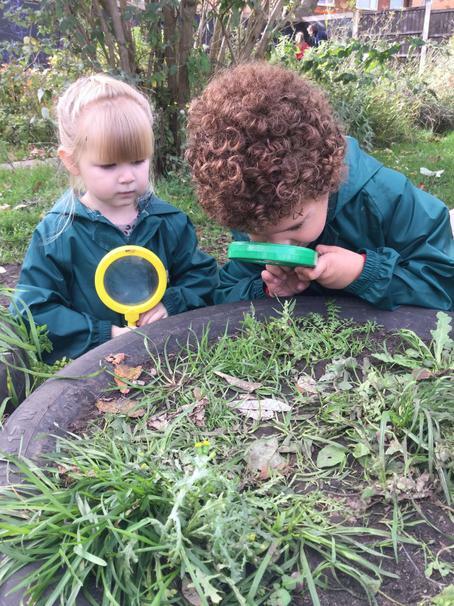 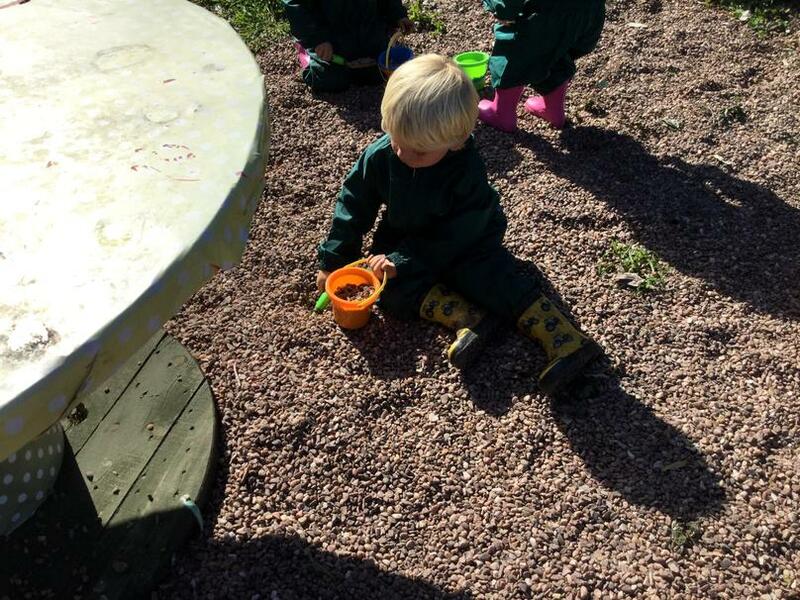 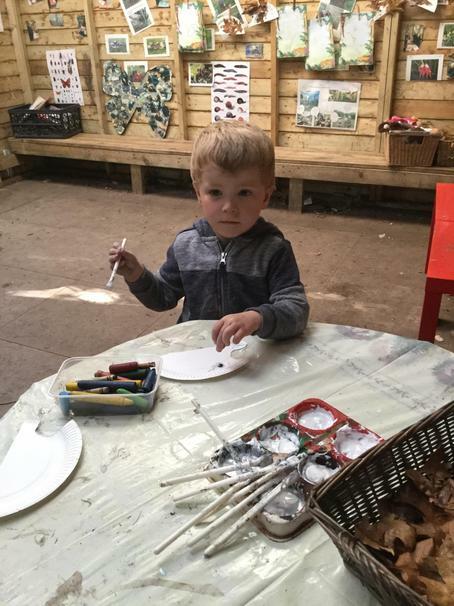 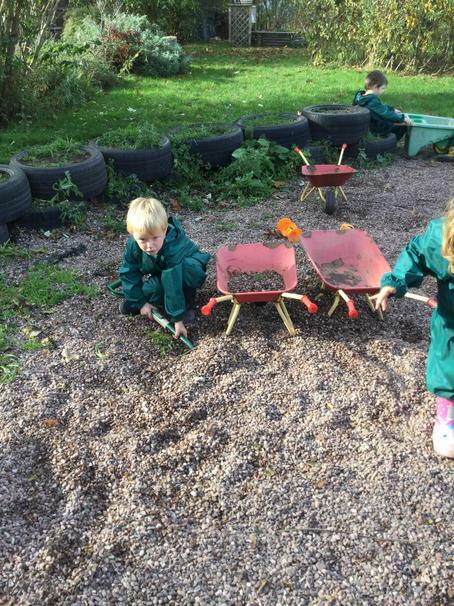 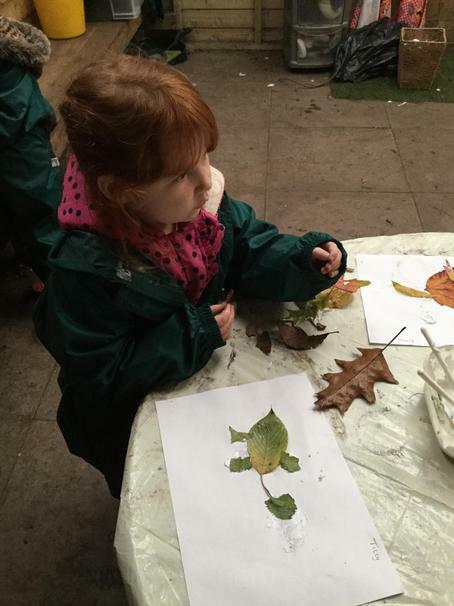 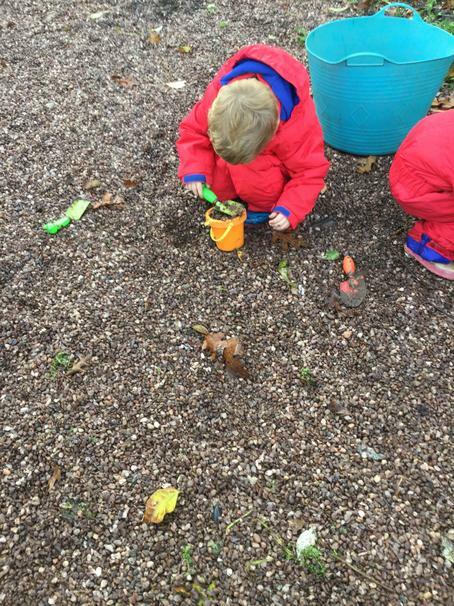 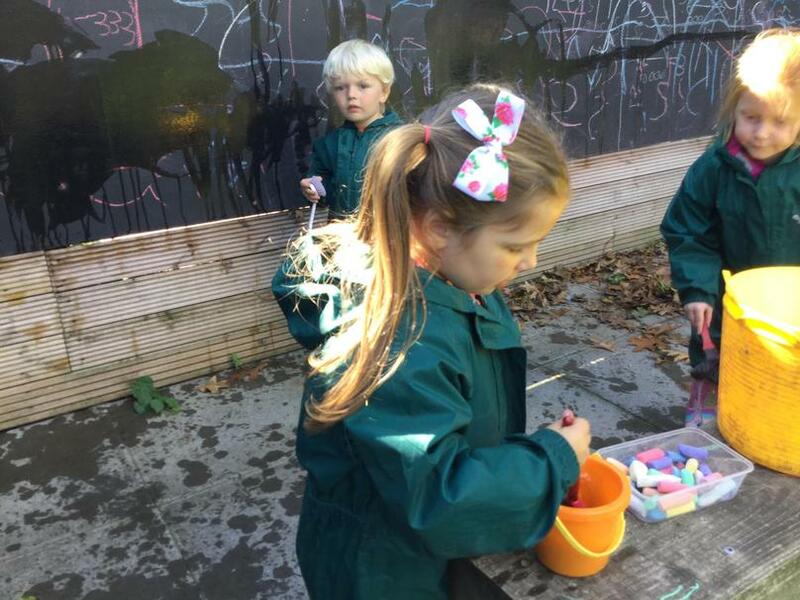 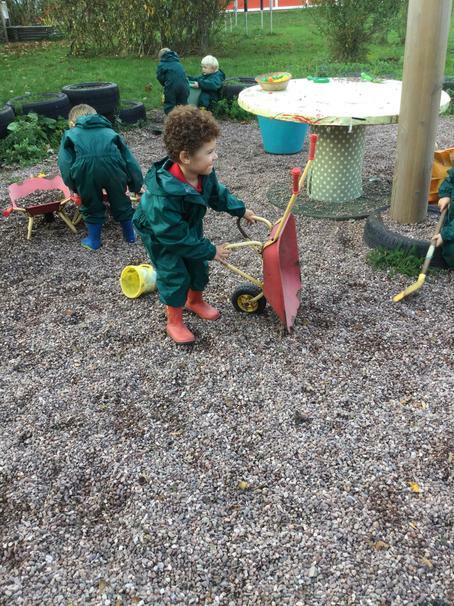 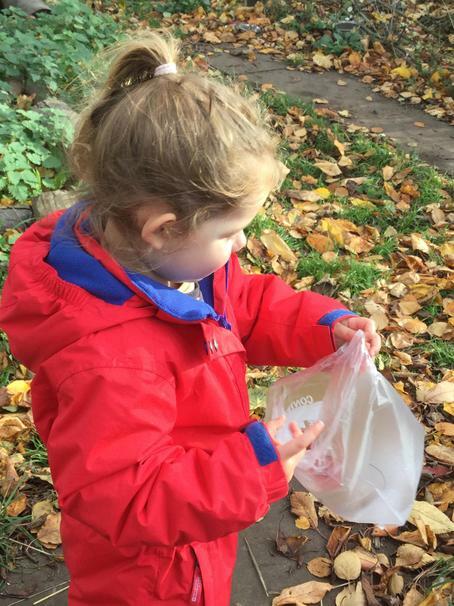 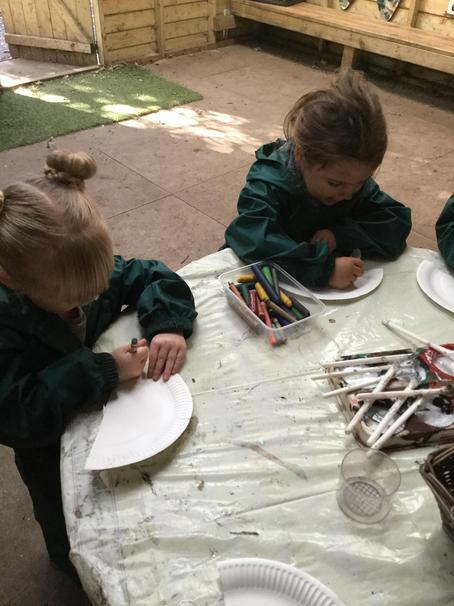 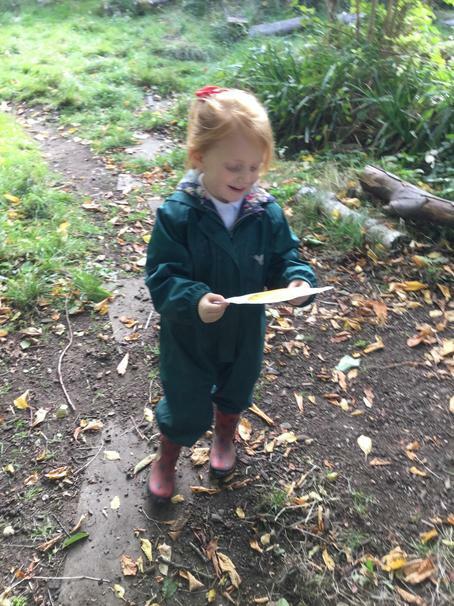 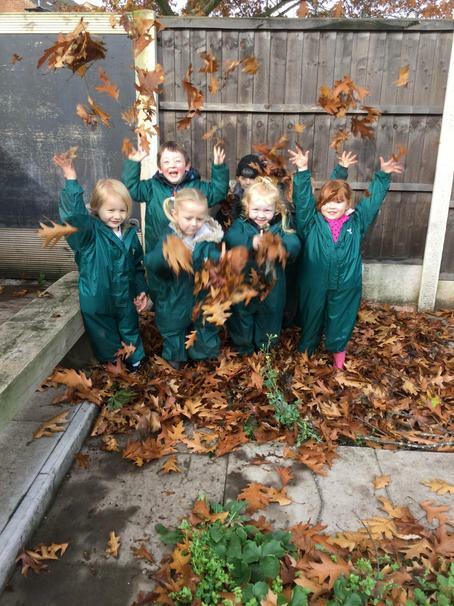 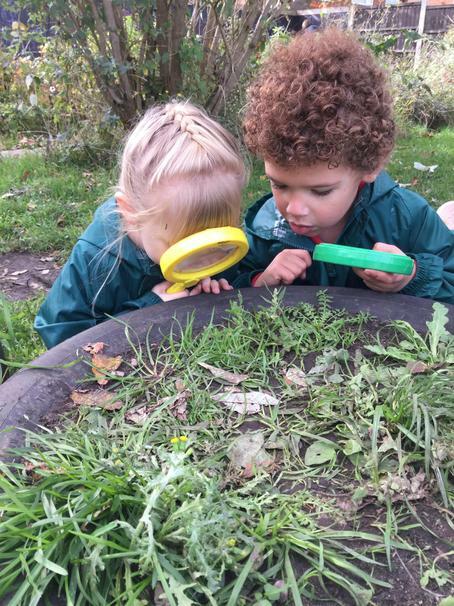 We have enjoyed the Autumn sunshine today.We have been busy creating our leafy hedgehog pictures ,cooking in the mud kitchen and lots more. 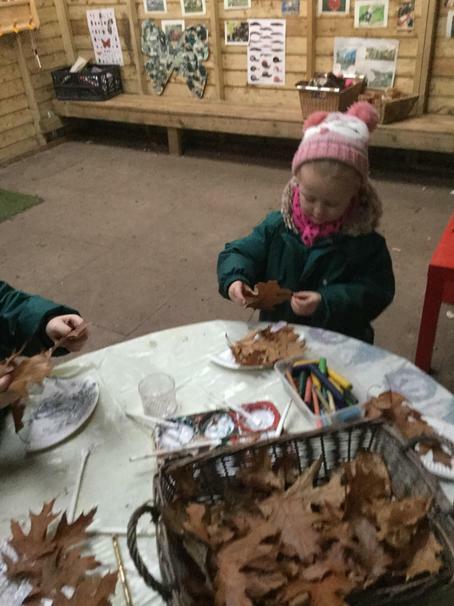 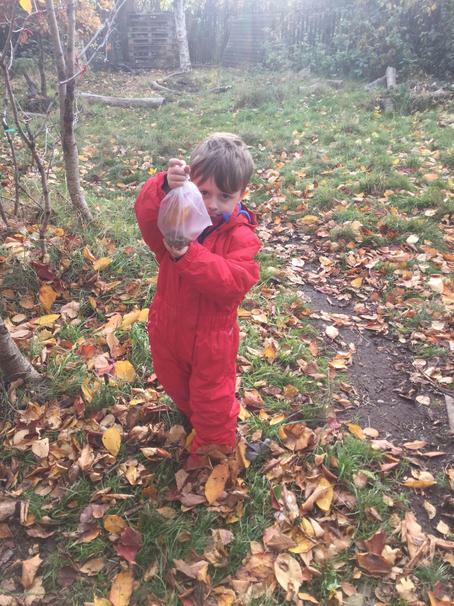 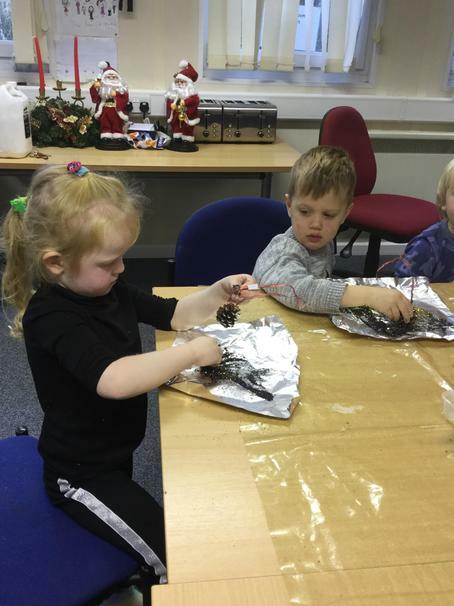 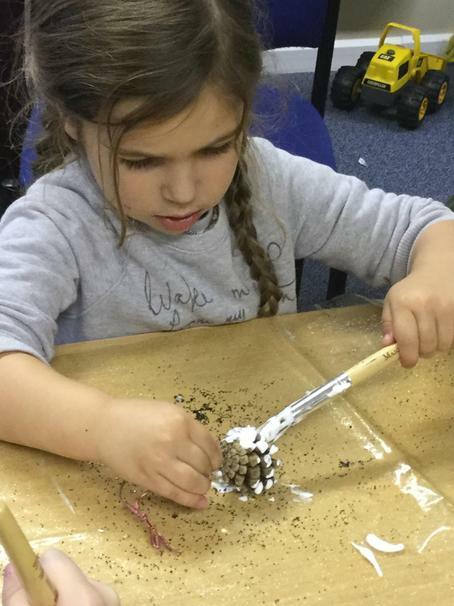 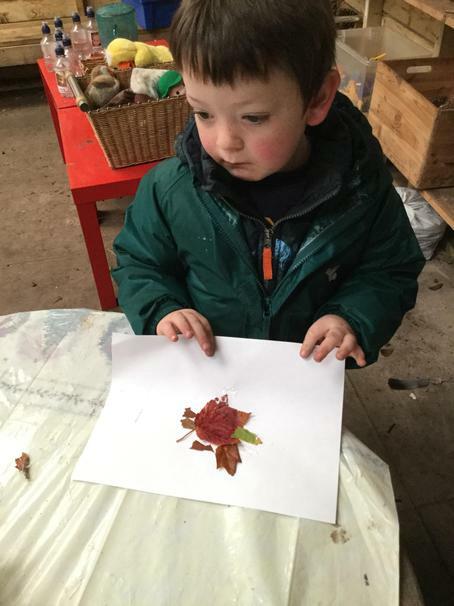 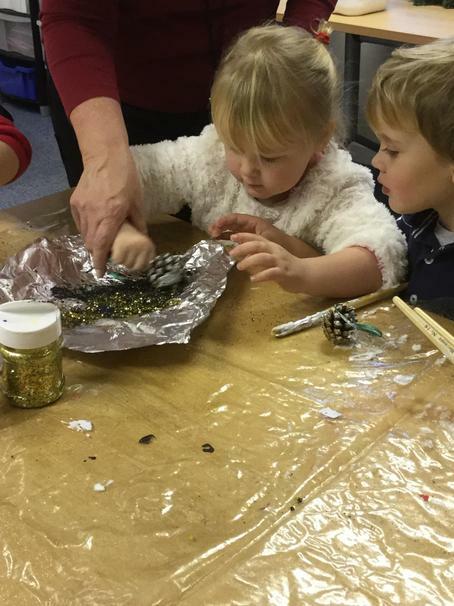 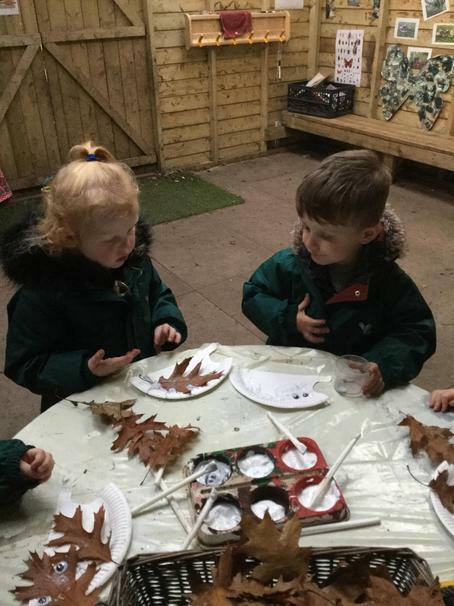 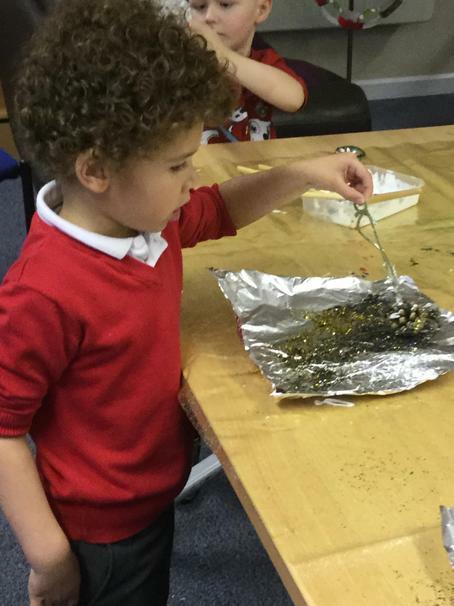 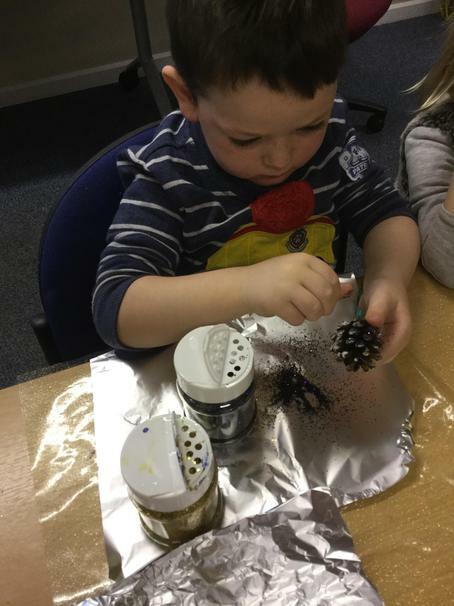 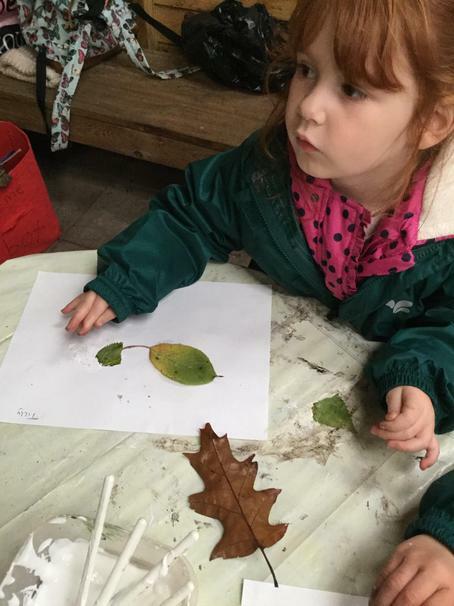 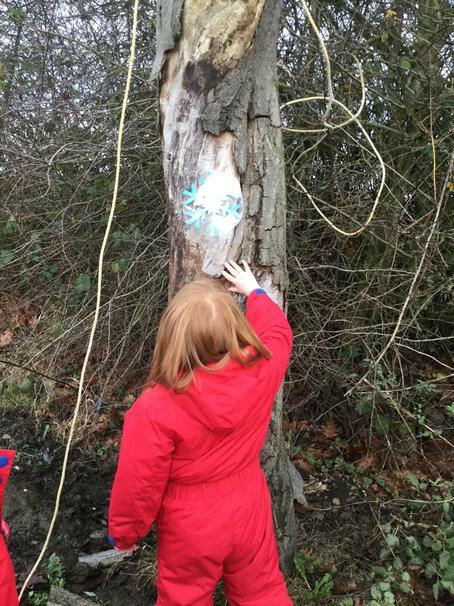 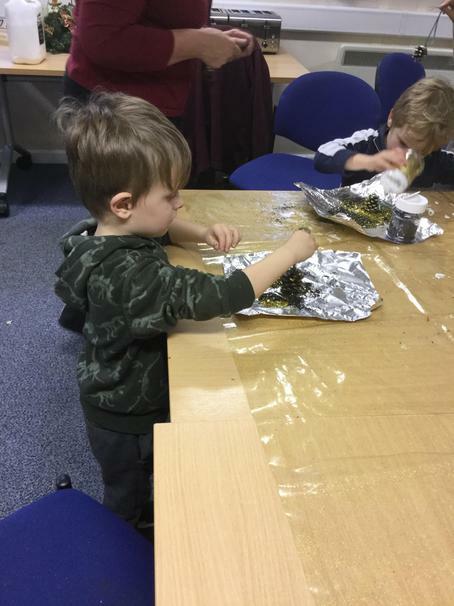 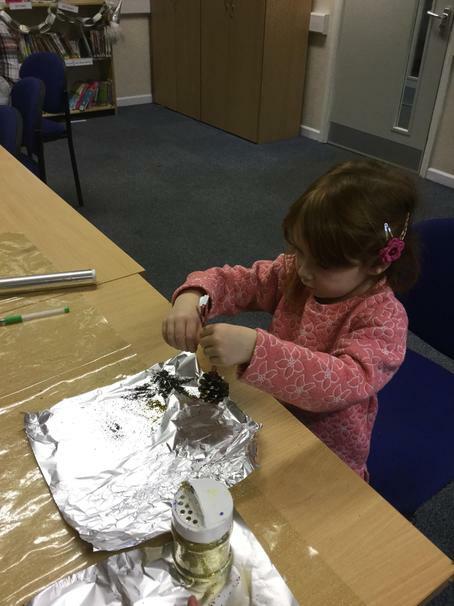 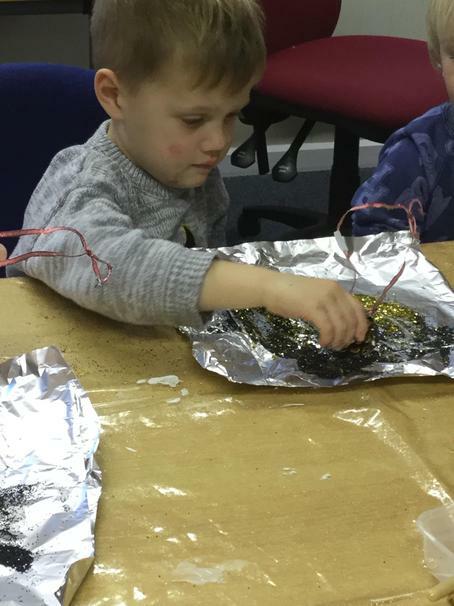 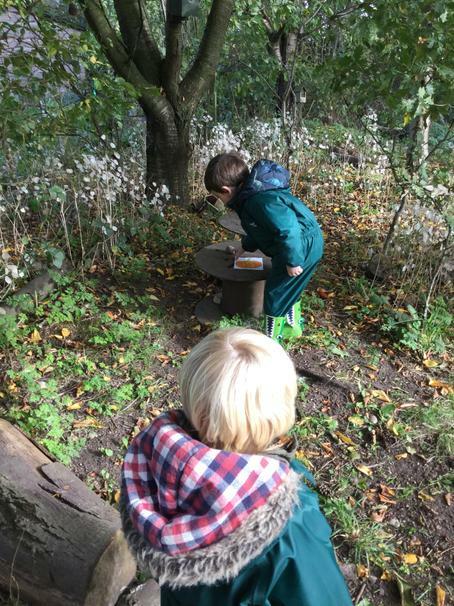 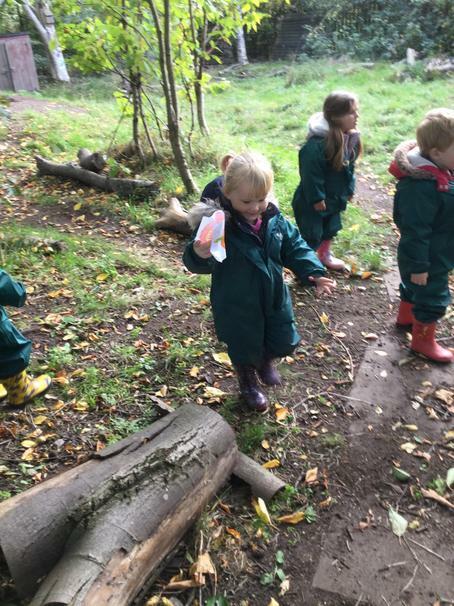 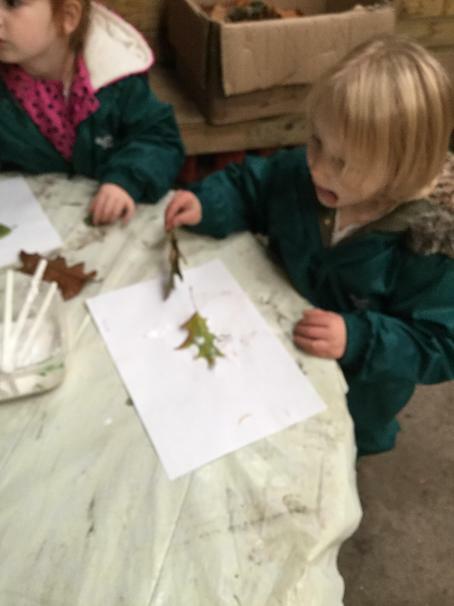 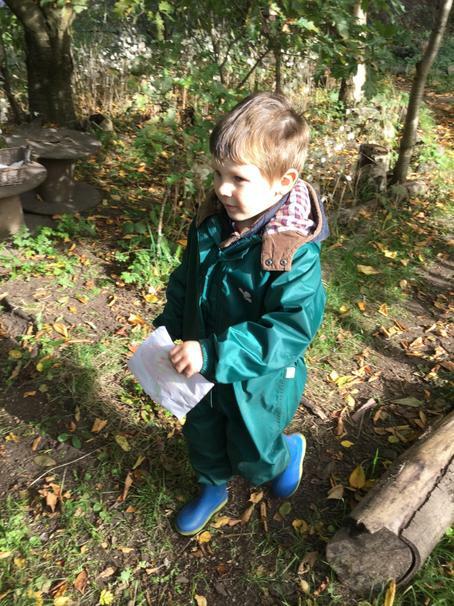 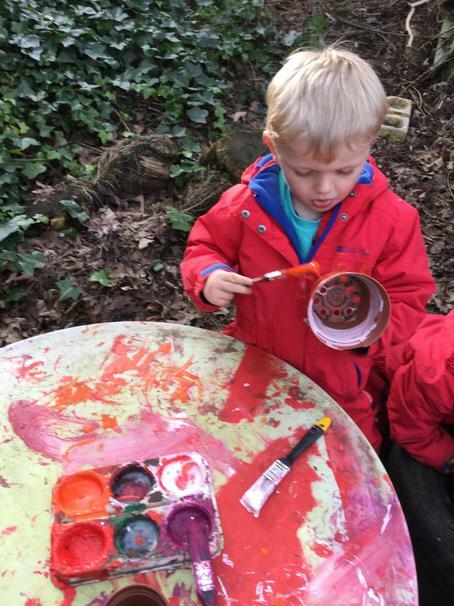 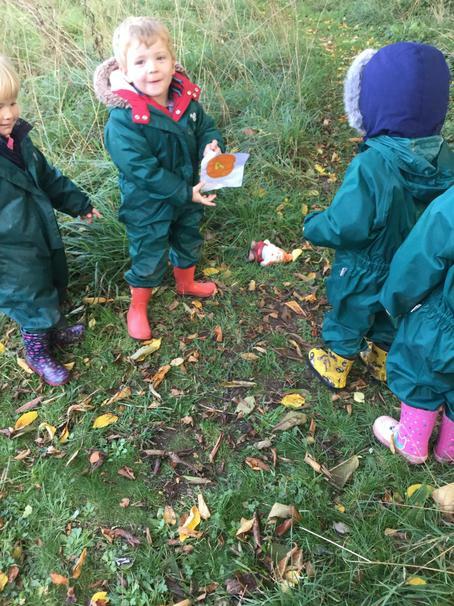 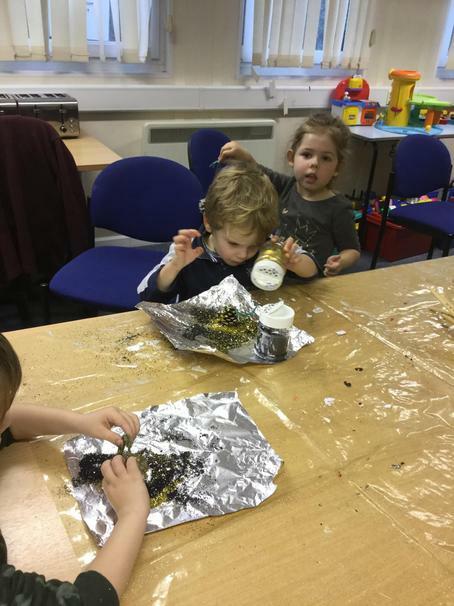 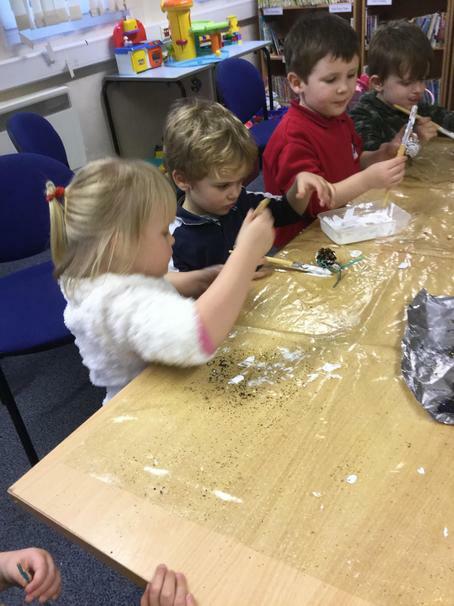 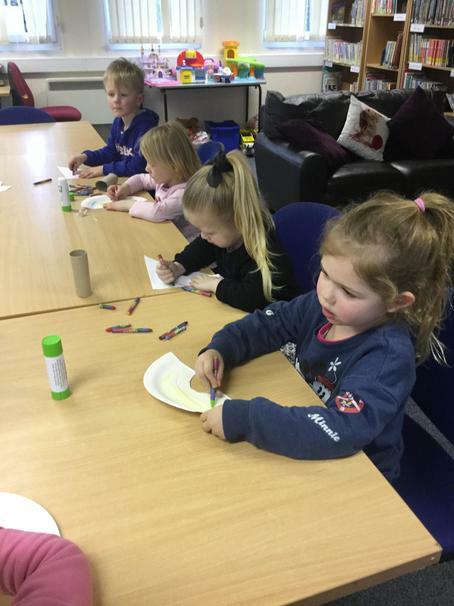 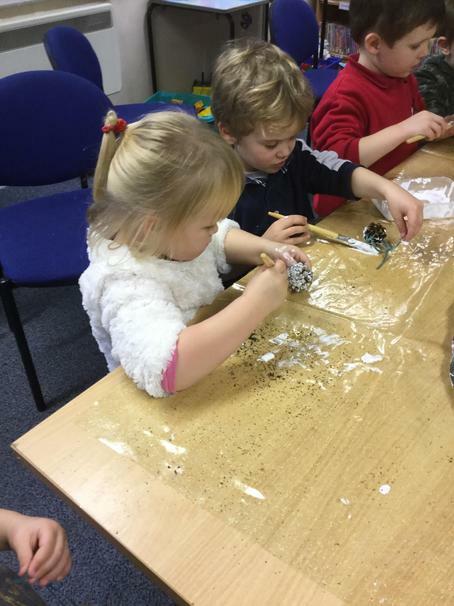 We had another fun packed session at Woodland Wednesday making dinner for Mr Fox who lives in the woods and we had a go at bark and leaf rubbing. 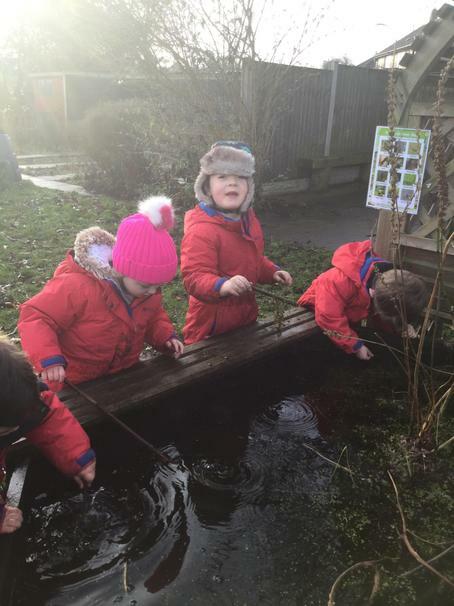 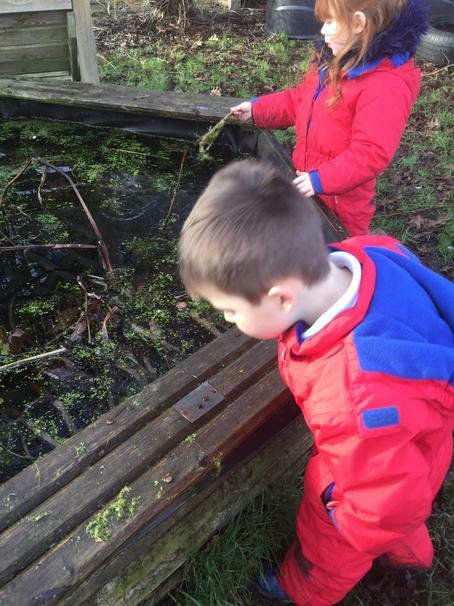 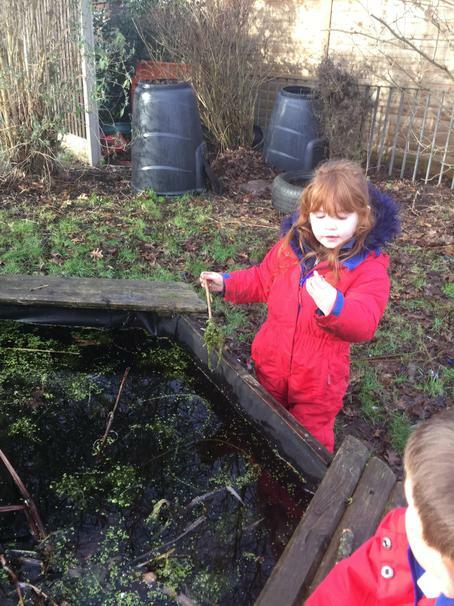 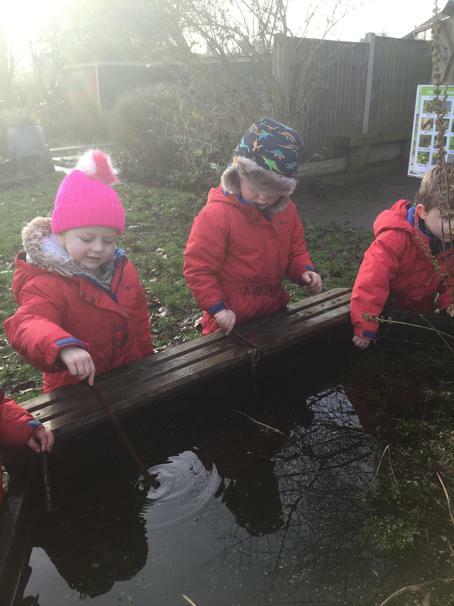 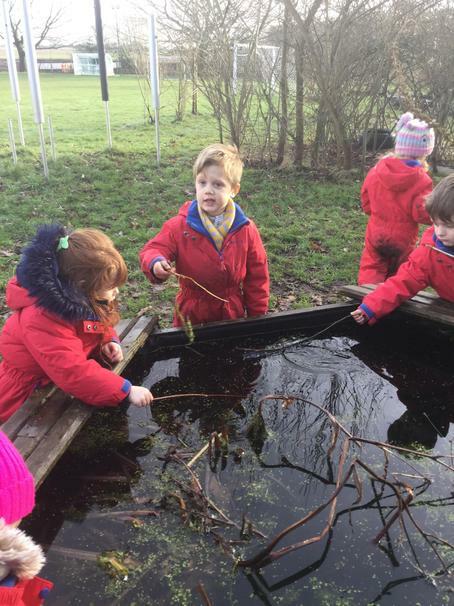 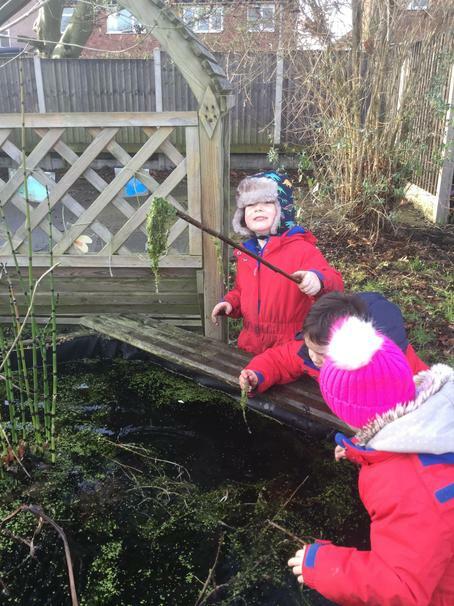 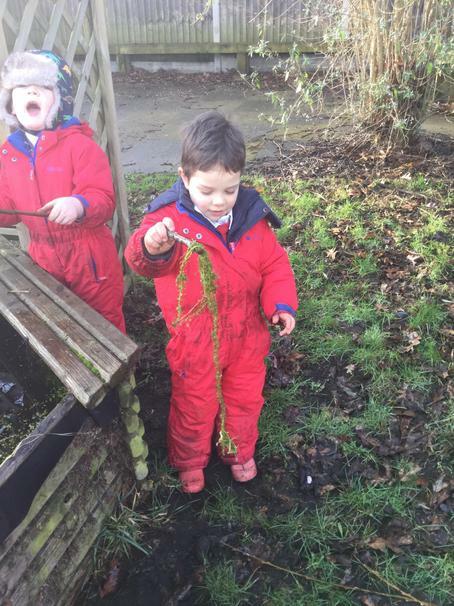 This afternoon we have been pond dipping and enjoying the afternoon sunshine. 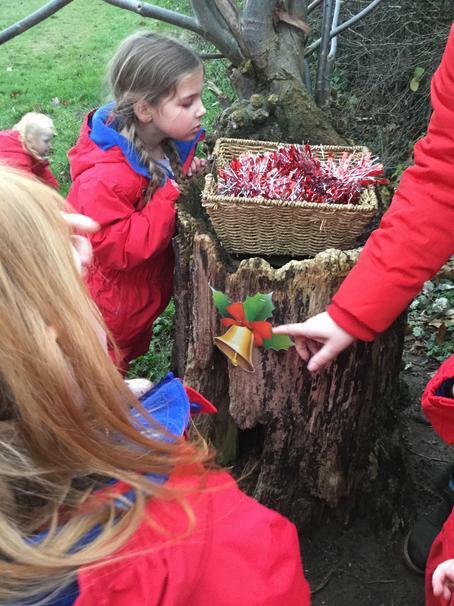 We went on a knome hunt and collected lots of treasure.